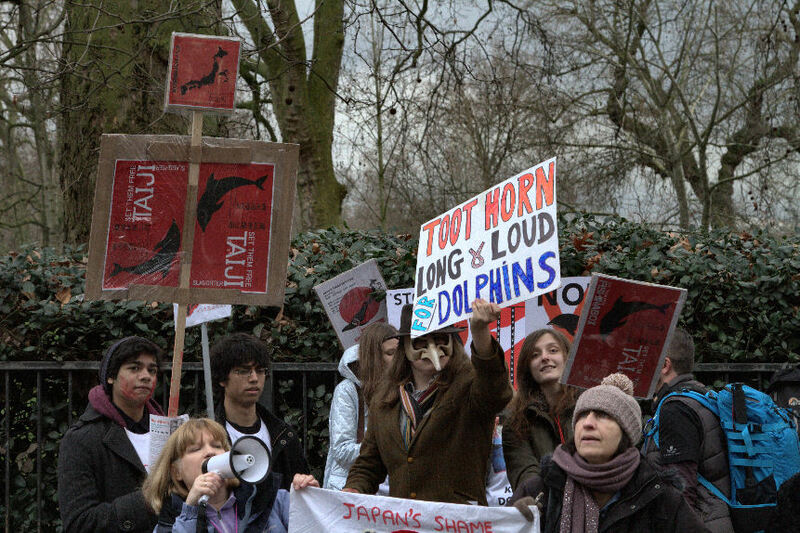 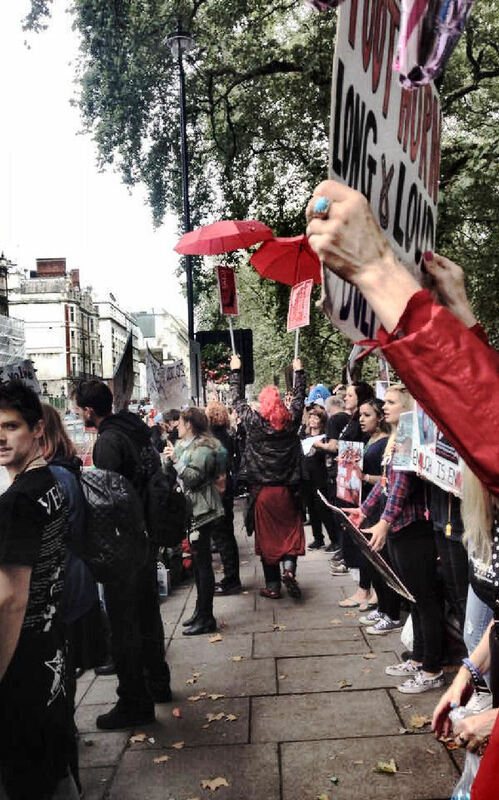 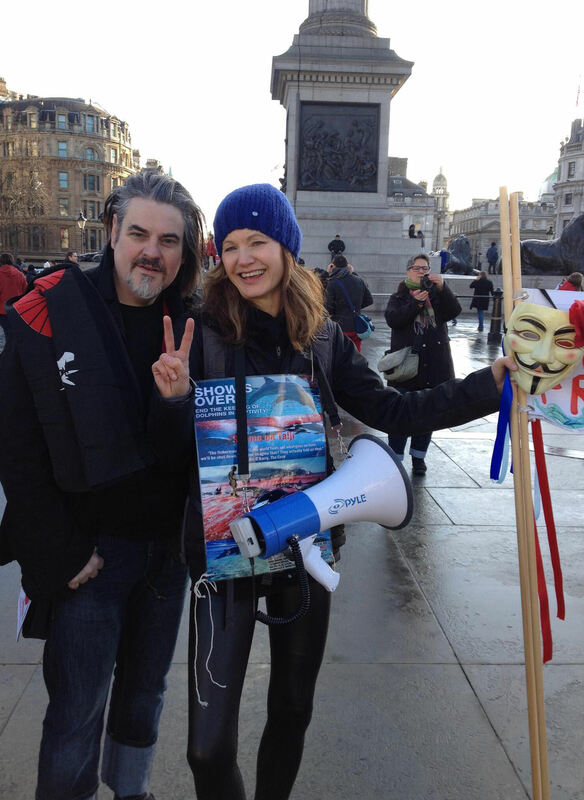 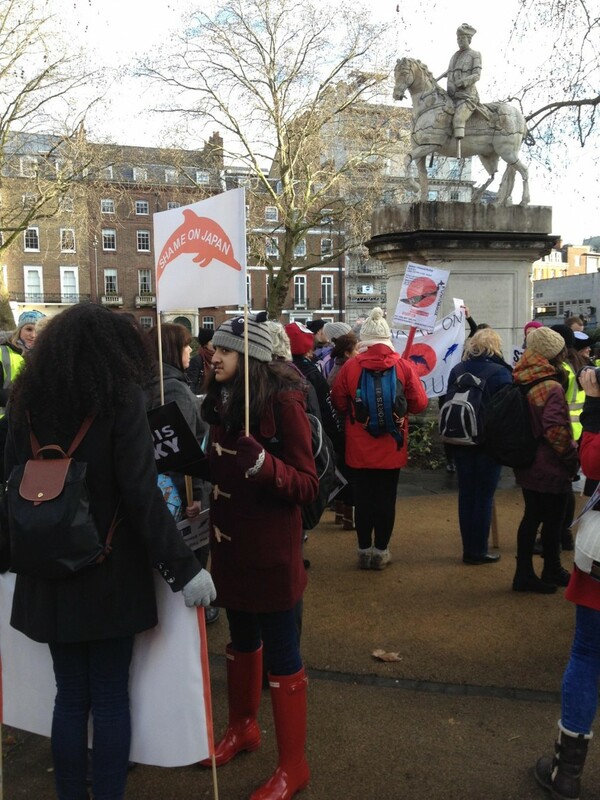 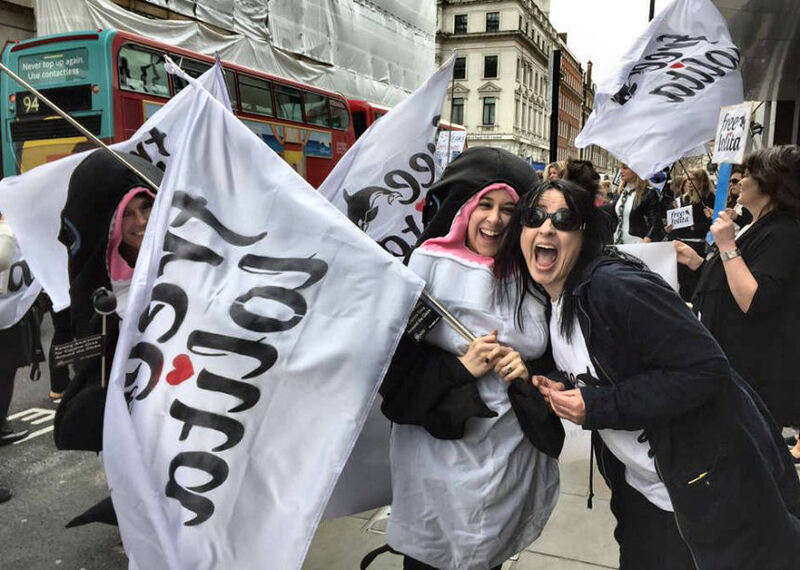 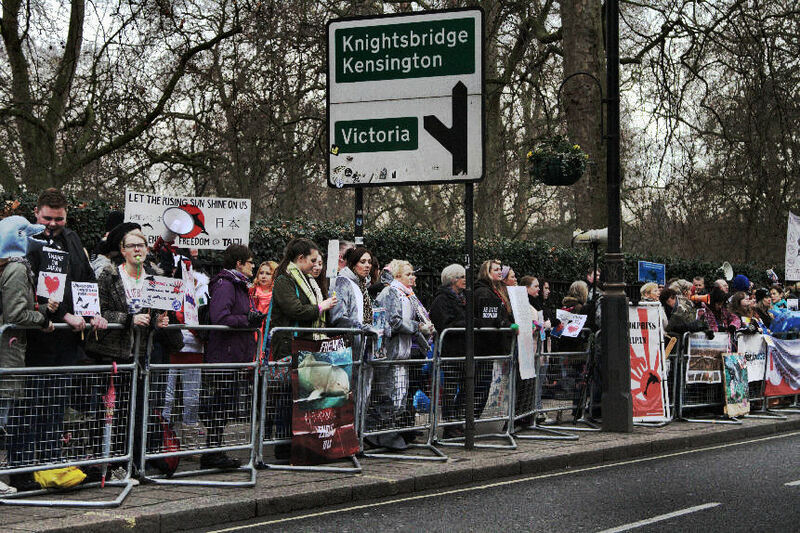 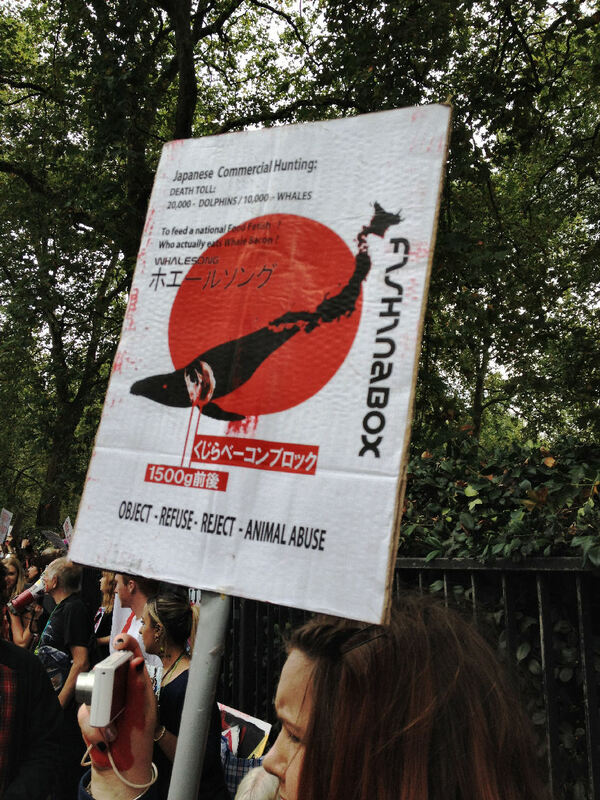 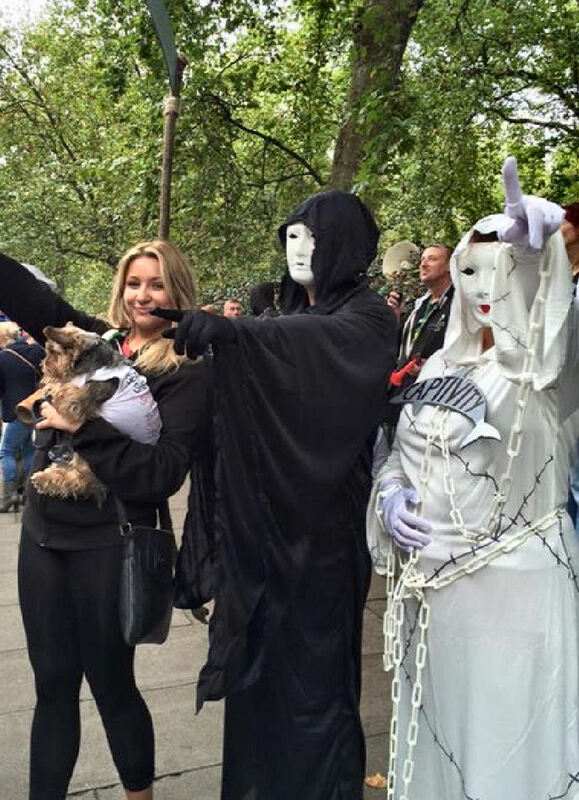 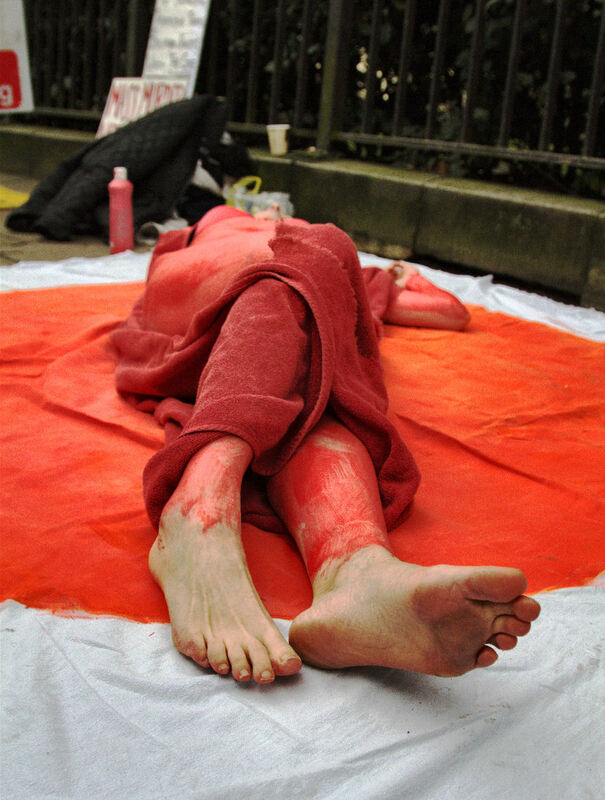 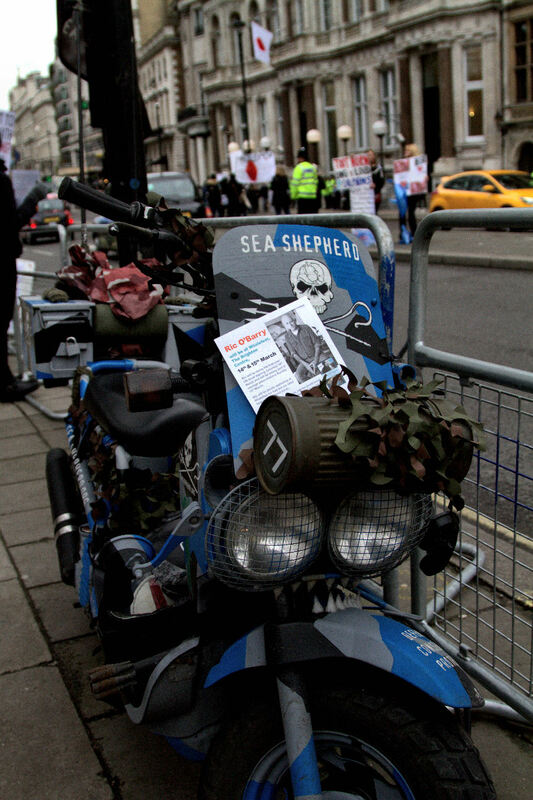 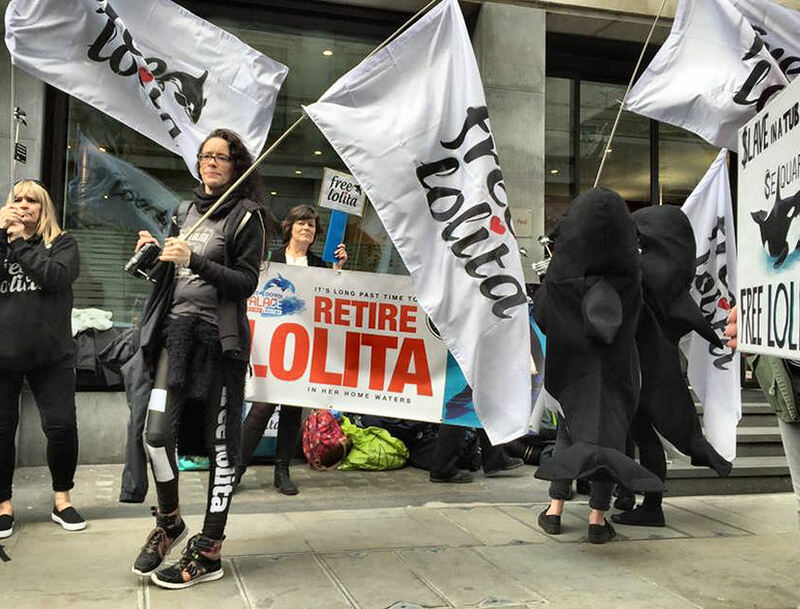 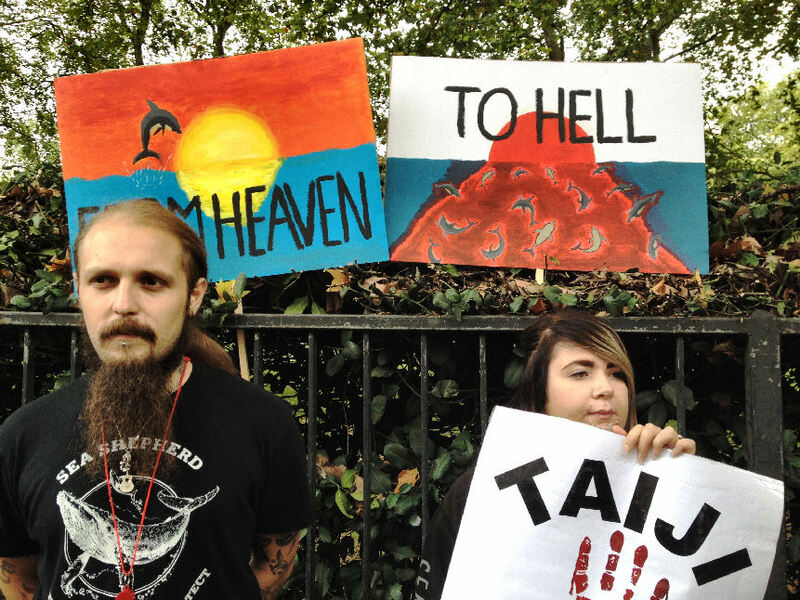 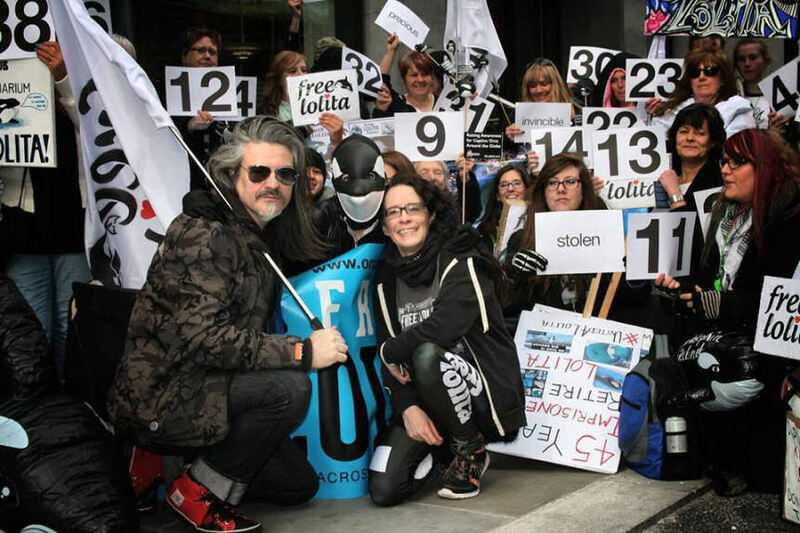 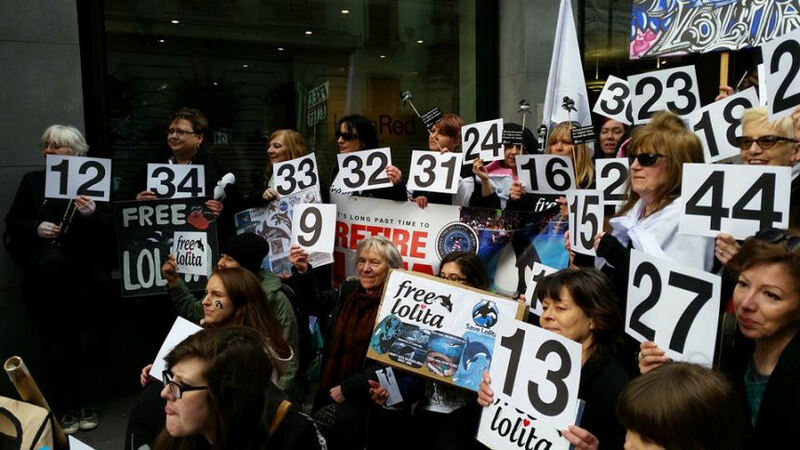 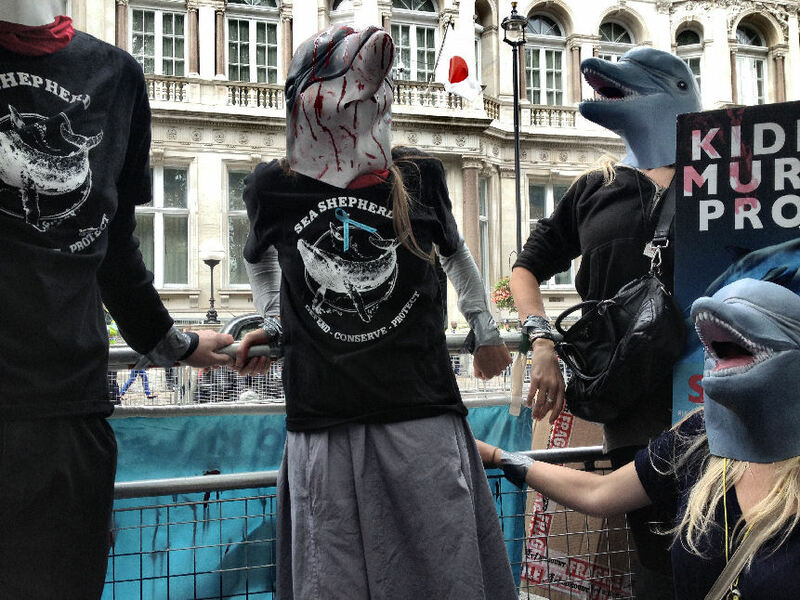 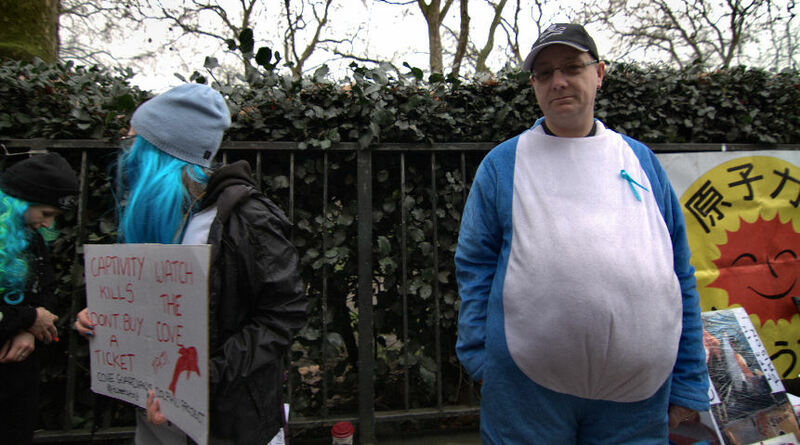 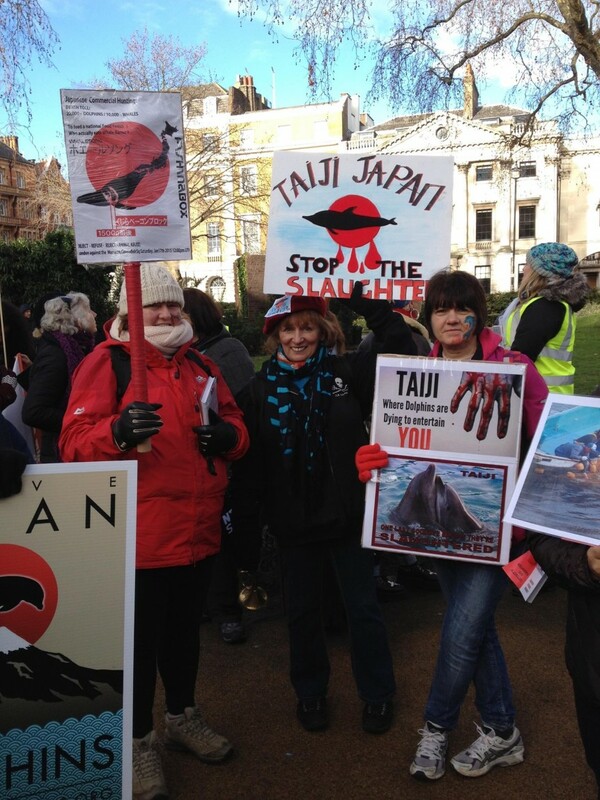 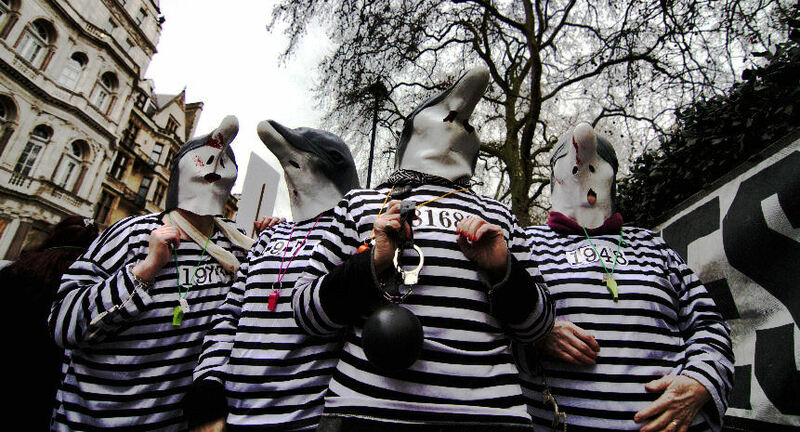 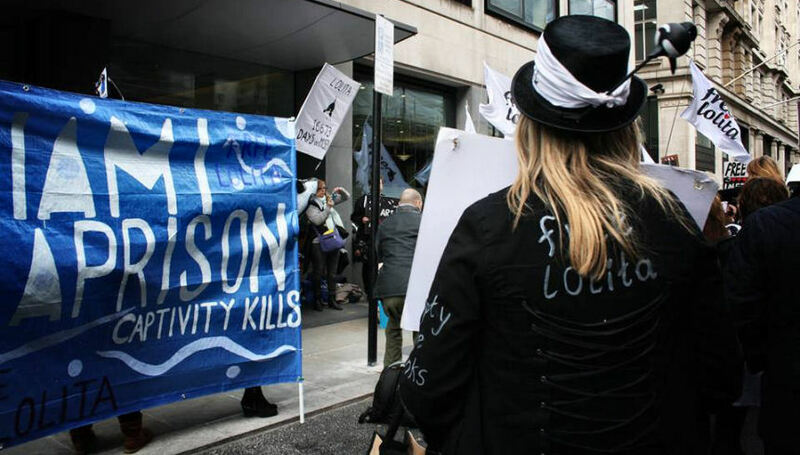 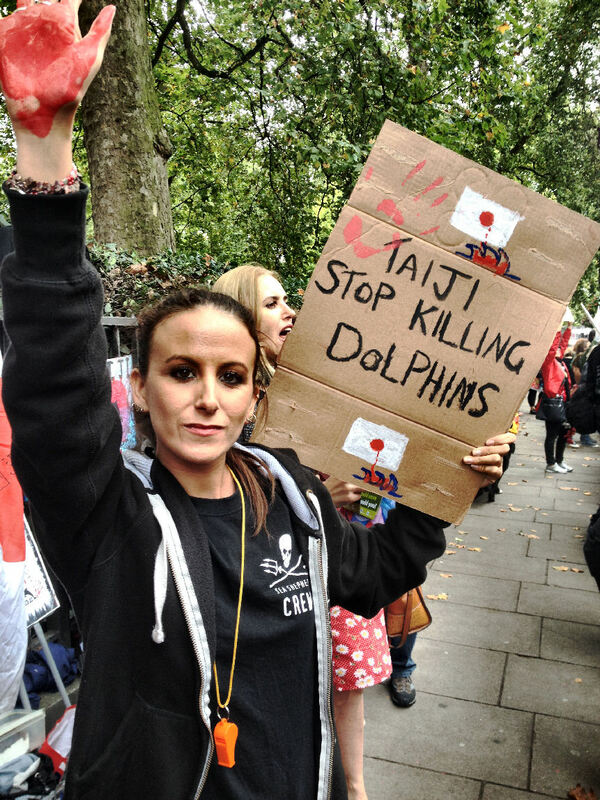 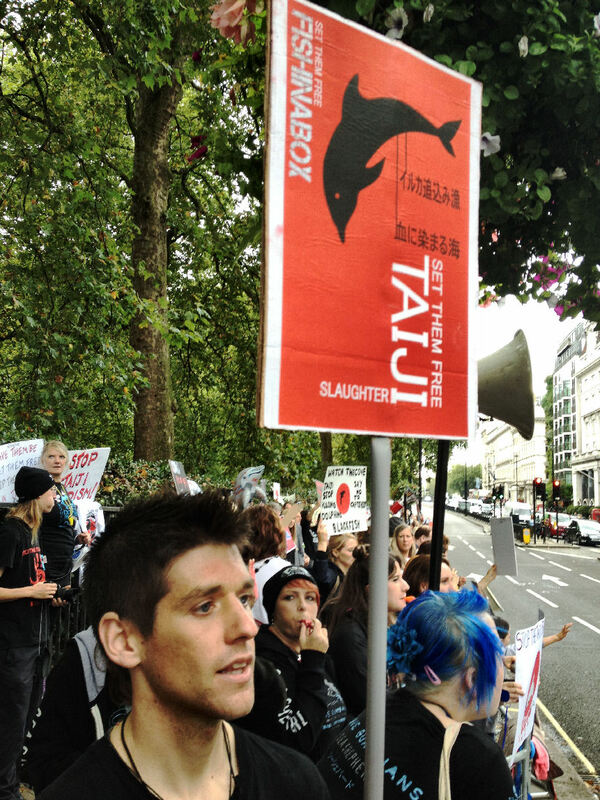 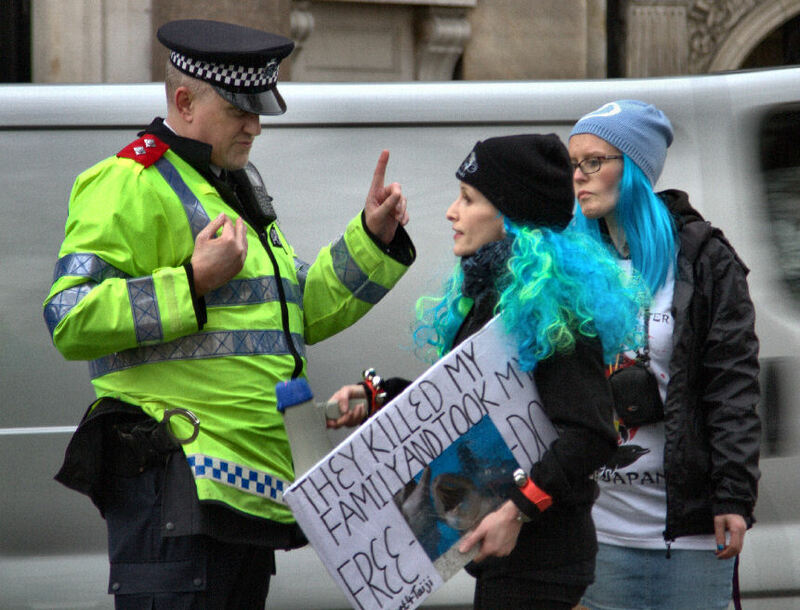 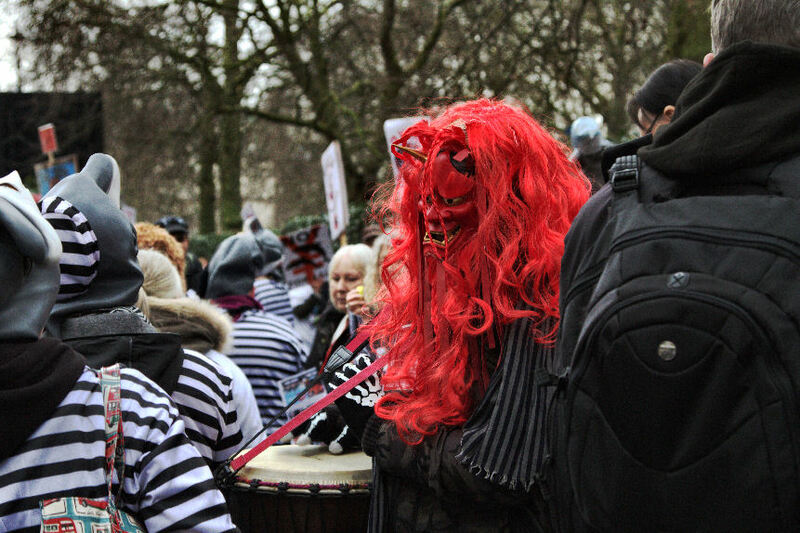 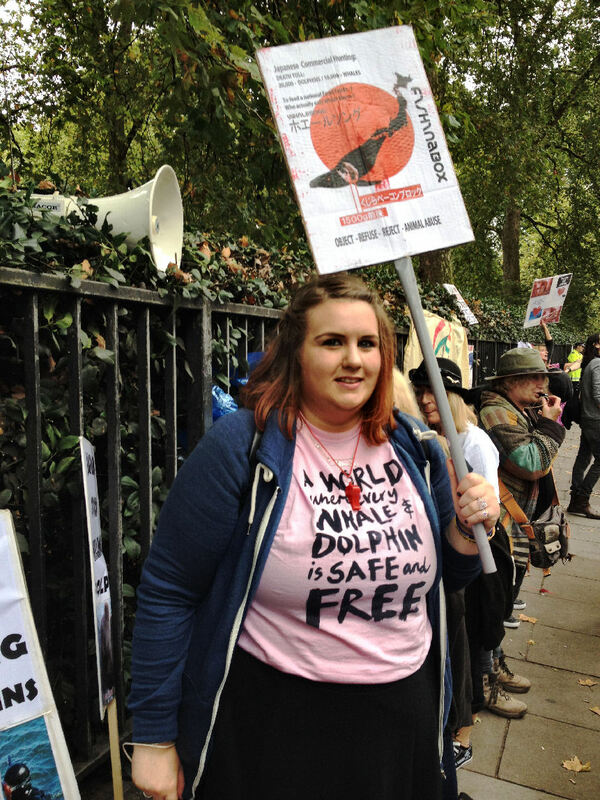 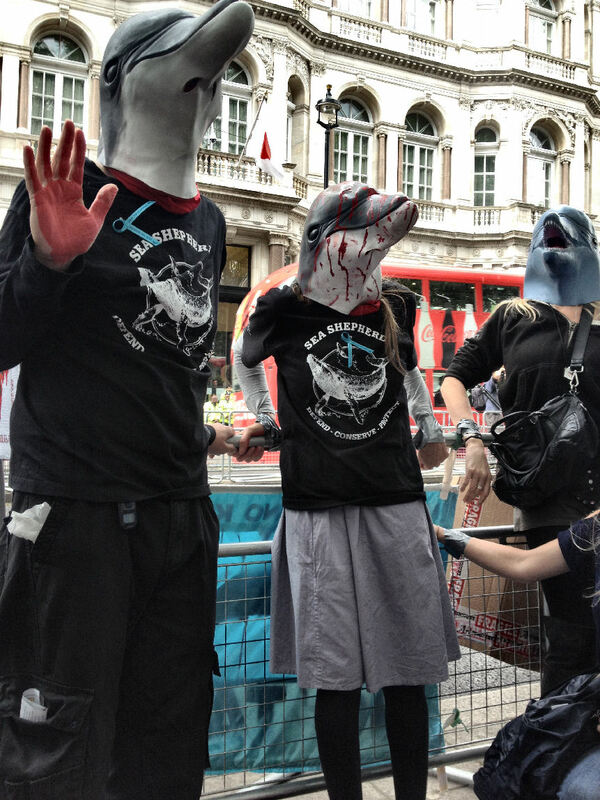 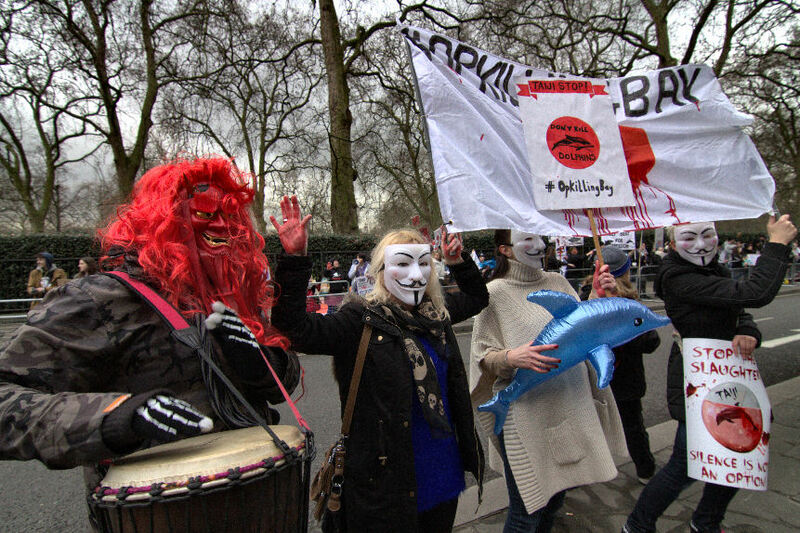 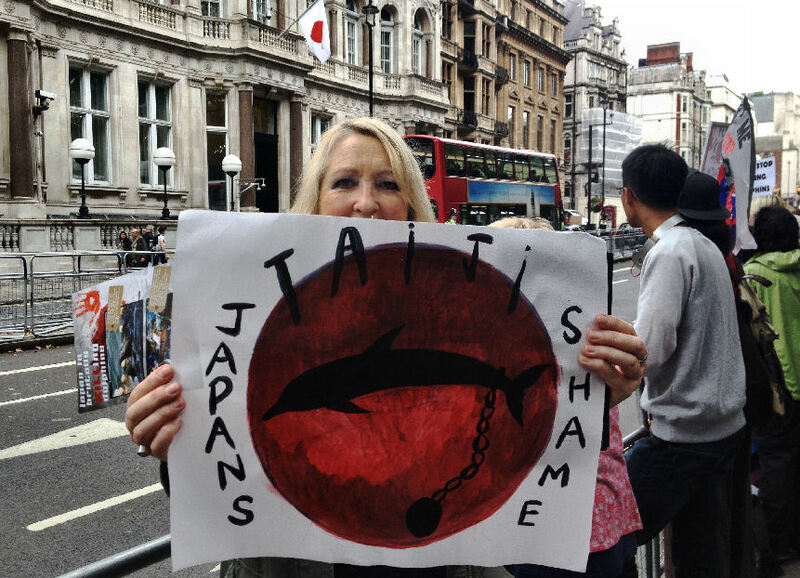 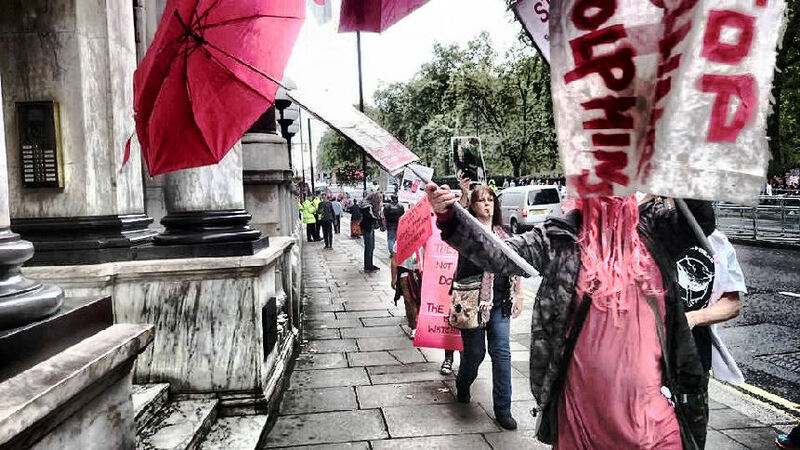 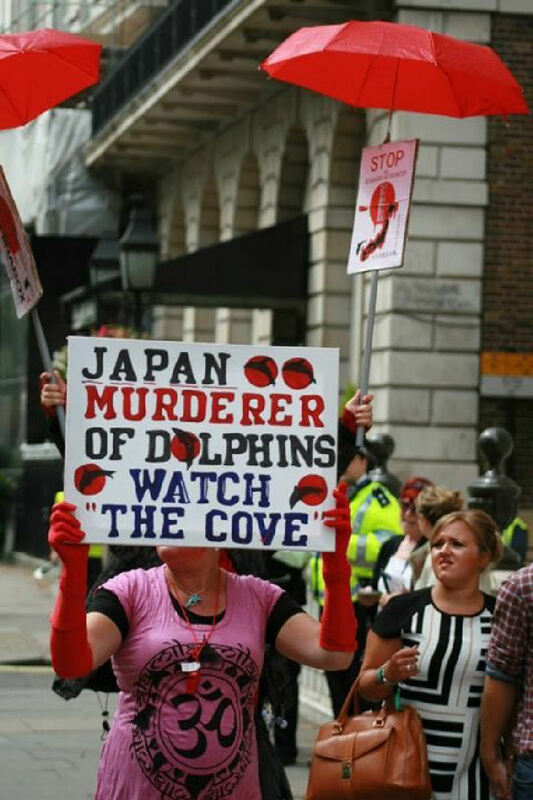 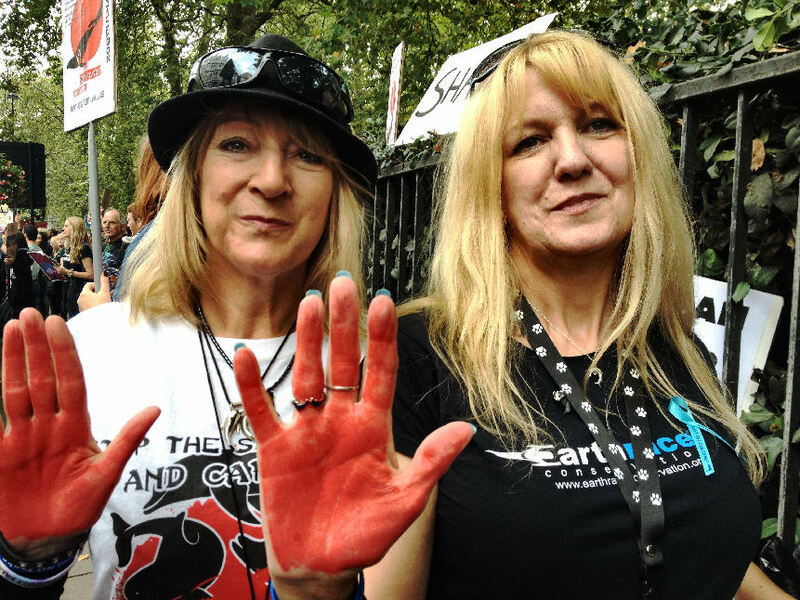 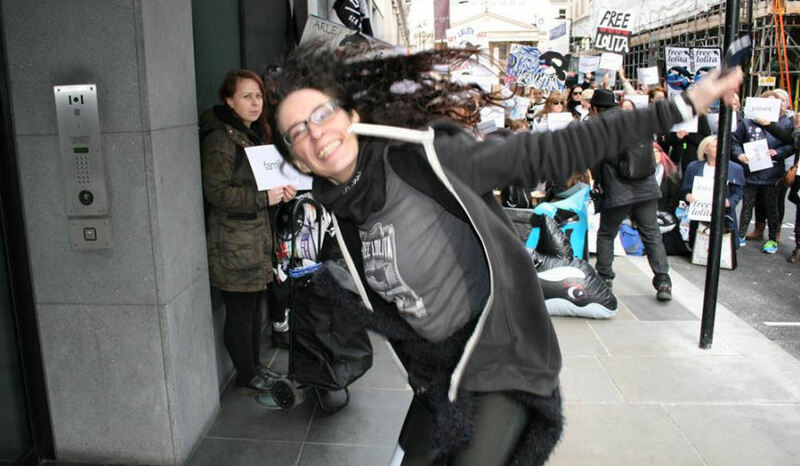 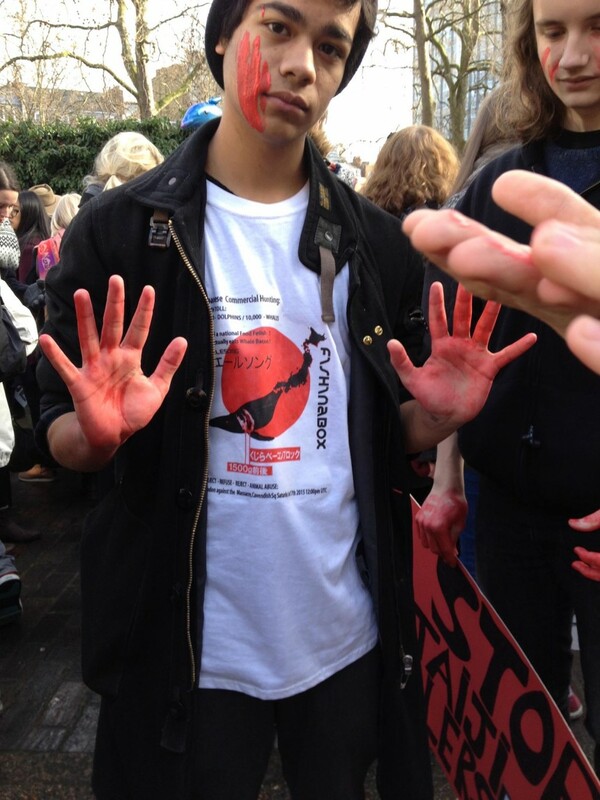 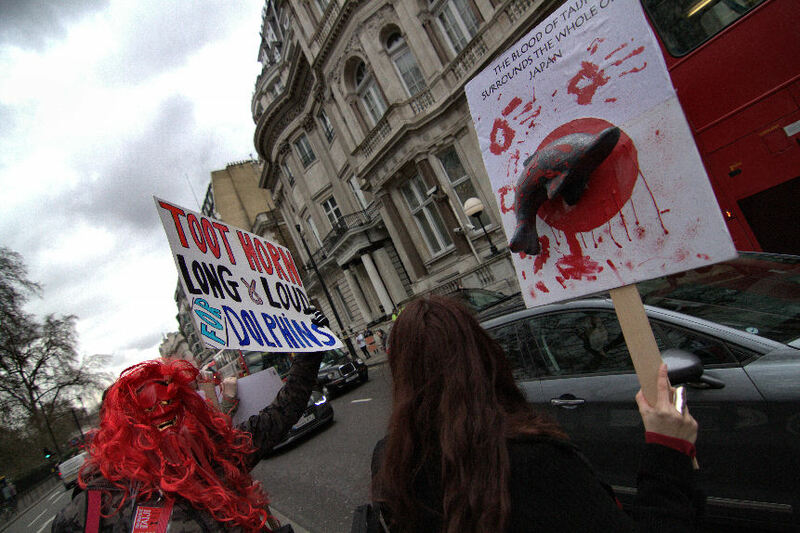 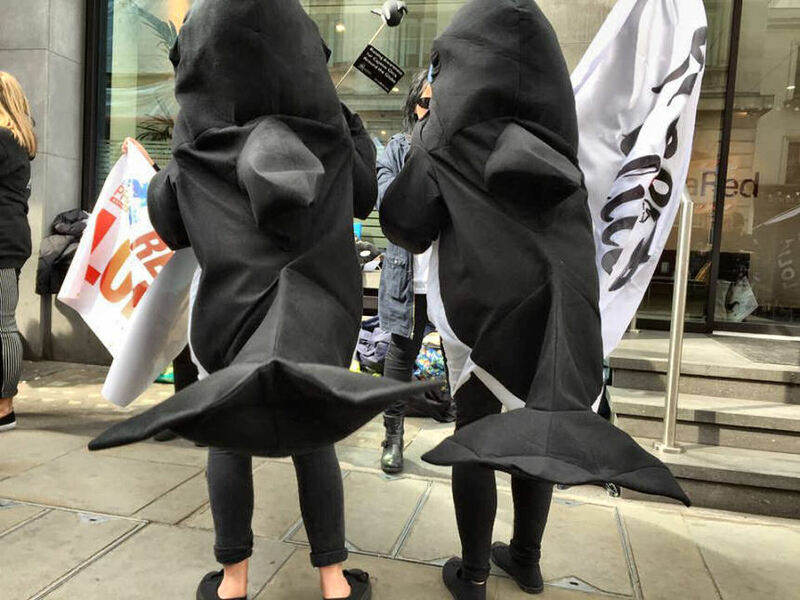 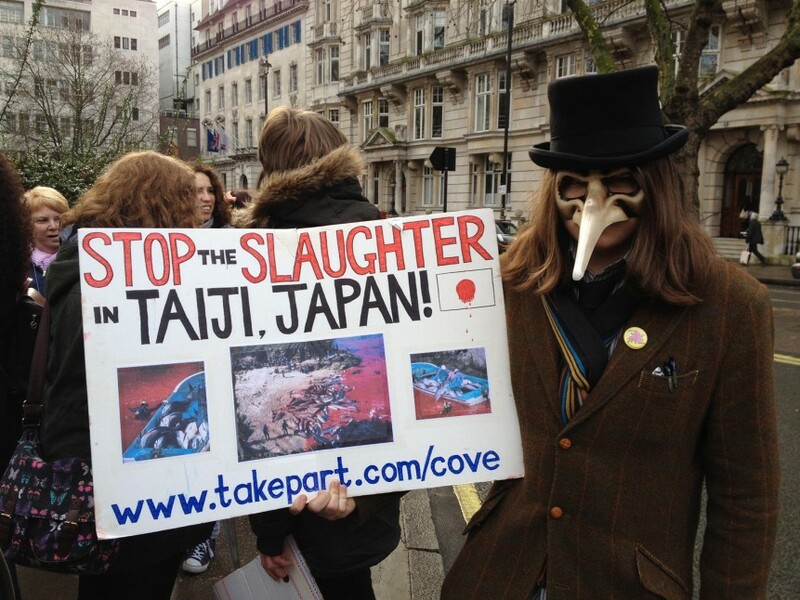 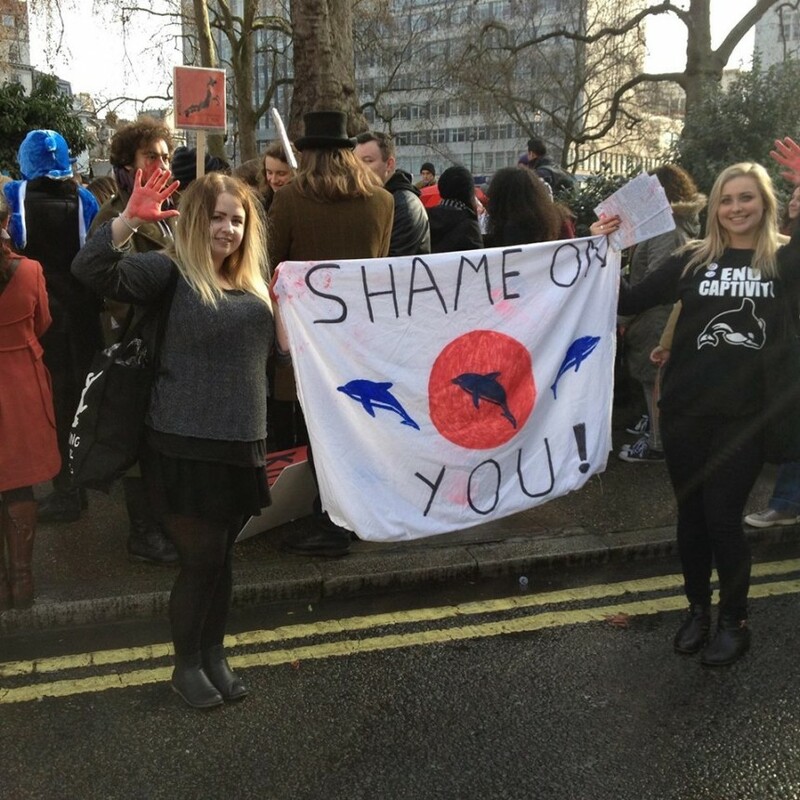 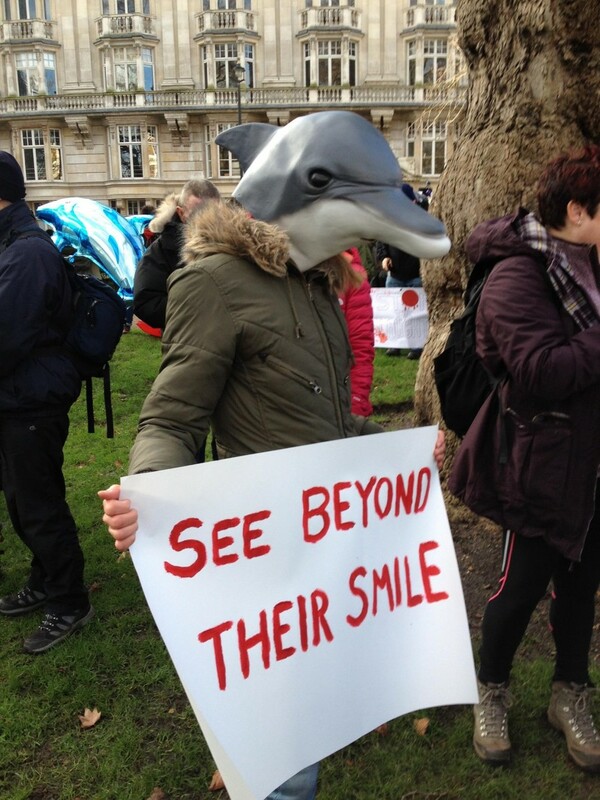 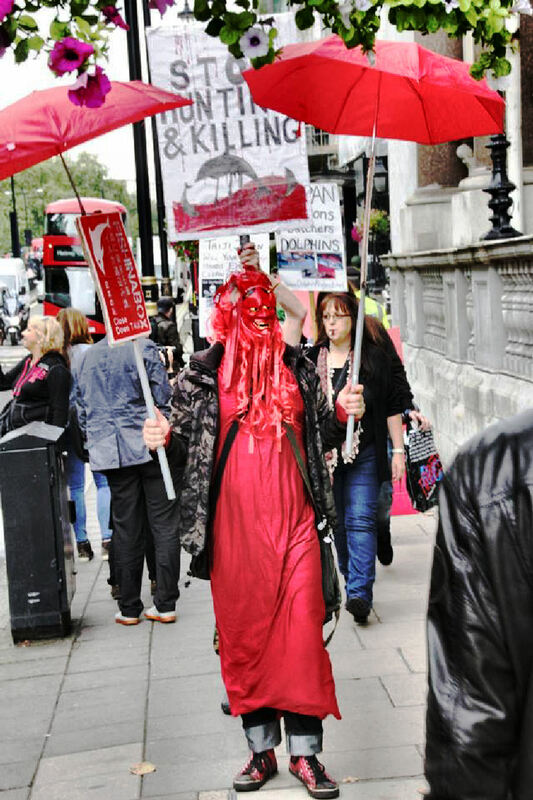 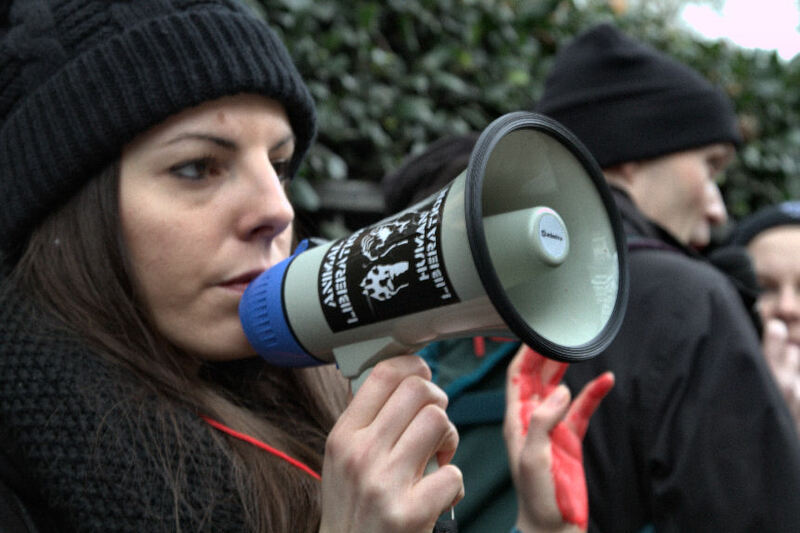 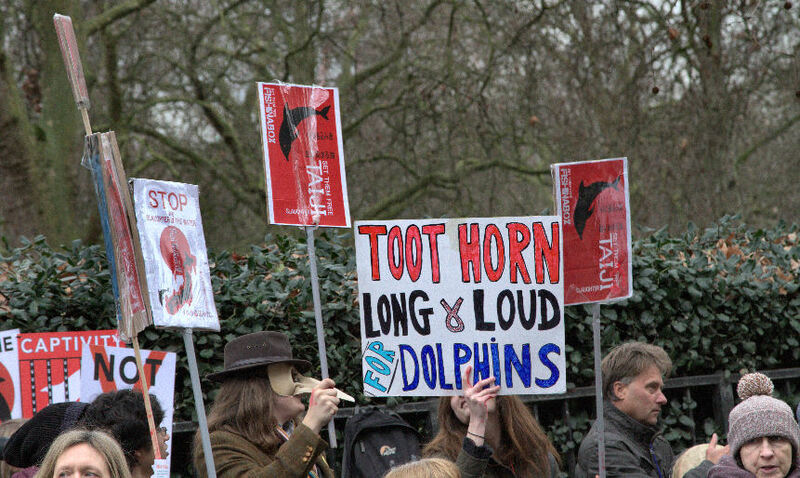 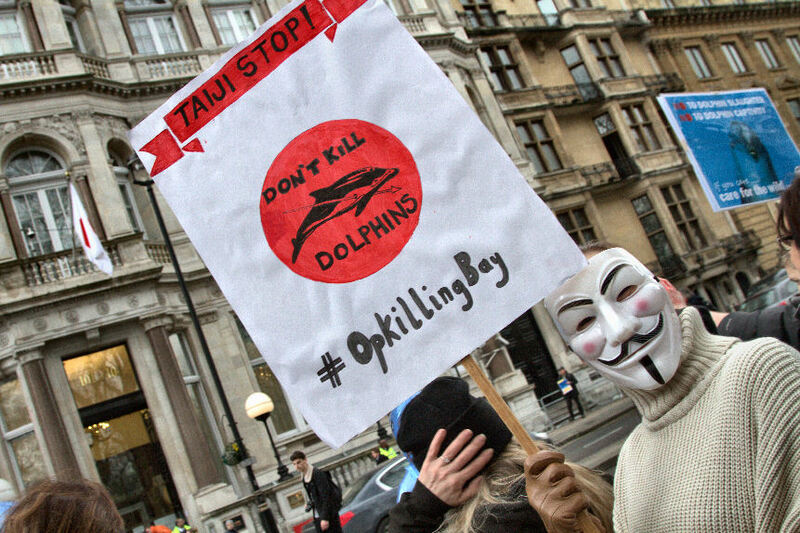 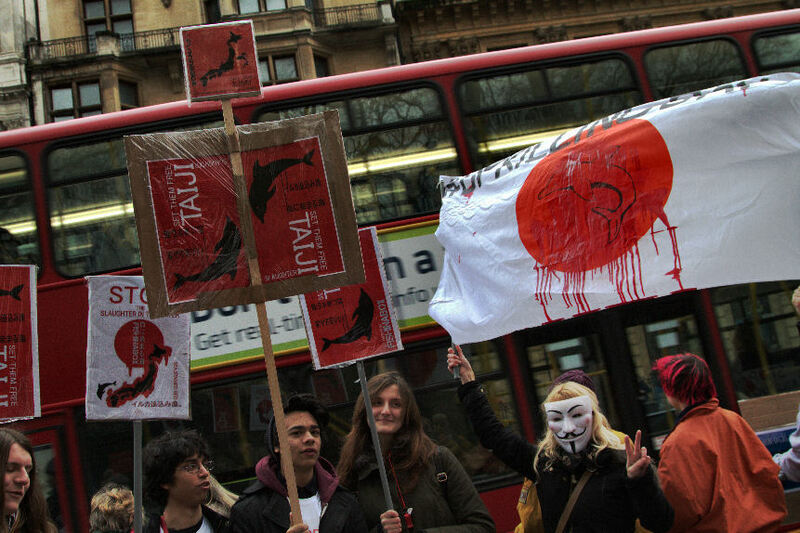 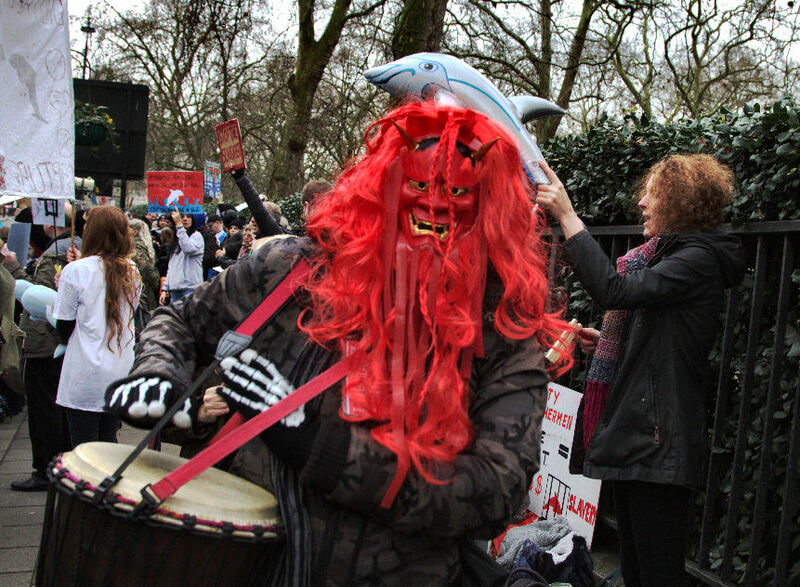 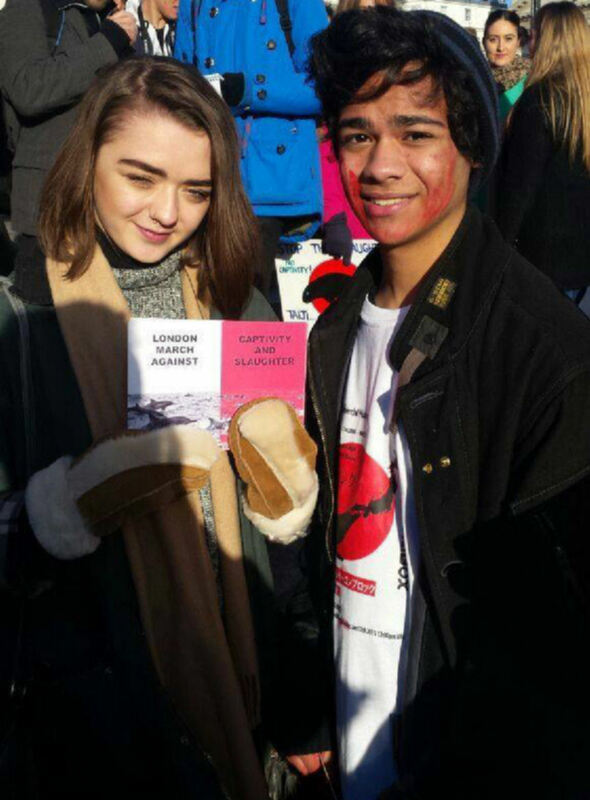 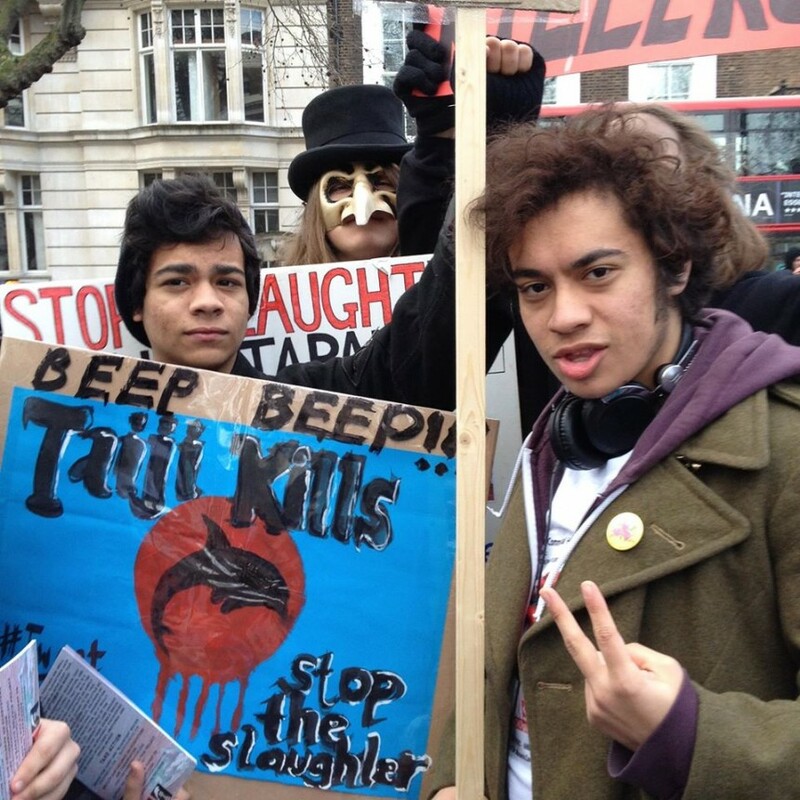 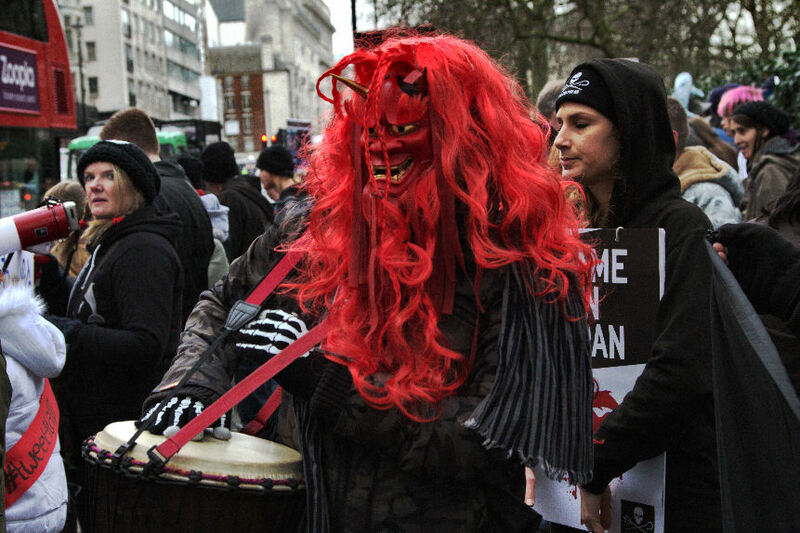 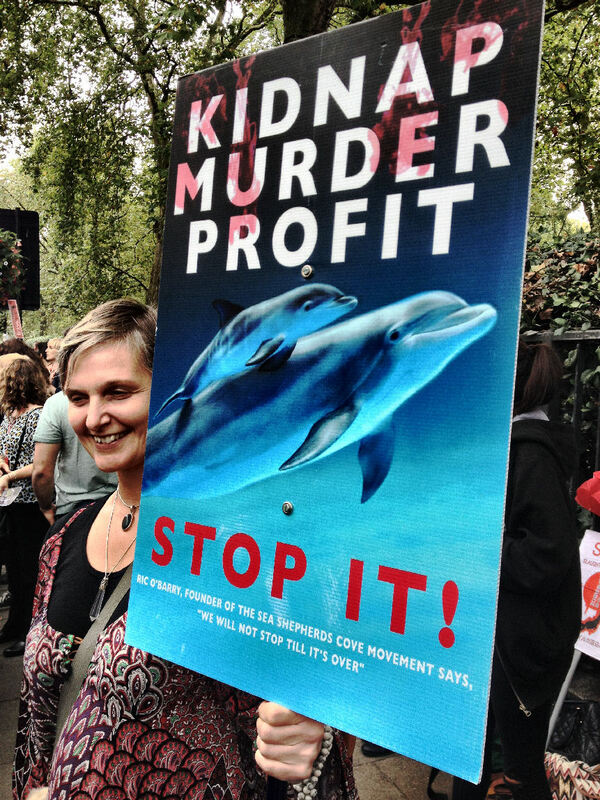 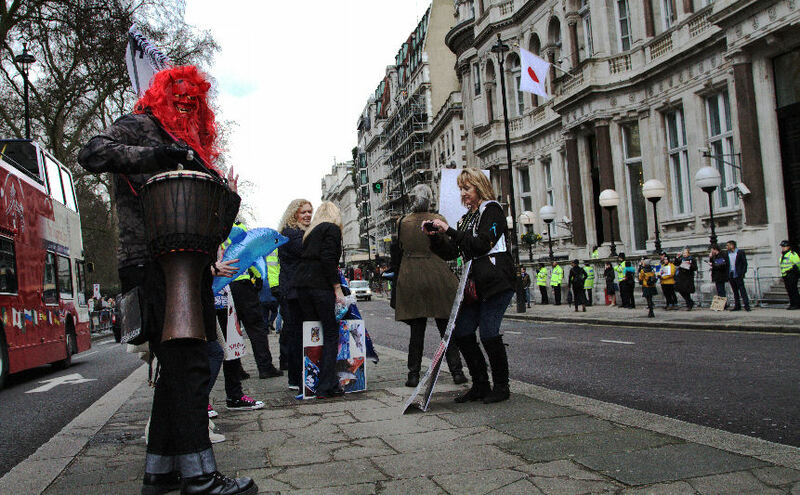 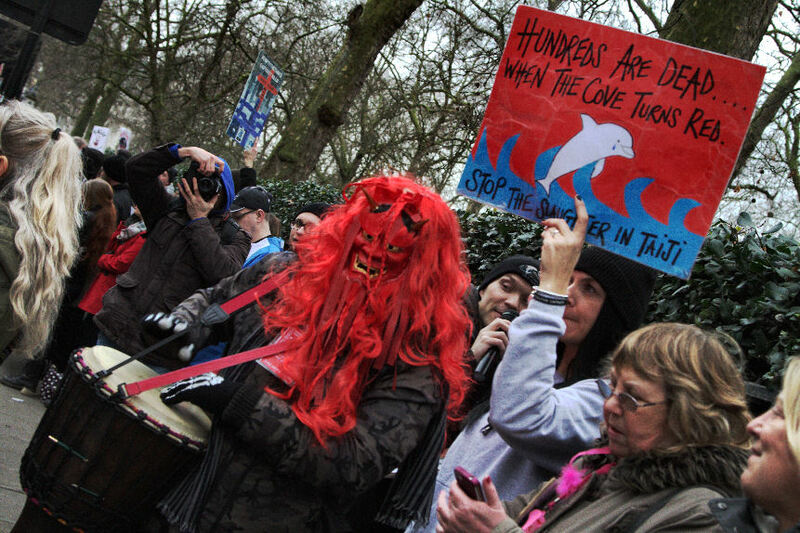 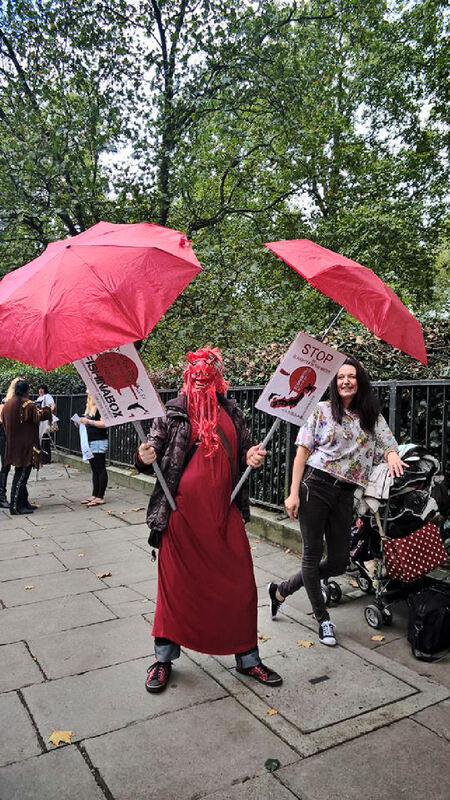 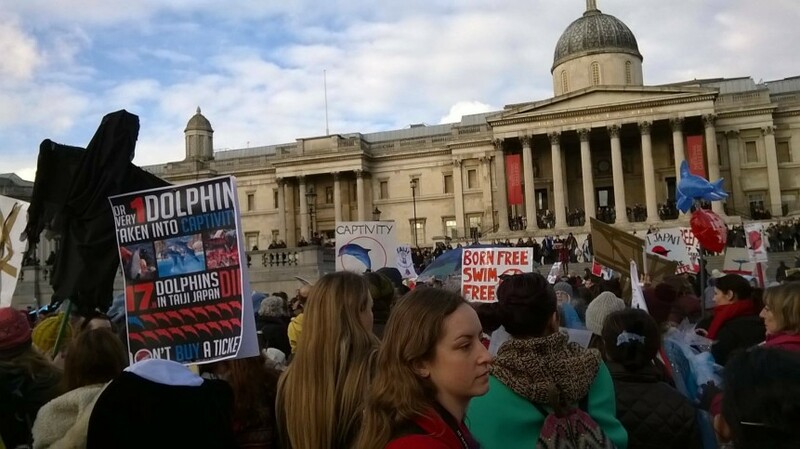 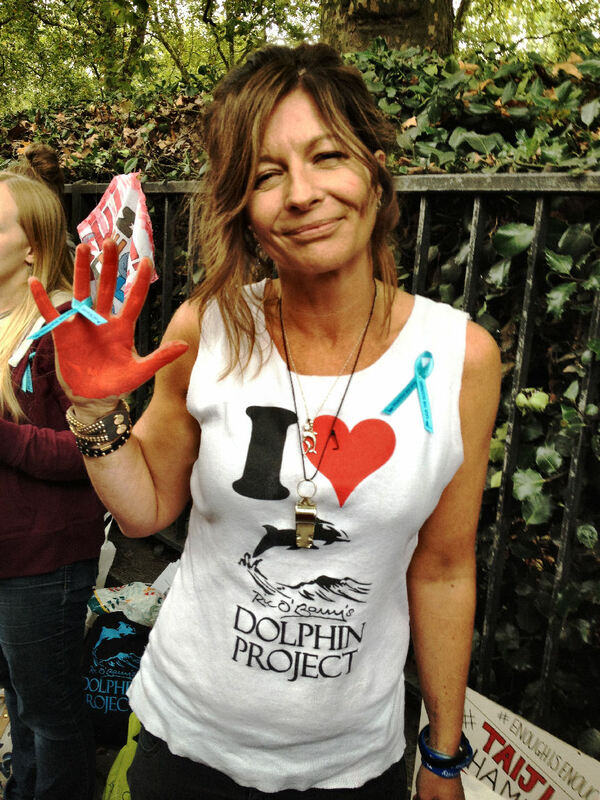 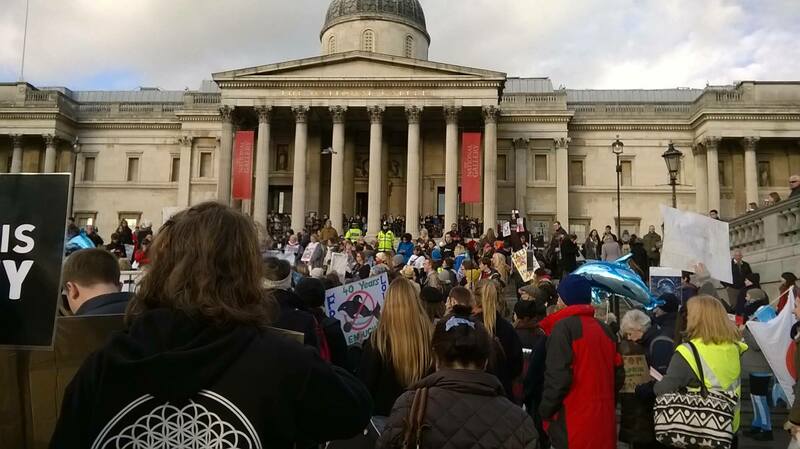 On this Day, an extremely vocal 900 strong crowd gathered to protest Japan’s Dolphin Hunting Policies in London as well as other similar demo action all over the world. 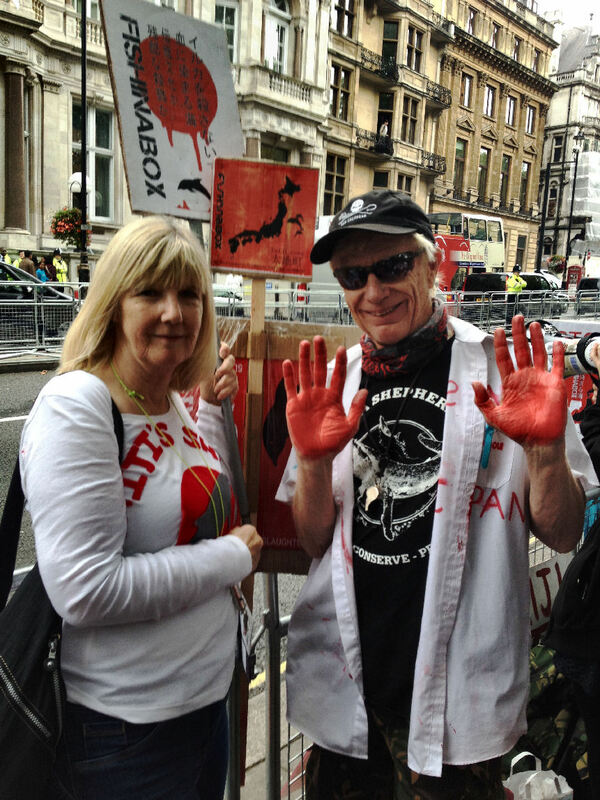 Ric O’Barry, The first man to train a Dolphin in Captivity (way back in the 1950/60’s) and now after living with and seeing the effects of captivity first hand, stands head of the Dolphin Project to break down all Dolphin Captivity and stop hunting was released from Police Custody in Japan. 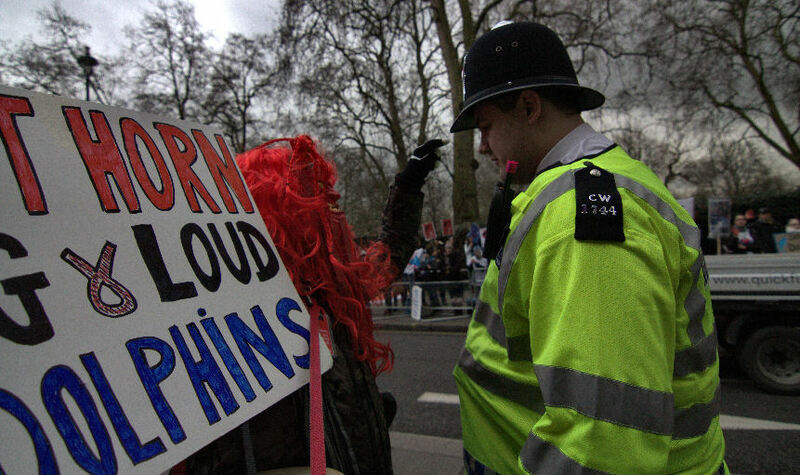 Storm weather stopped the first day of this seasons Dolphin hunt from going ahead (The Cove ran blue). 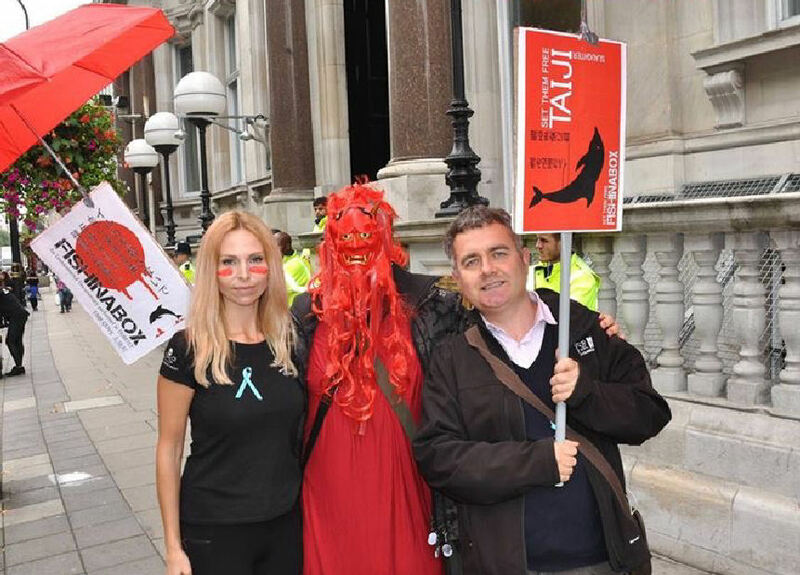 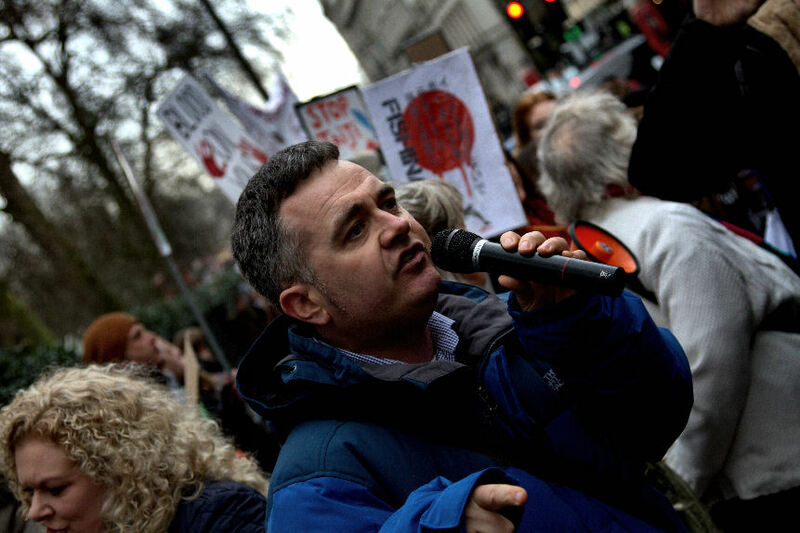 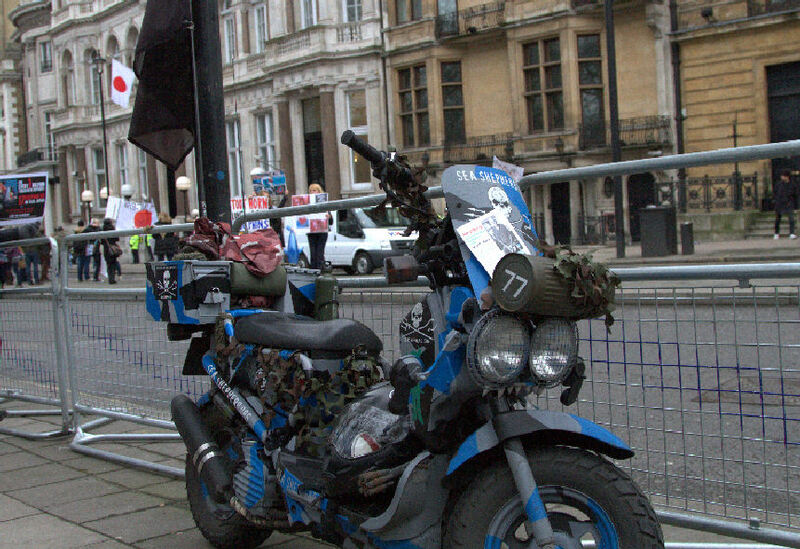 Live video feeds were shared with Pamela Anderson from the Demo and Dominic Dyer from Care for the Wild stood up as speaker. 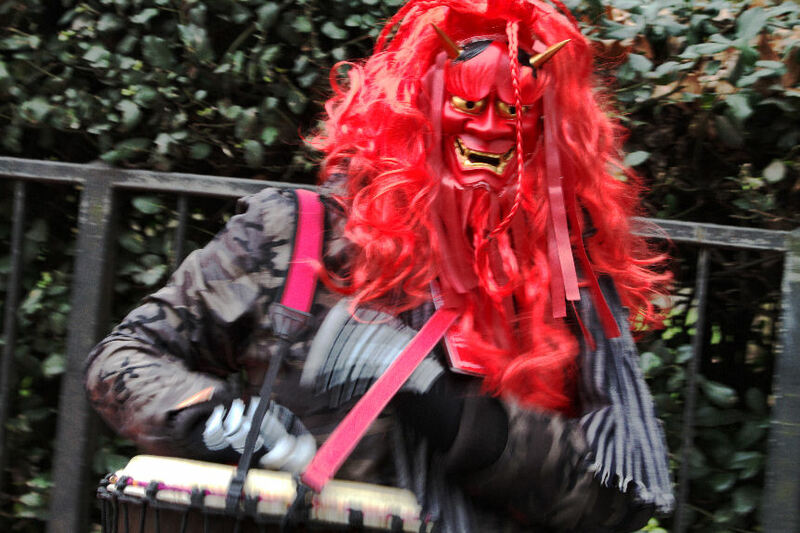 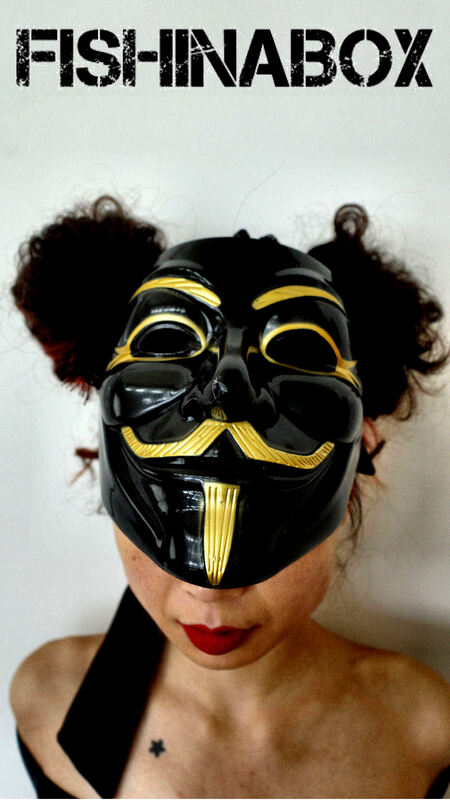 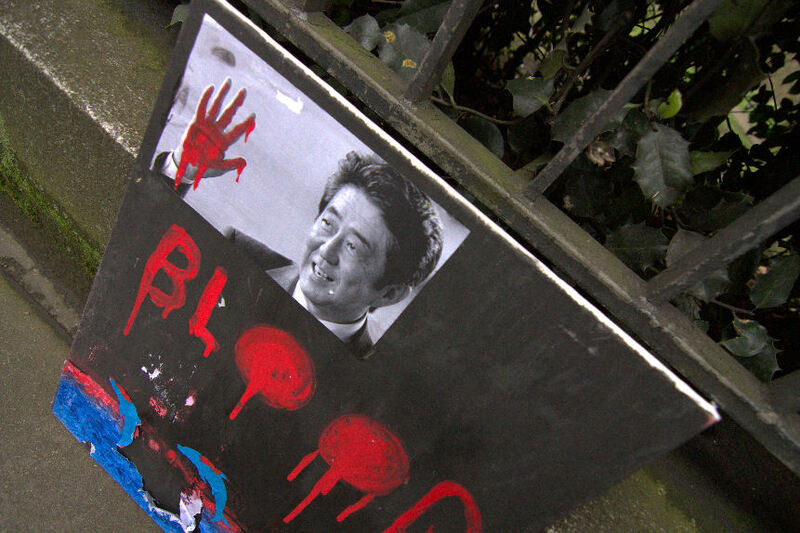 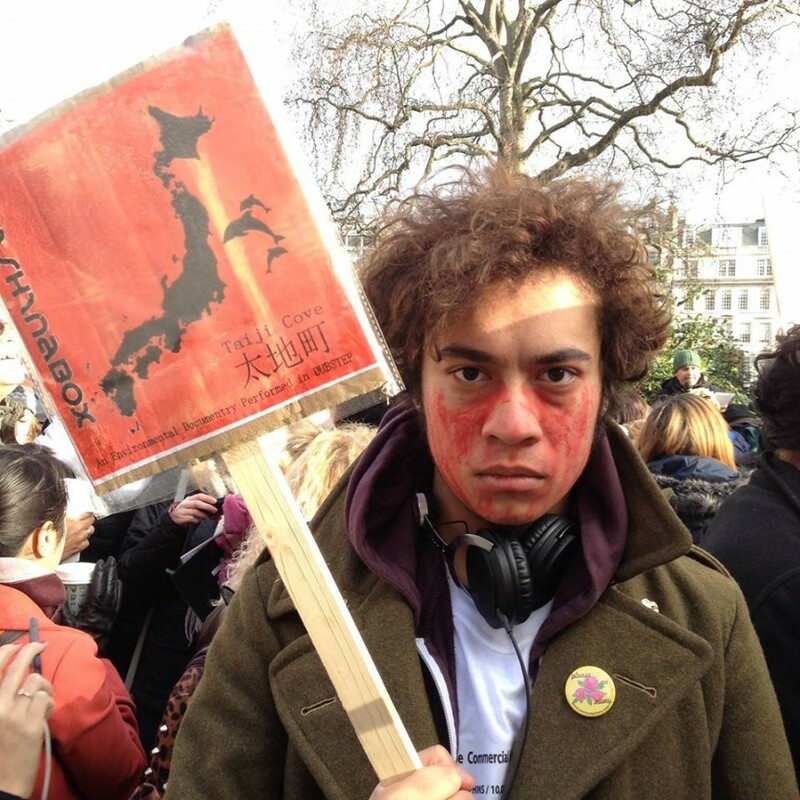 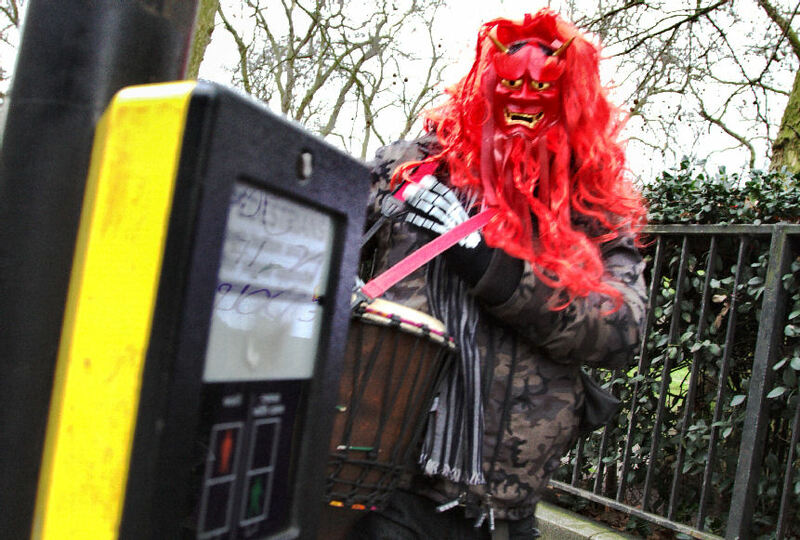 Pressure has been constant on Social Media against the Hunt, any many activists sharing information have been targeted by right wing Nationalists in Japan keen to sidetrack the Japanese People into thinking awareness is an attempt at Racism and aimed at undermining the Government. 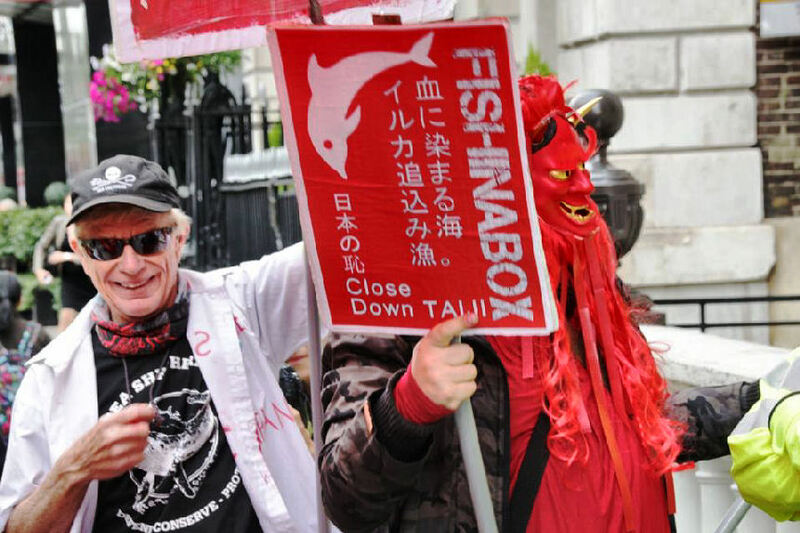 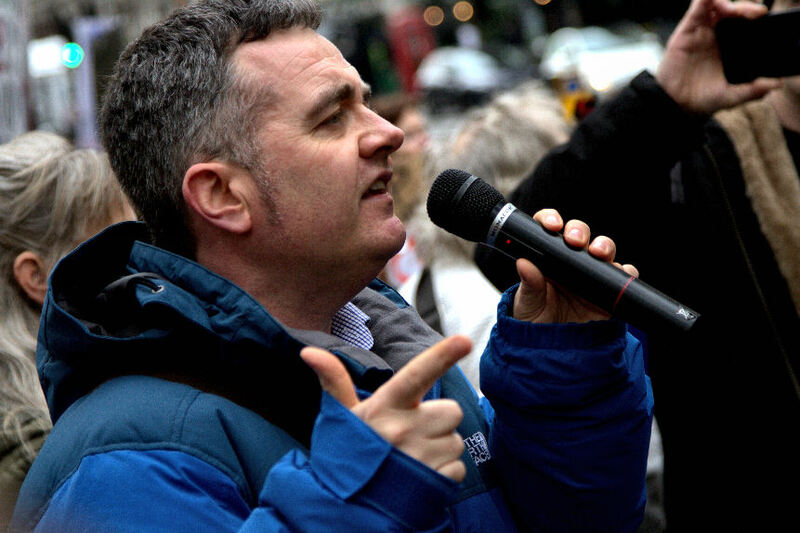 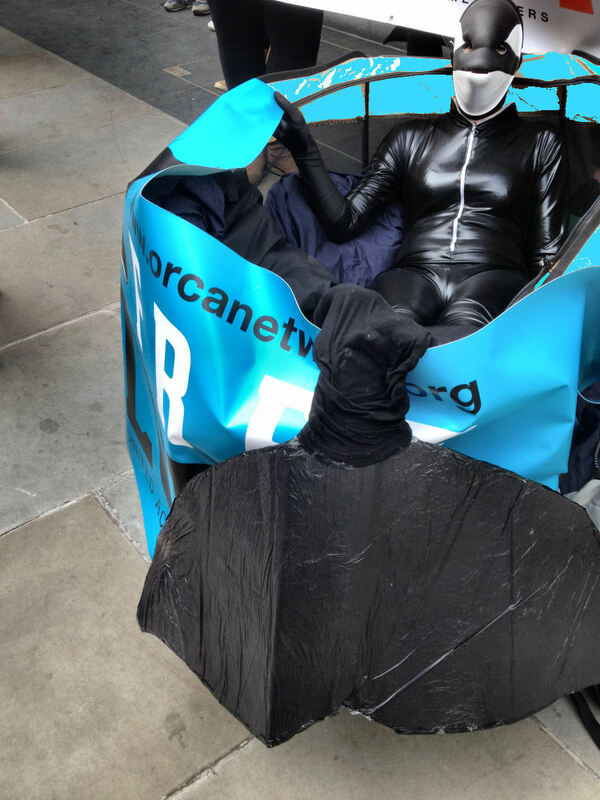 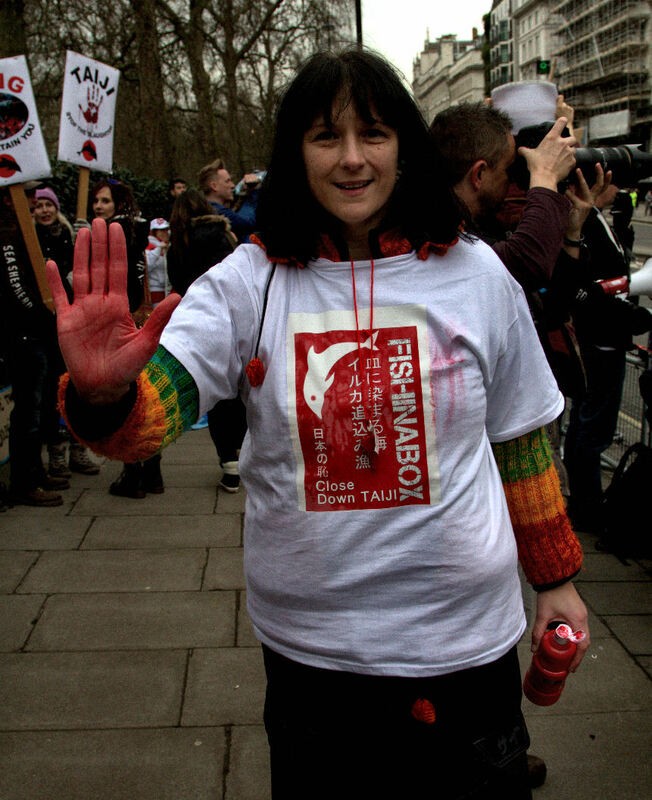 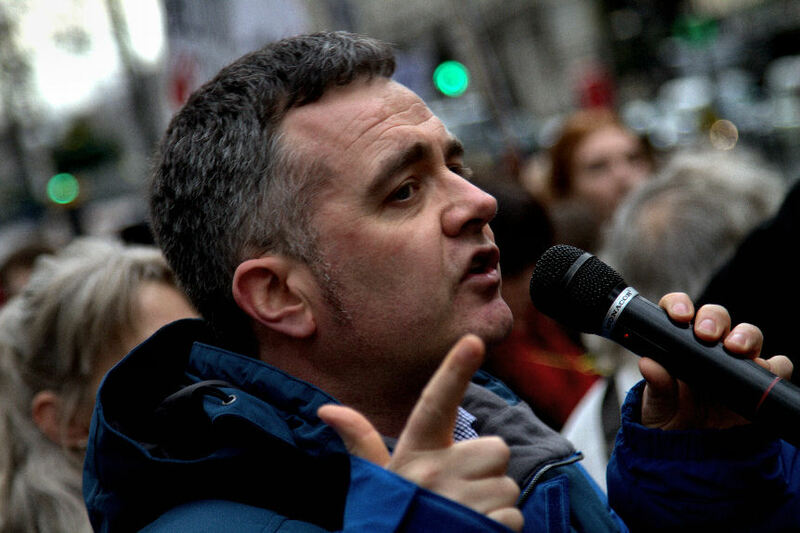 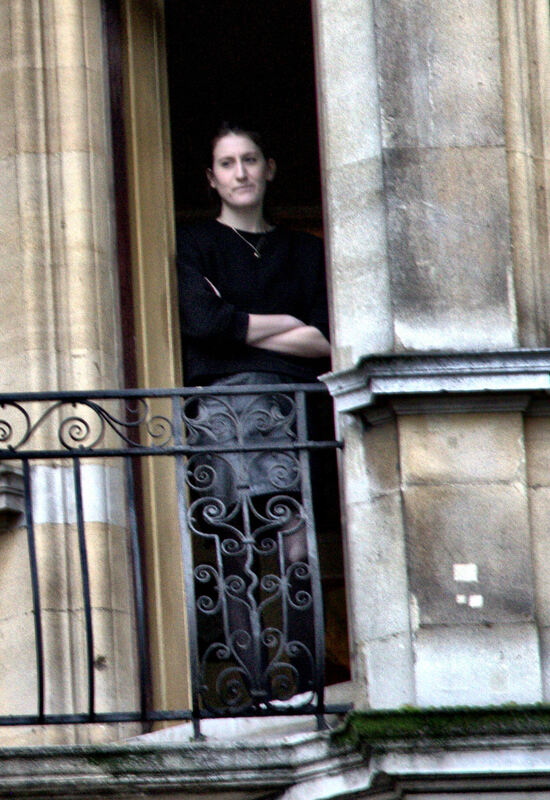 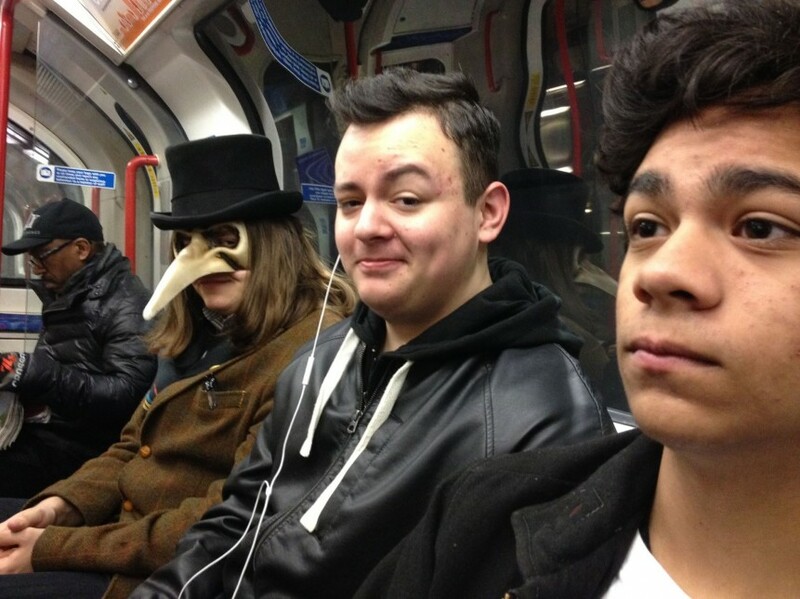 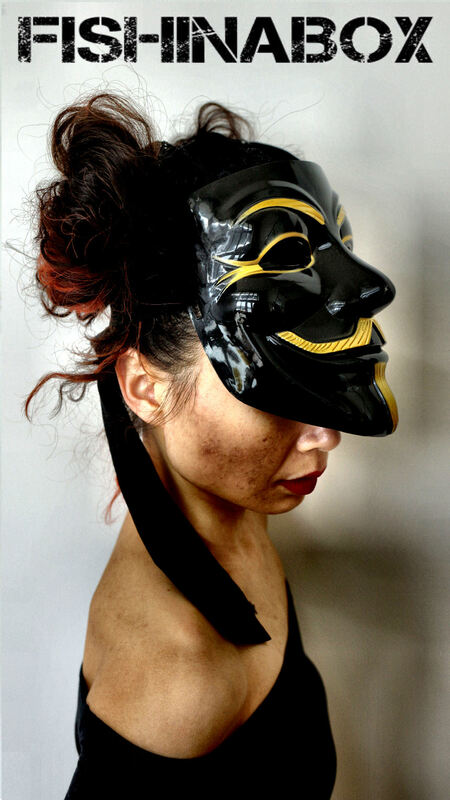 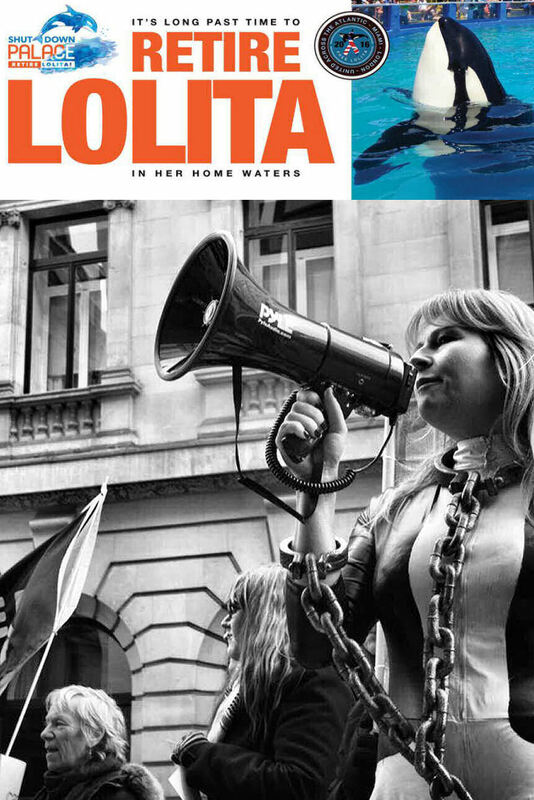 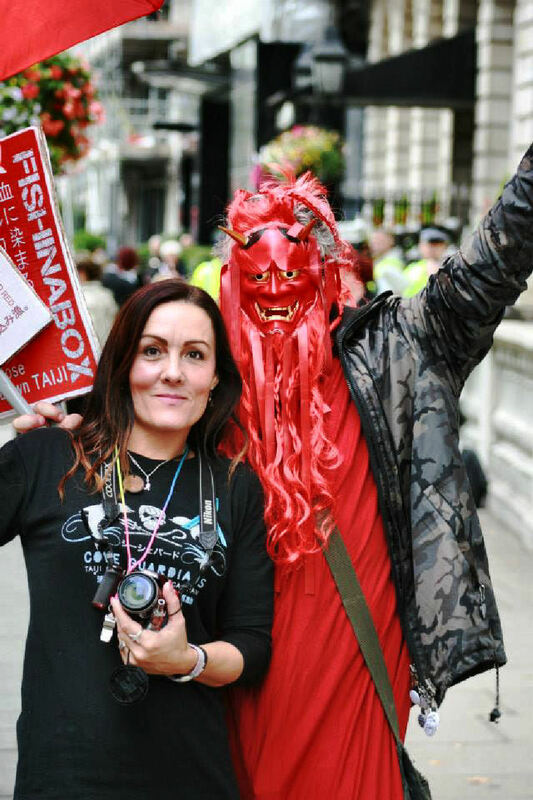 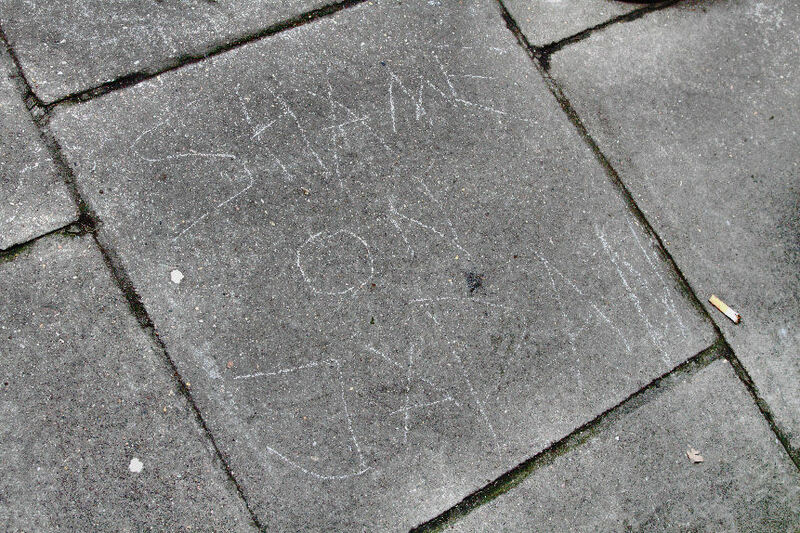 FISHINABOX, in response, along with other Groups, have been heading of the political aggressors to ensure the general Public have access to information while the Main Media and Political elements continue a charade designed at watering down evidence. 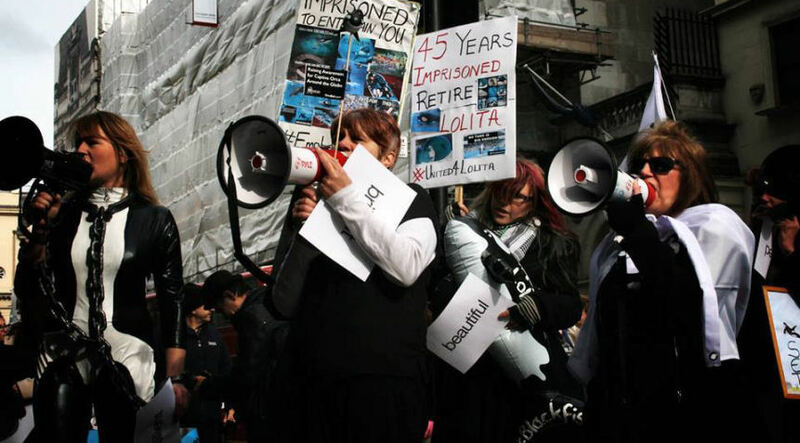 Main Media have at best trivialized the issue as anti Japanese and support the non disclosure of critical information regarding toxicity in Dolphin Meat, in arguments over cruelty and in distracting the Public form the money trail around the Captivity industry. 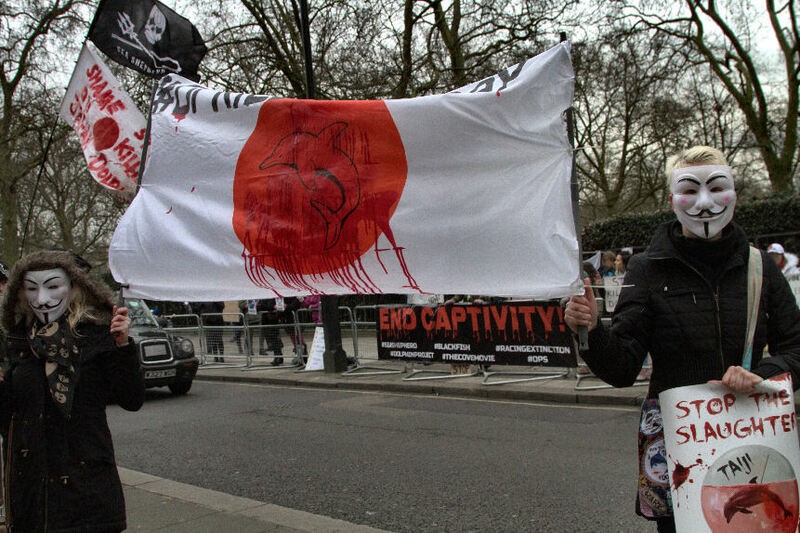 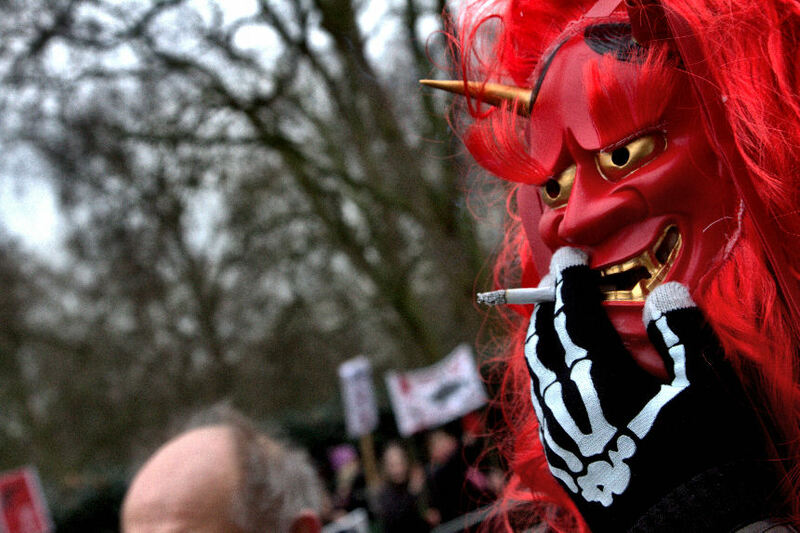 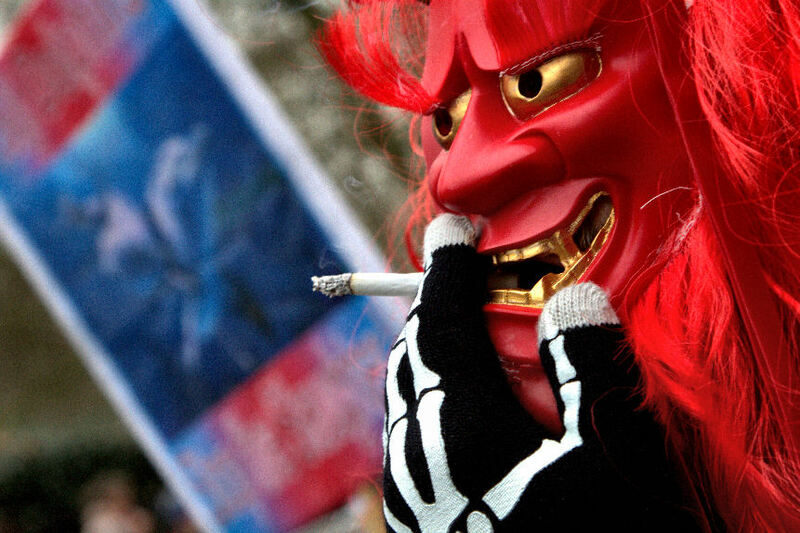 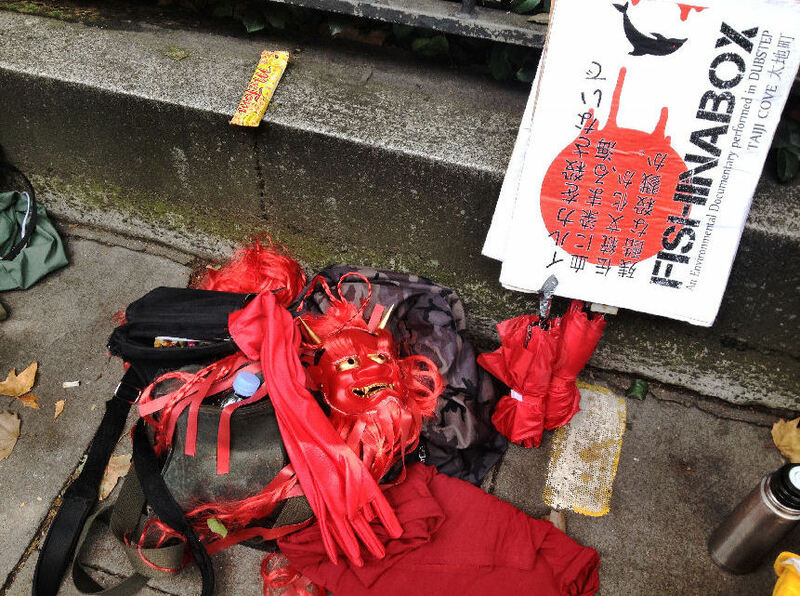 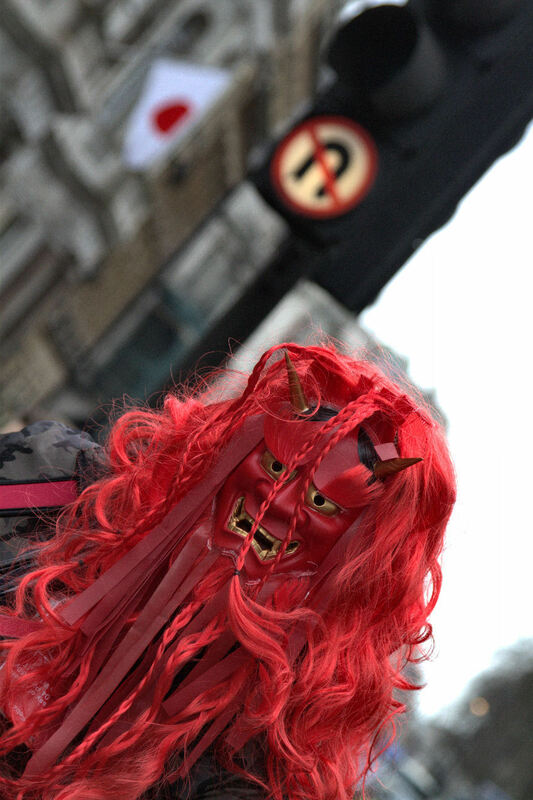 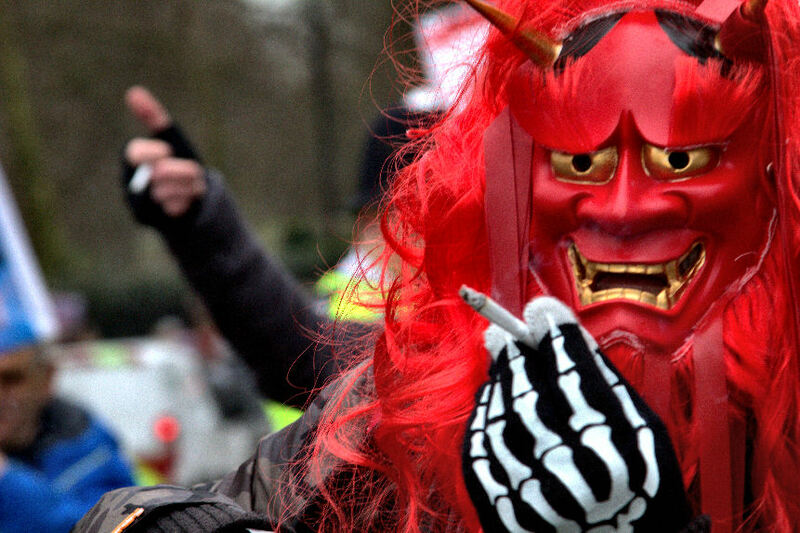 Despite this support continues to grow and Japanese people are now out and protesting against the trade. 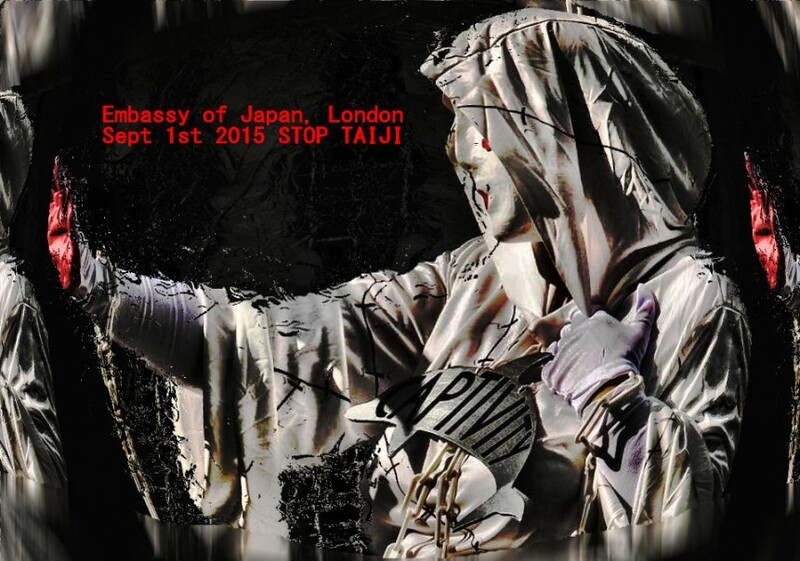 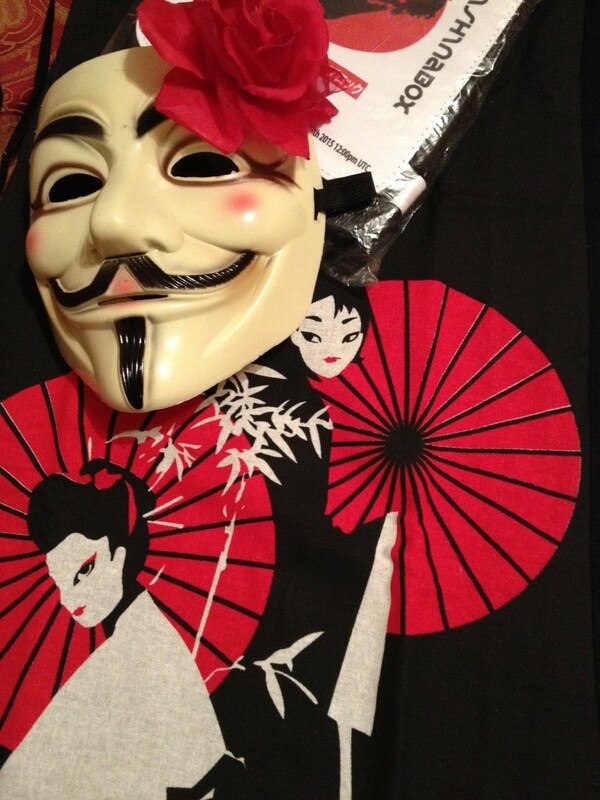 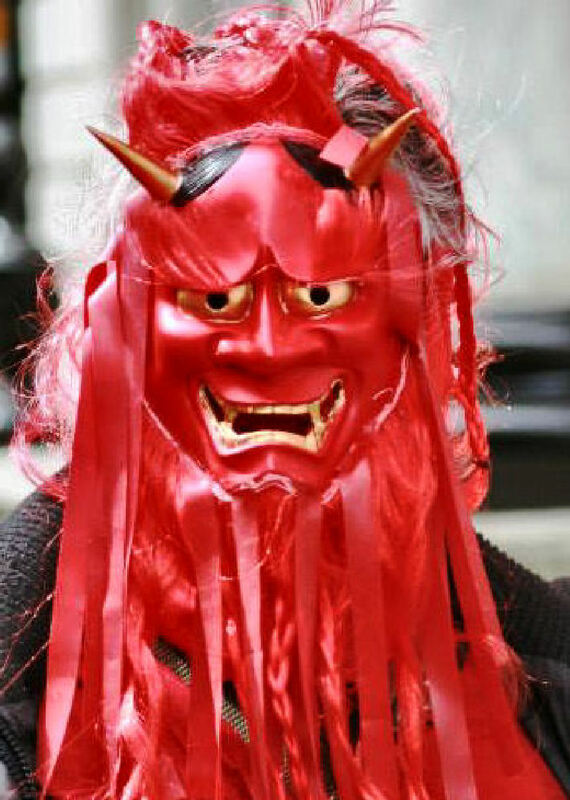 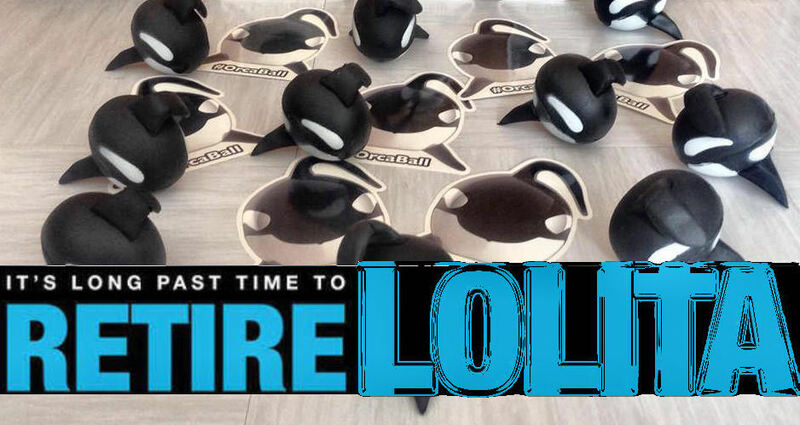 We can only hope that strong support globally and at Global Demos (from Manila to Canada) such as September 1 will provide them with a network to reach out to as one thing is sure, only when the Japanese People are able to rise up against intimidation to ignore the issue will the Japanese Government, finally review the industry. 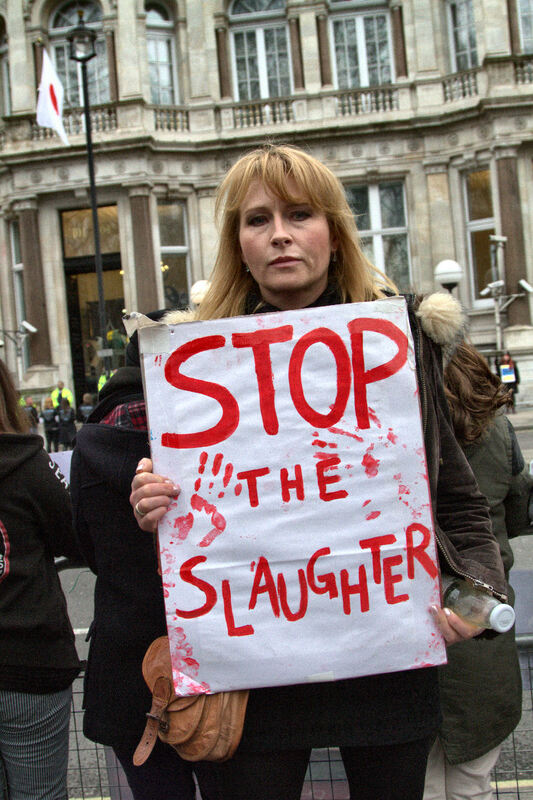 Short attempts to appease the Global community such as an insignificant reduction in the kill quota have not worked. 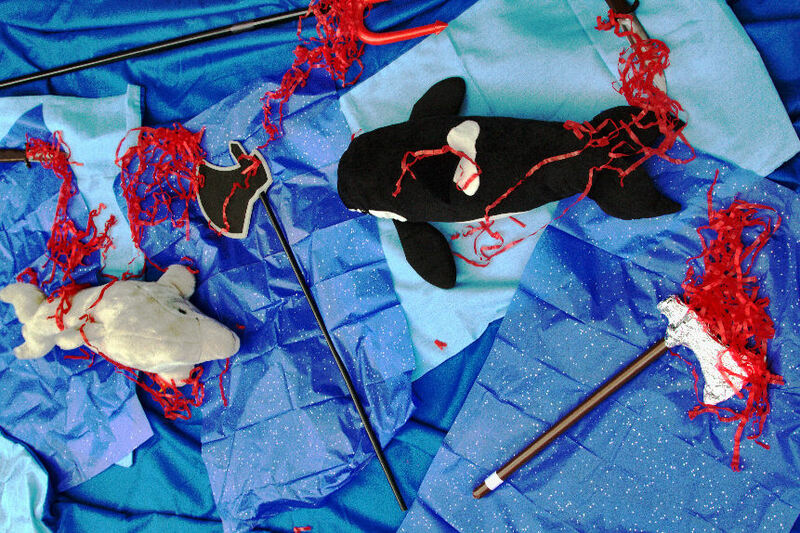 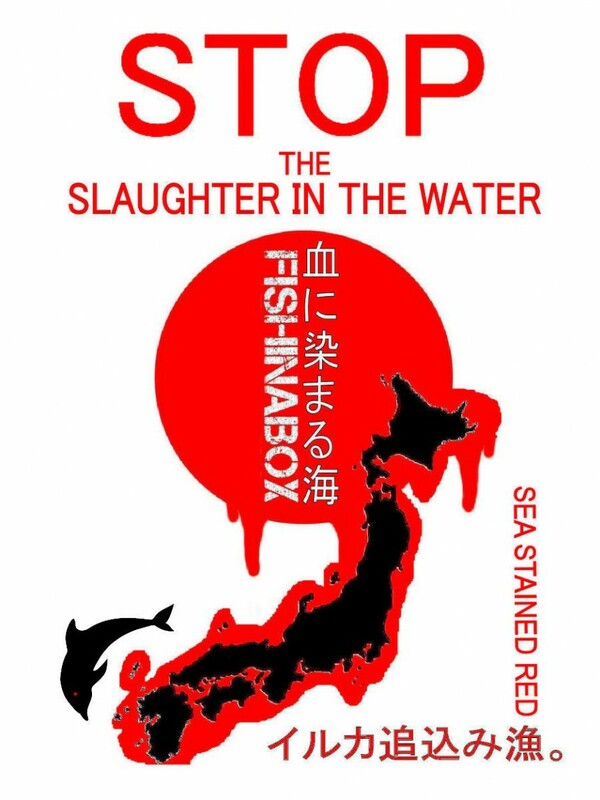 The industry, for the rightful good health of the Japanese People and the protection of cetaceans against eradication and entrapment, needs to be shut down. 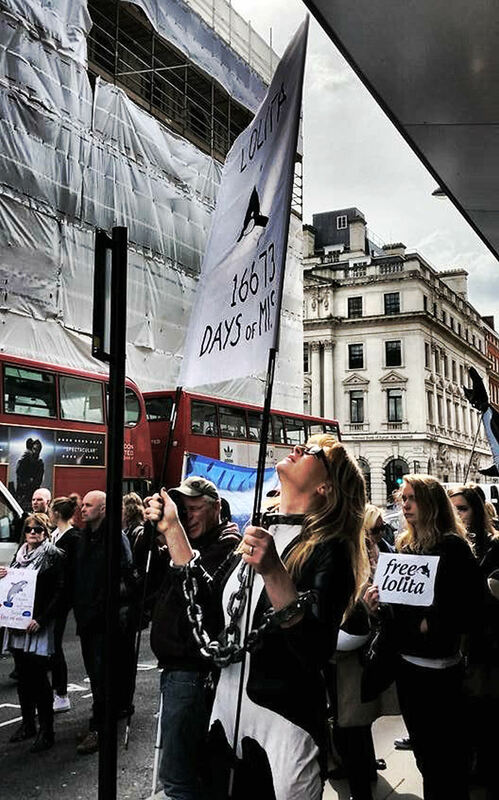 The Hunt Season is on, join the global protest or if Protesting is not your thing, then join the online groups such as Dolphin Angels and Empty the Tanks and add your voice to the campaign. 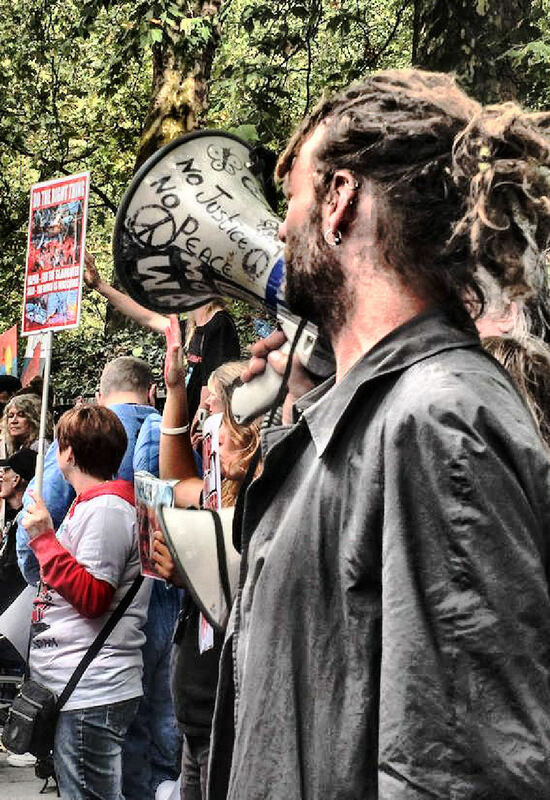 Spread the News on your social Media Channels – use these below engaging links of Music files, Press reports and Video Footage to get the message across to all contacts. 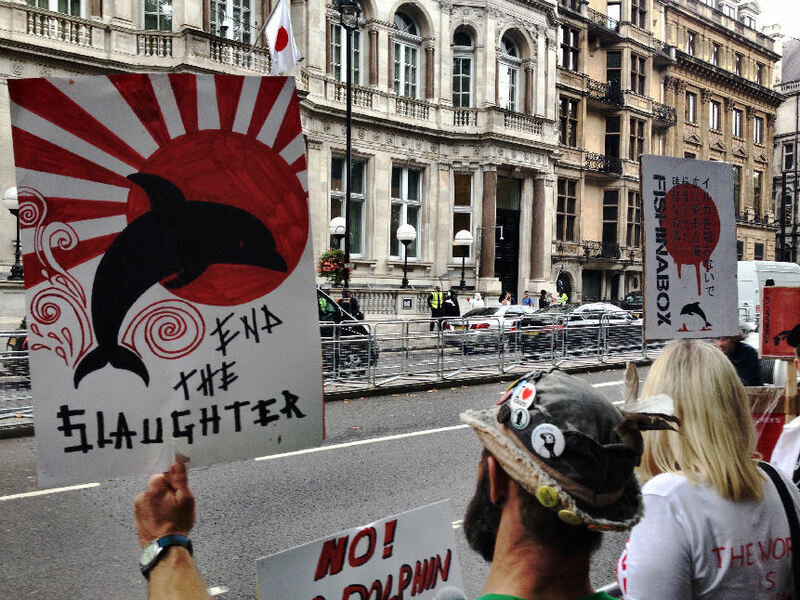 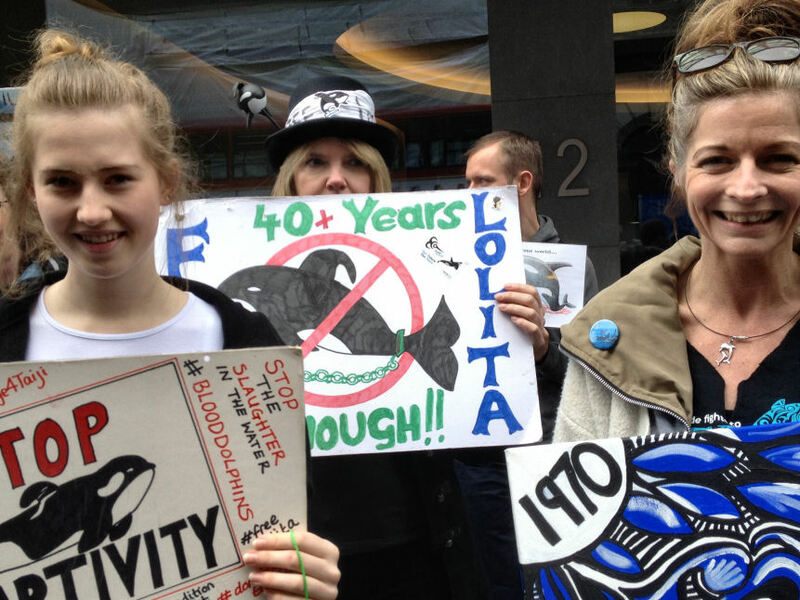 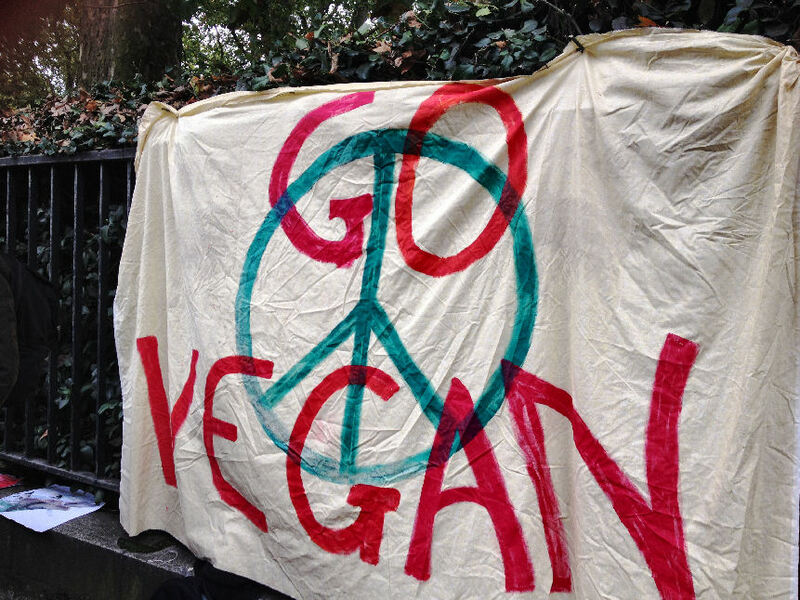 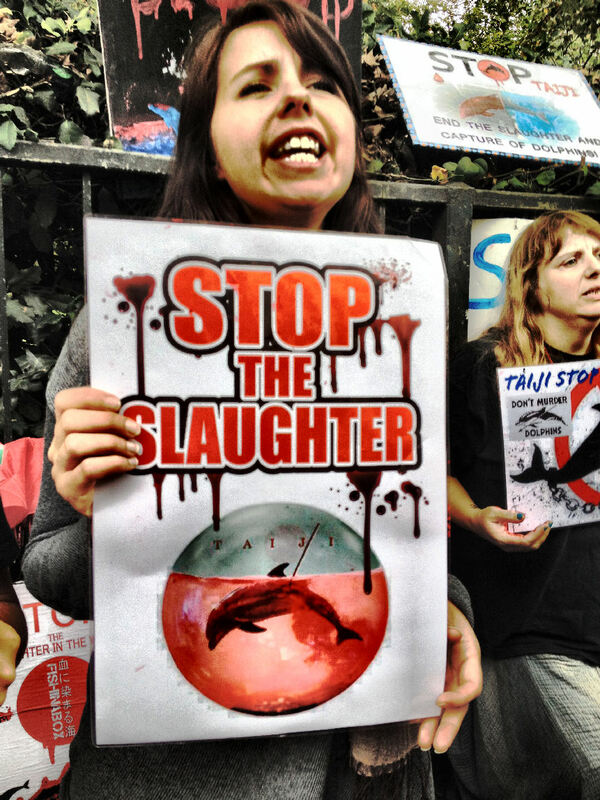 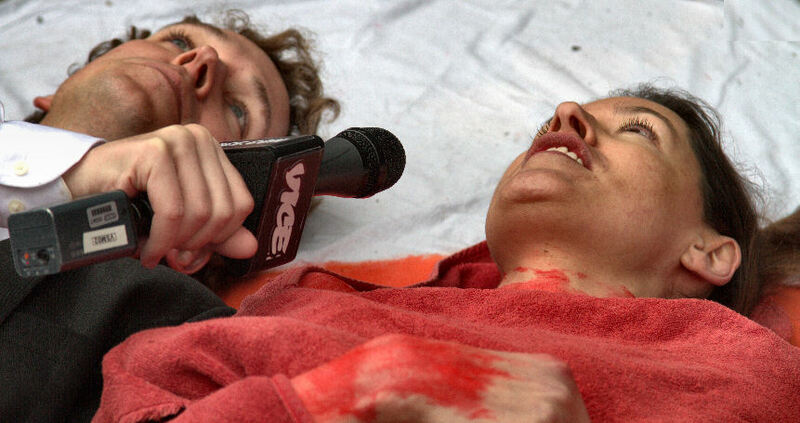 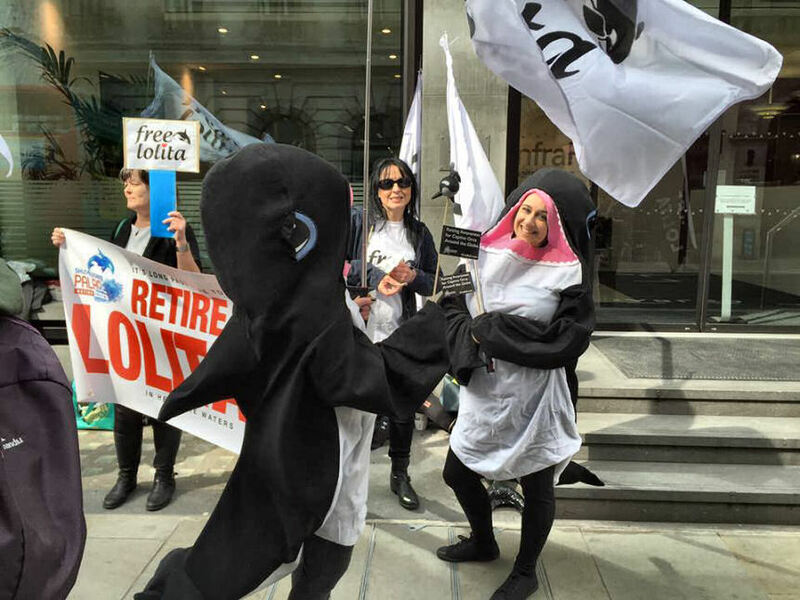 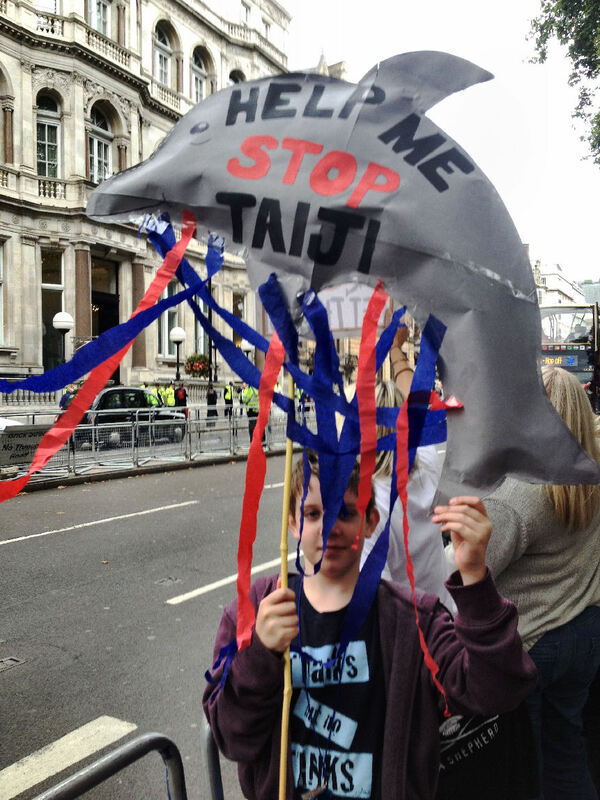 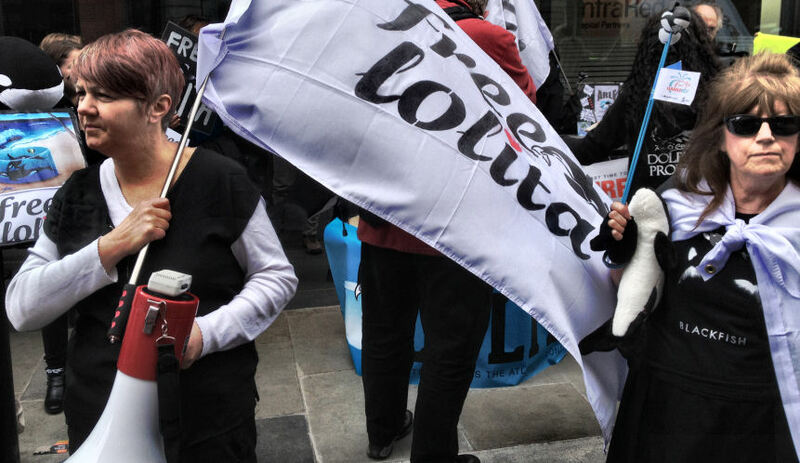 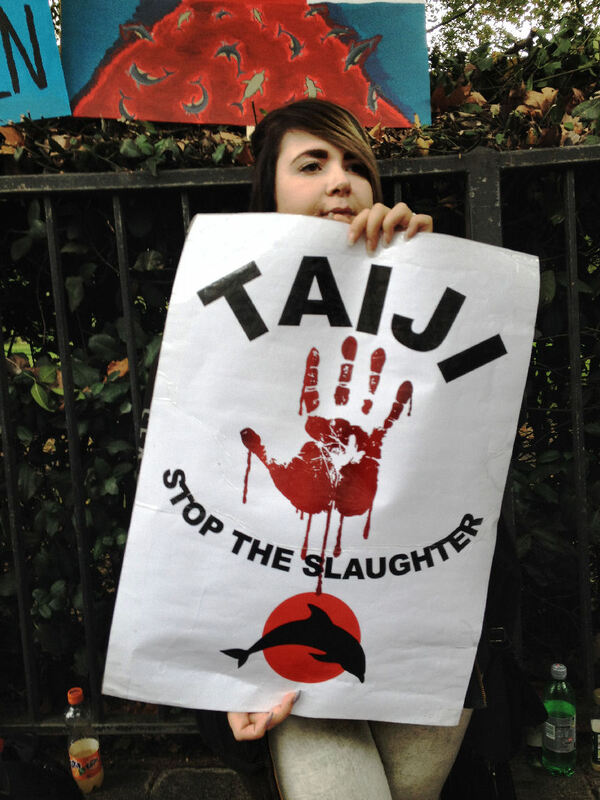 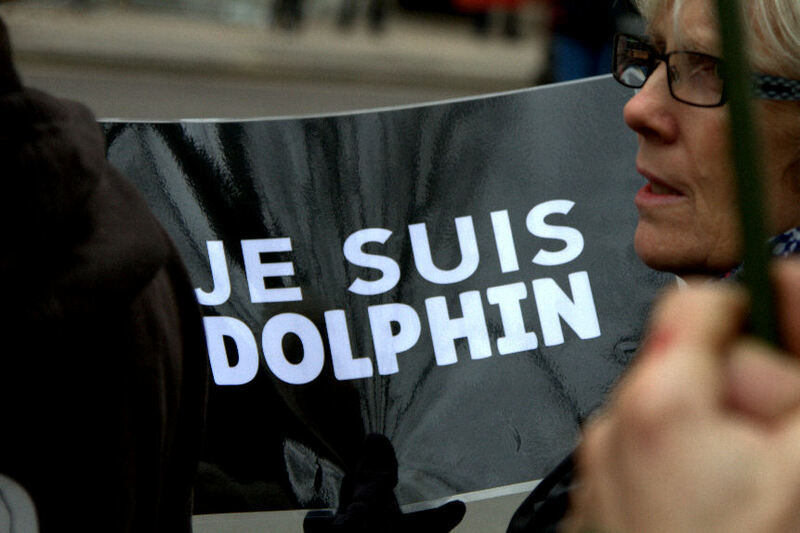 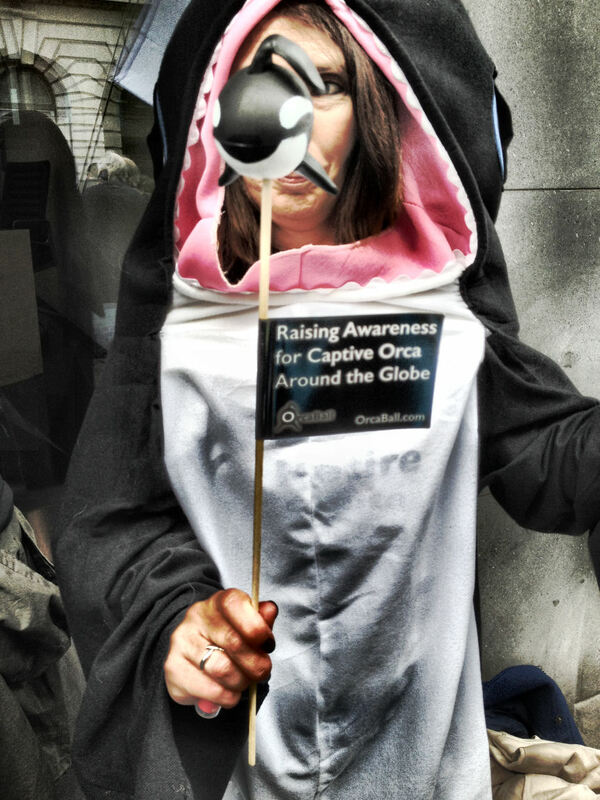 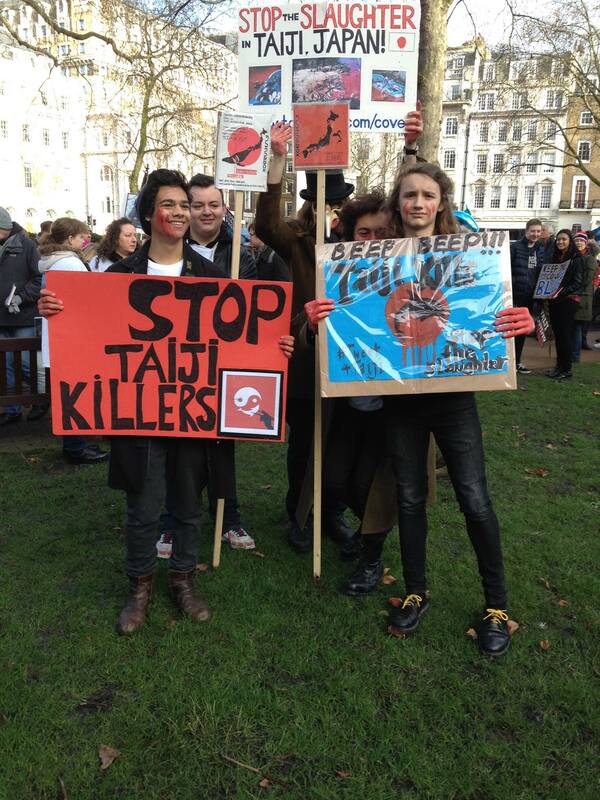 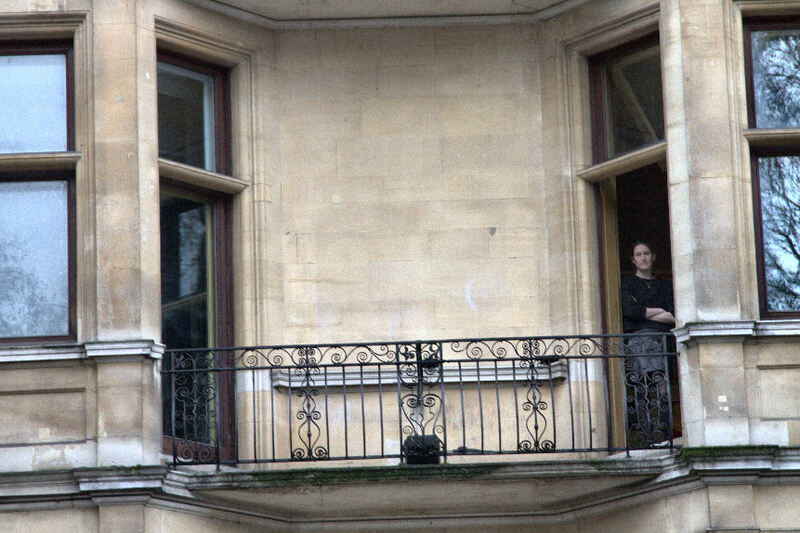 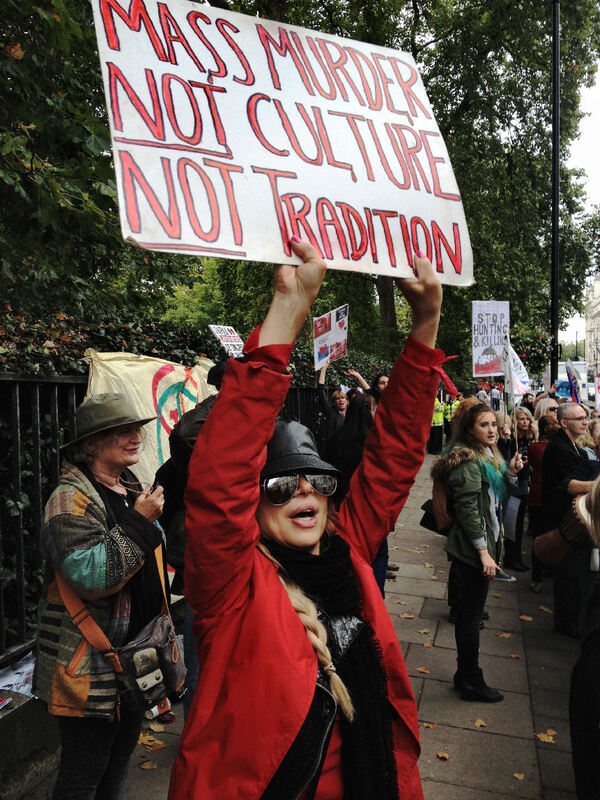 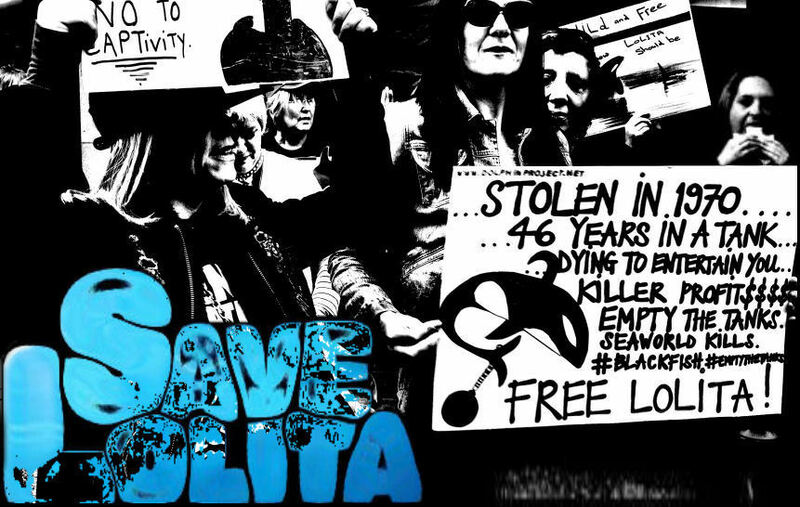 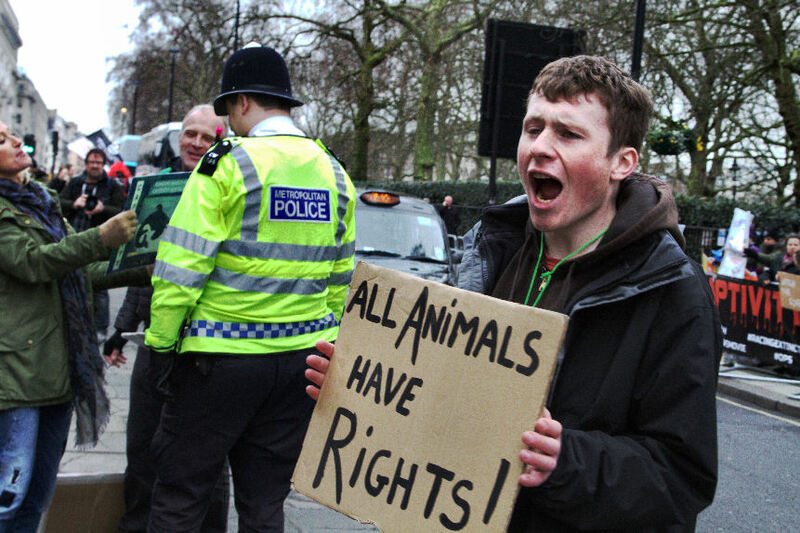 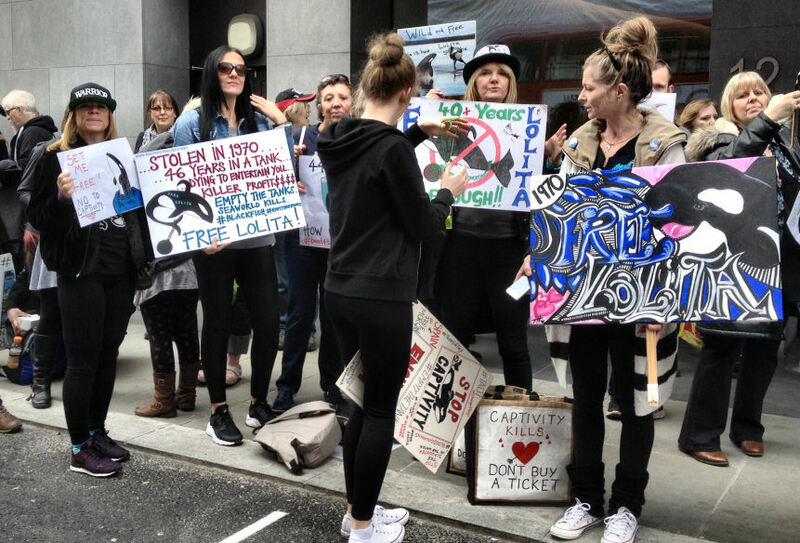 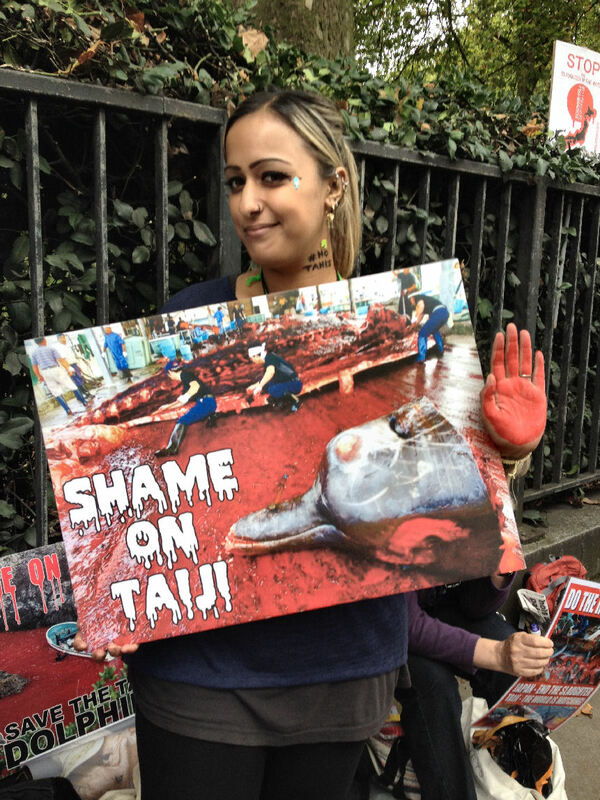 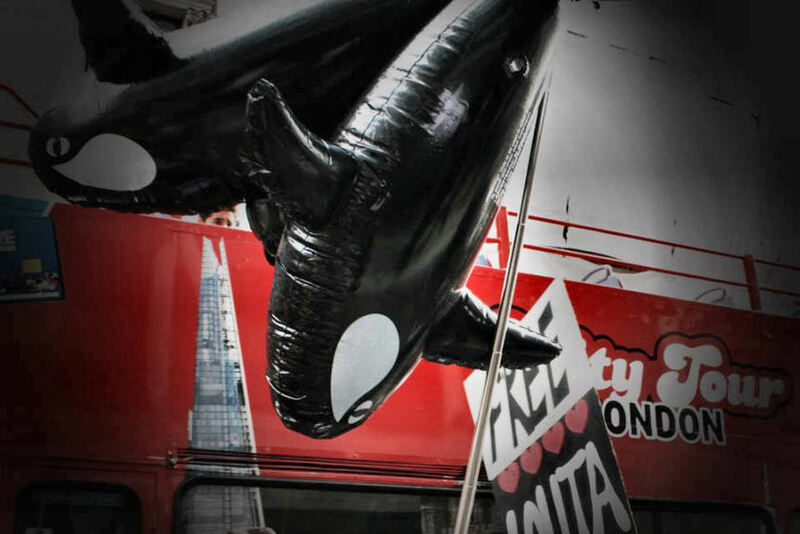 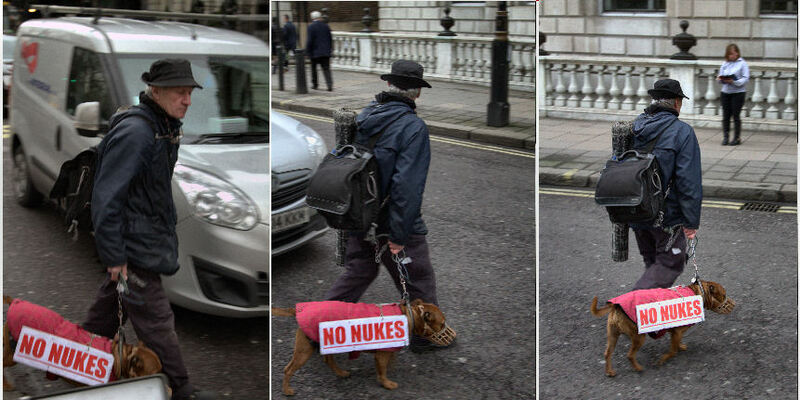 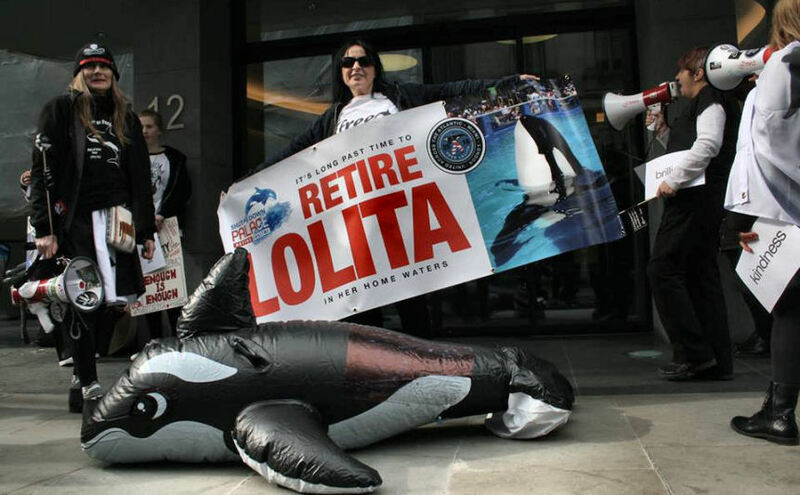 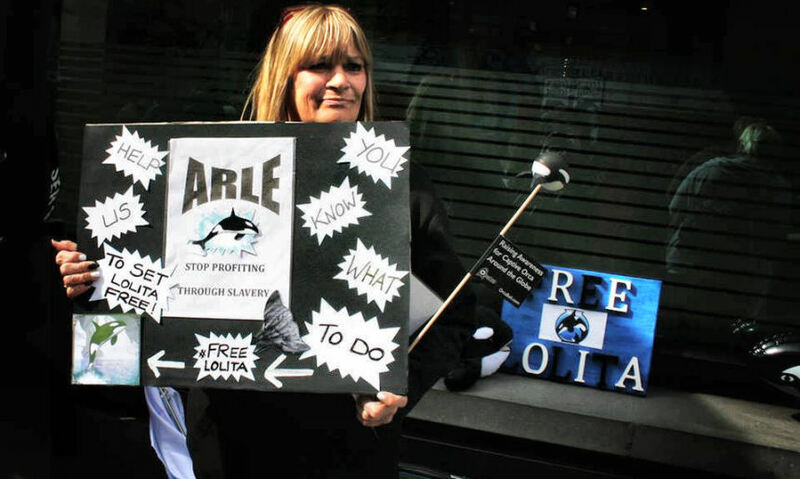 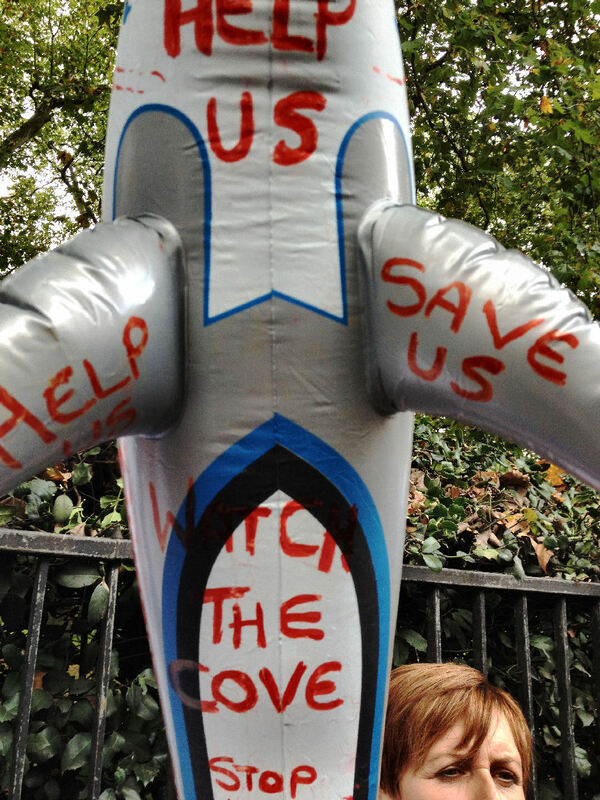 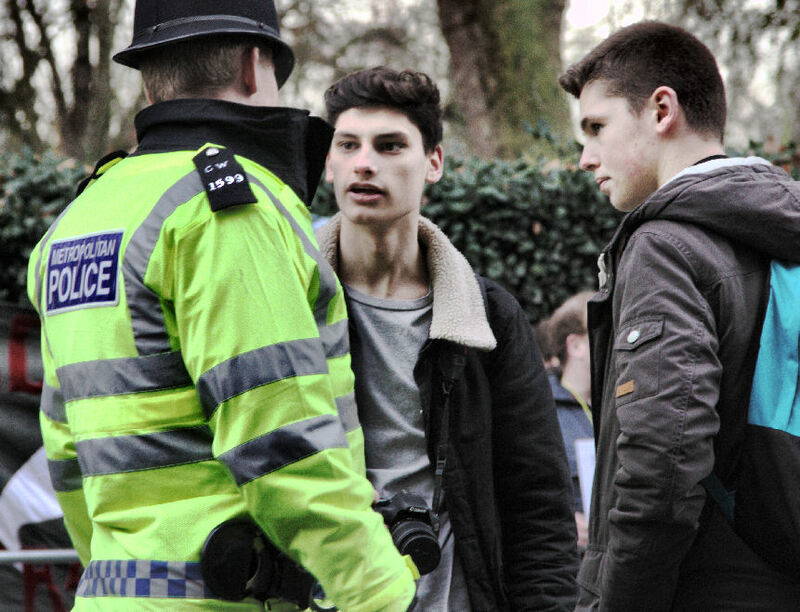 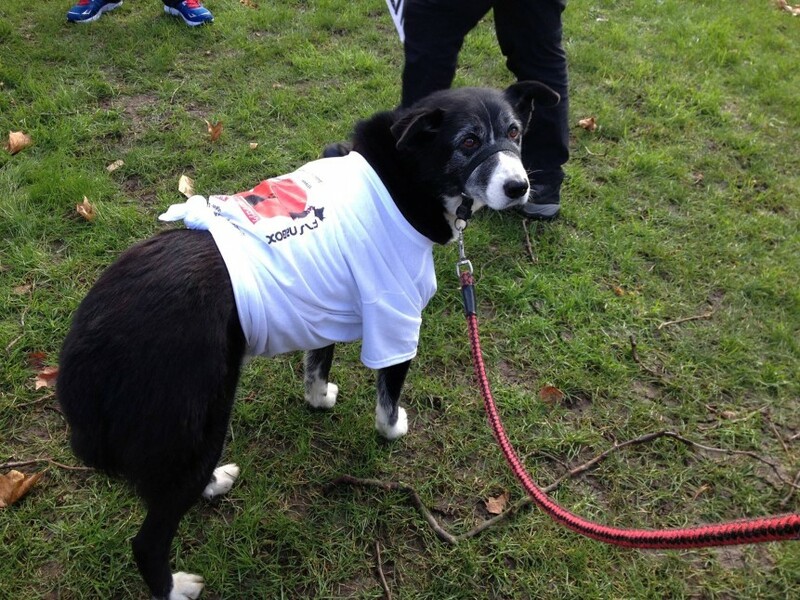 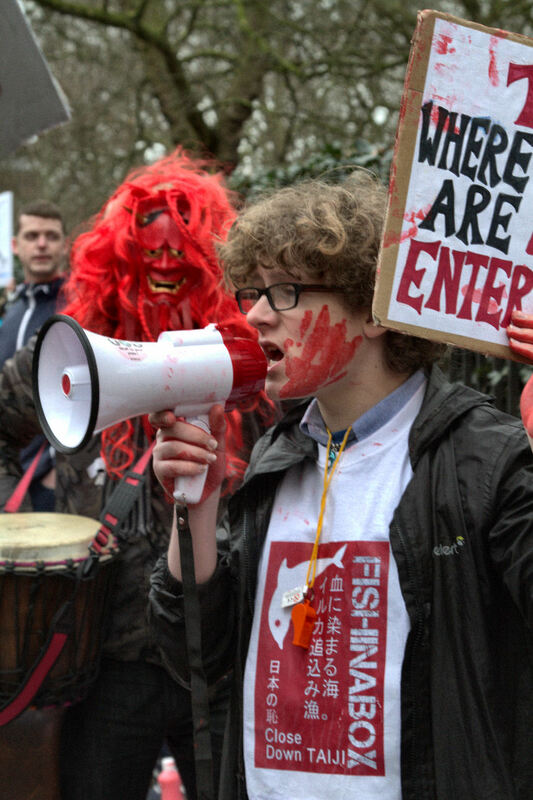 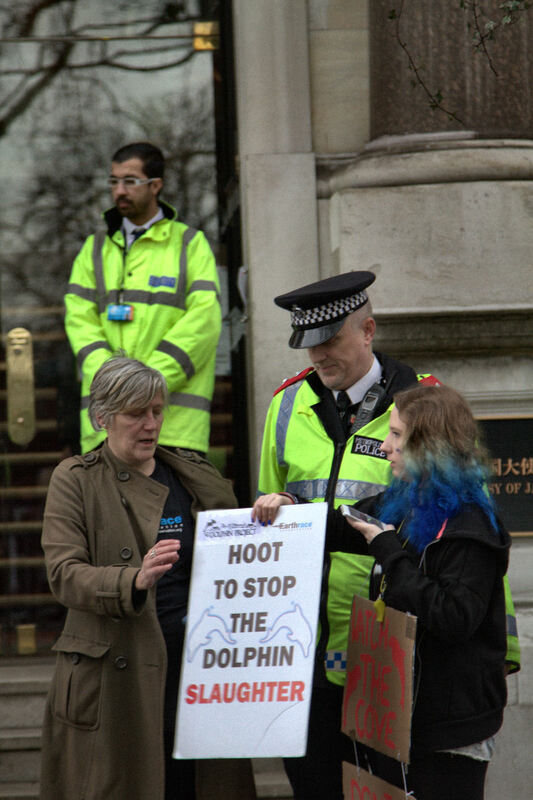 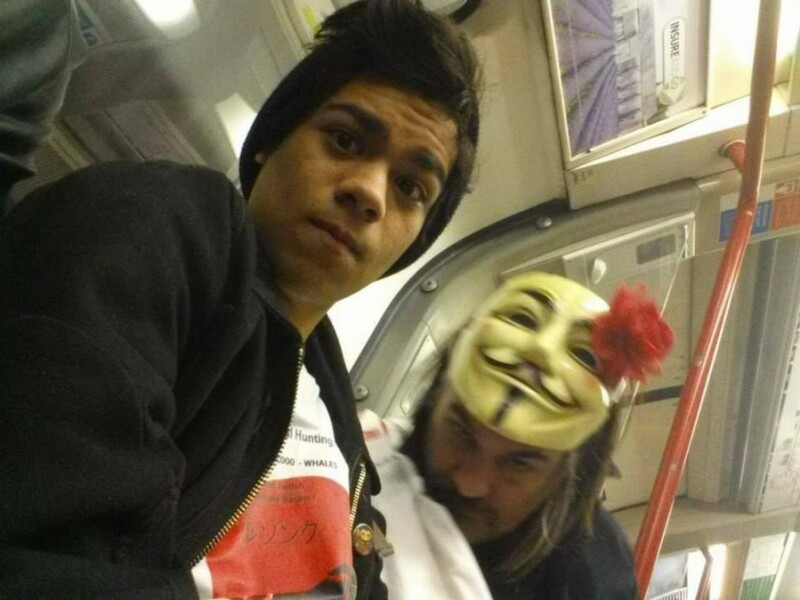 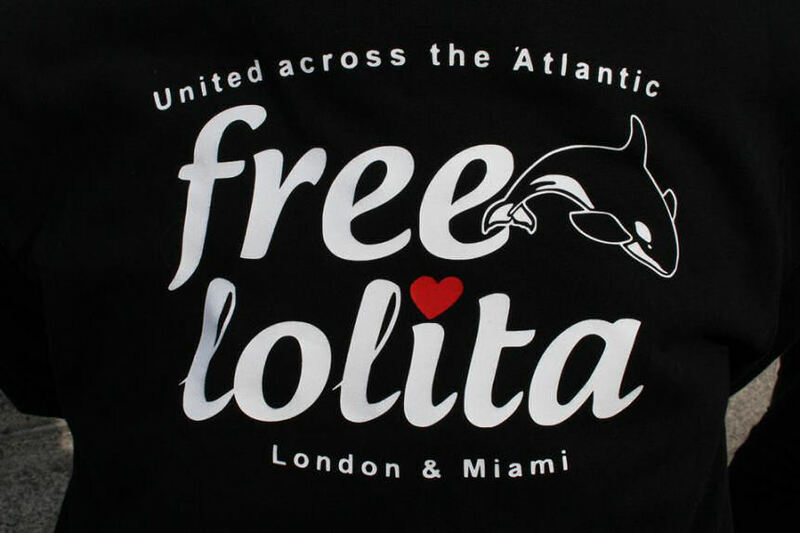 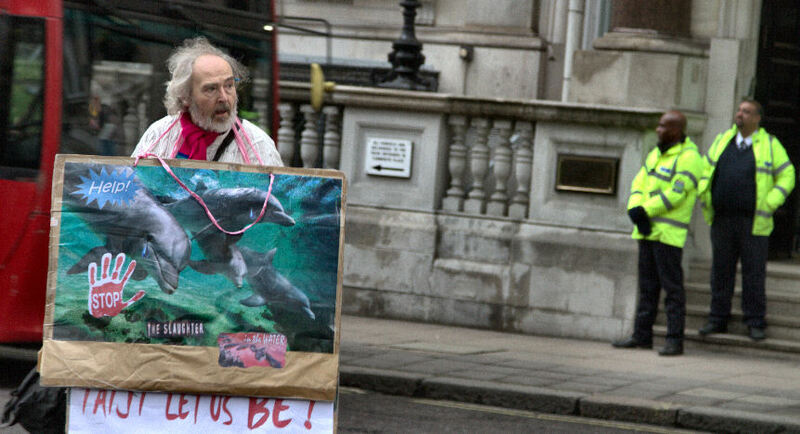 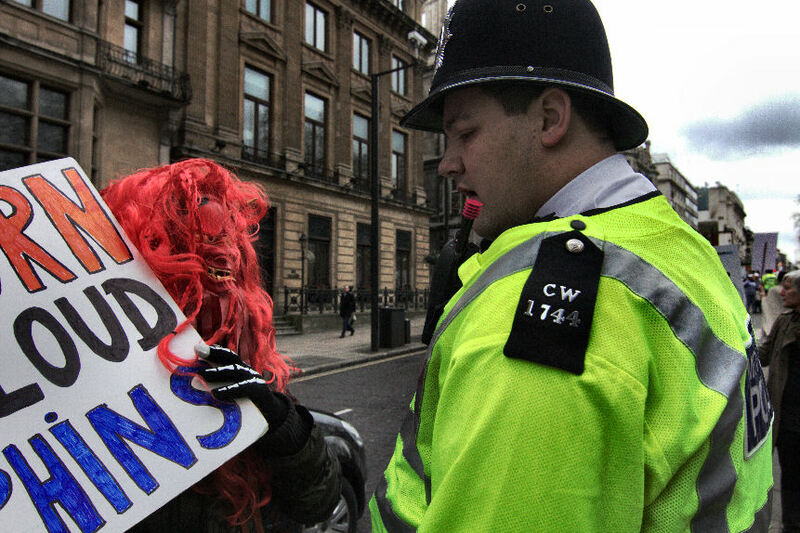 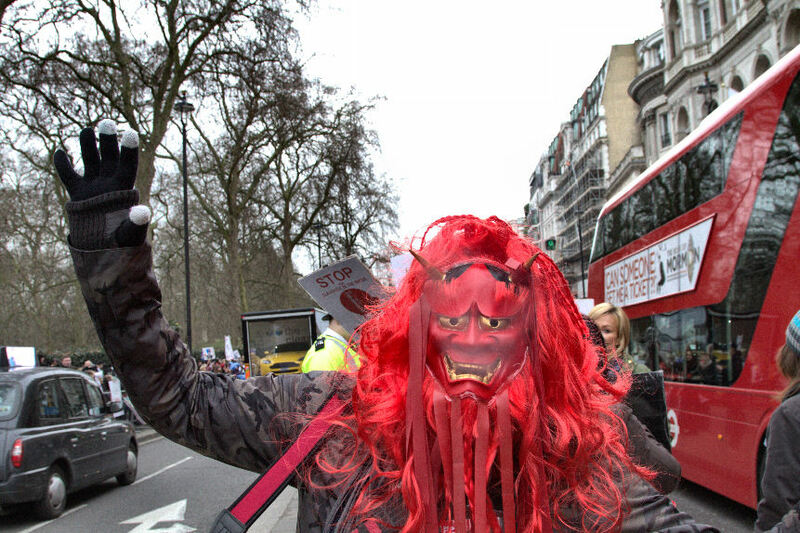 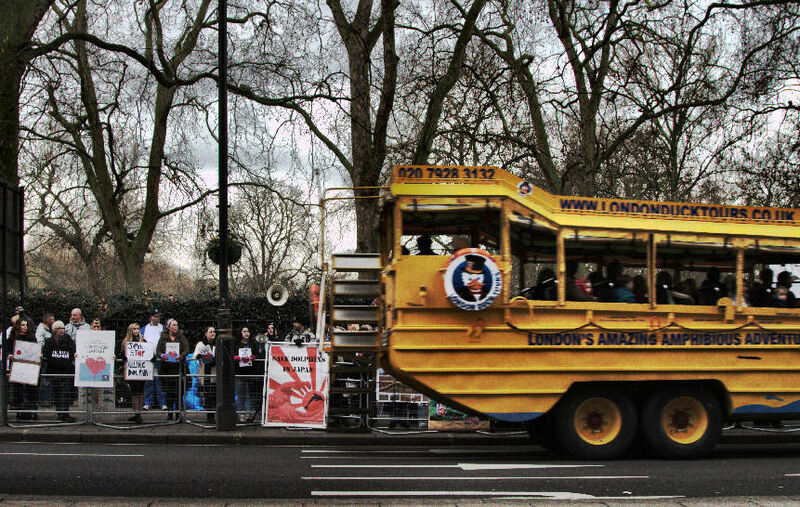 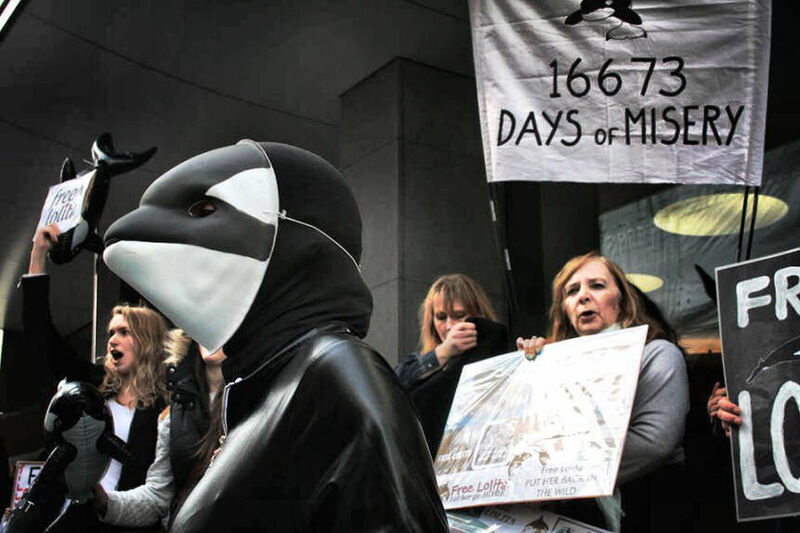 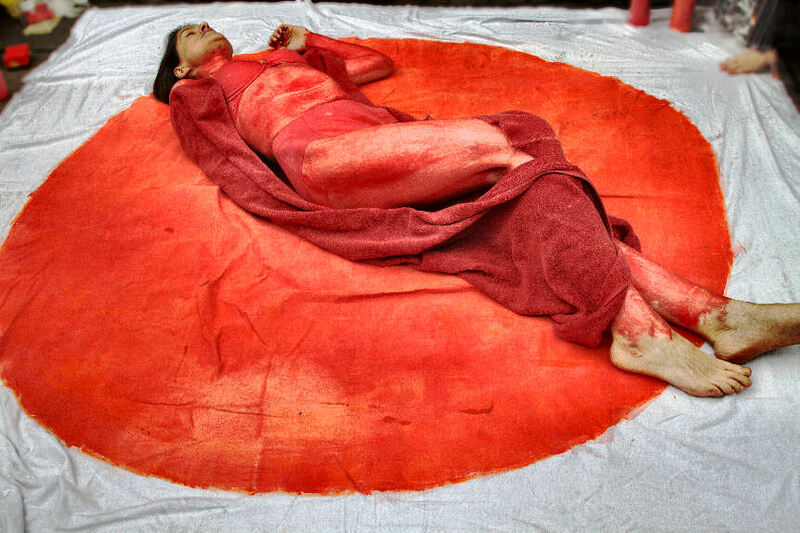 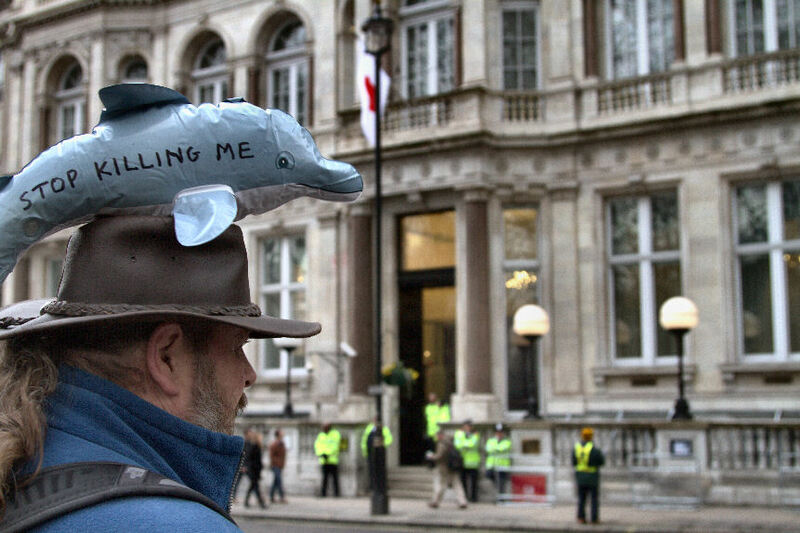 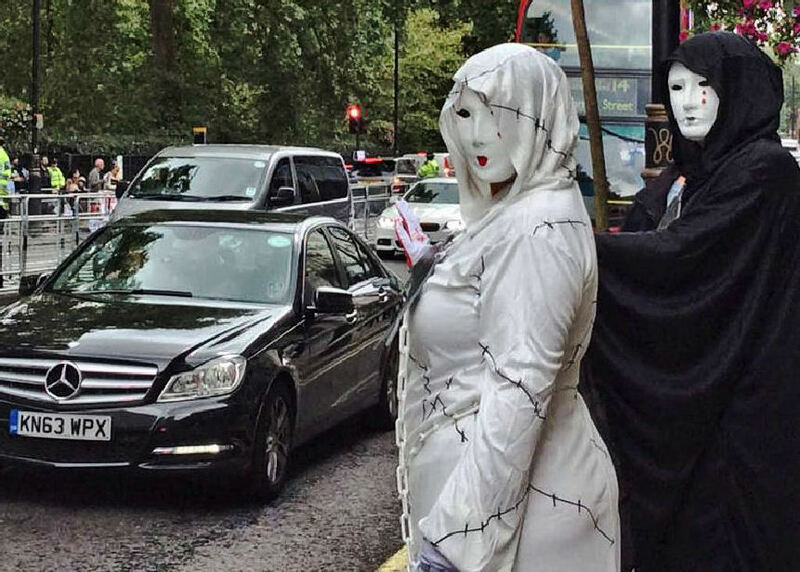 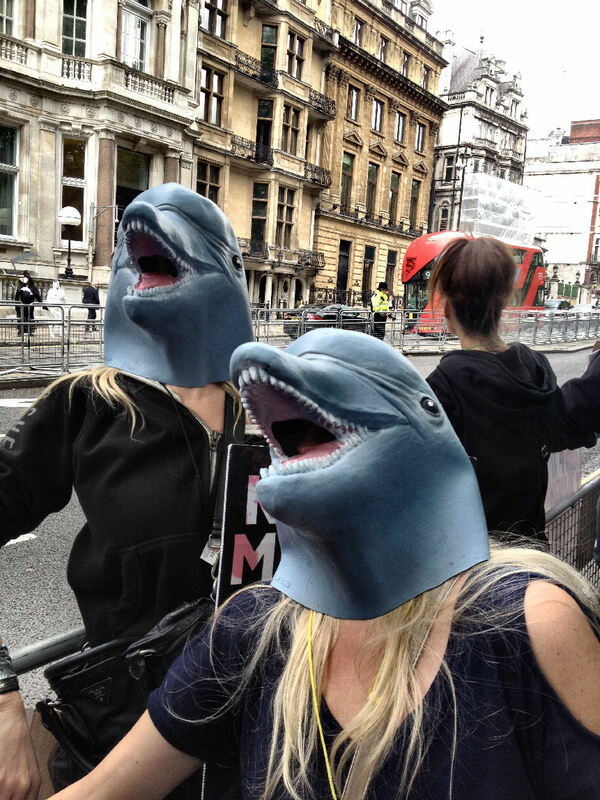 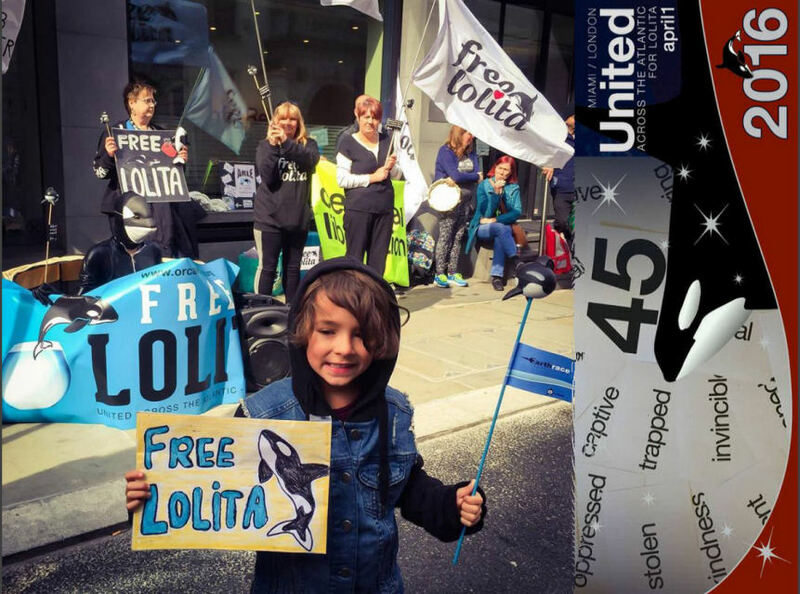 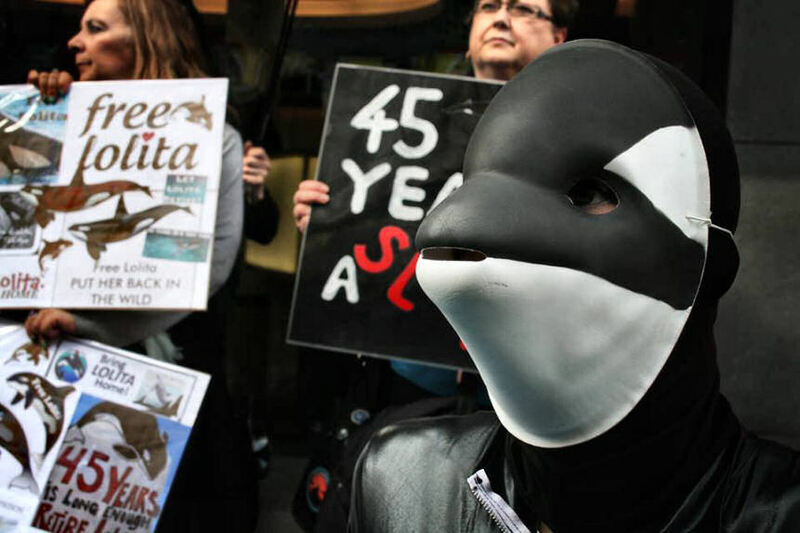 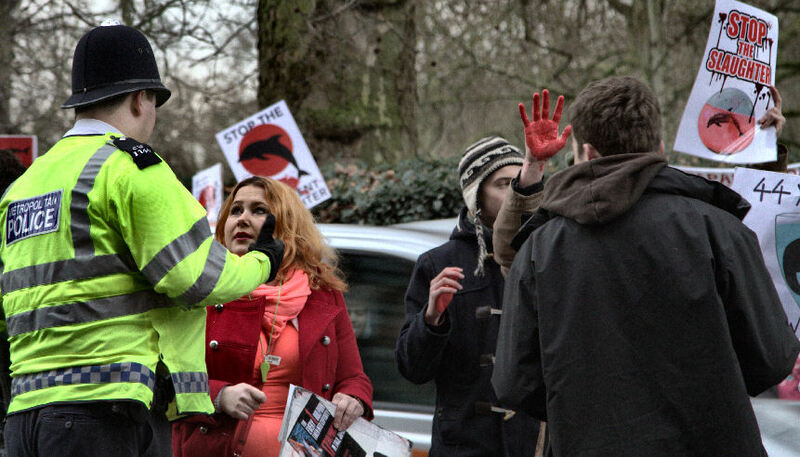 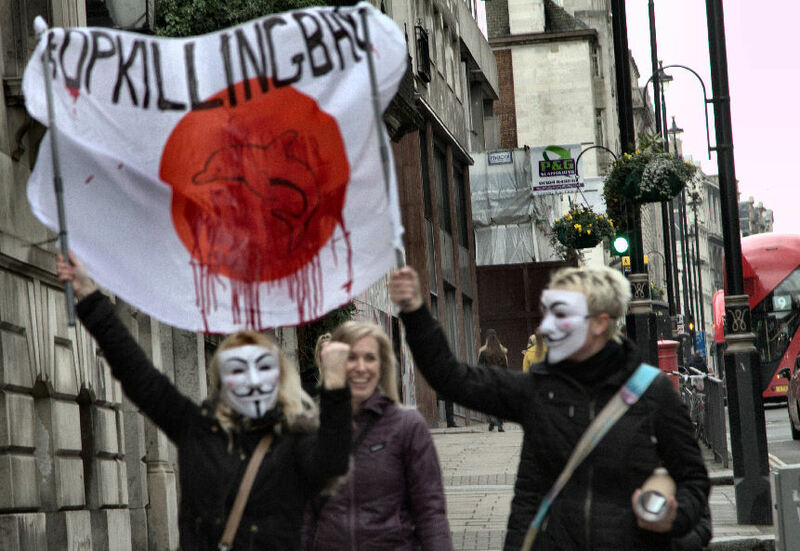 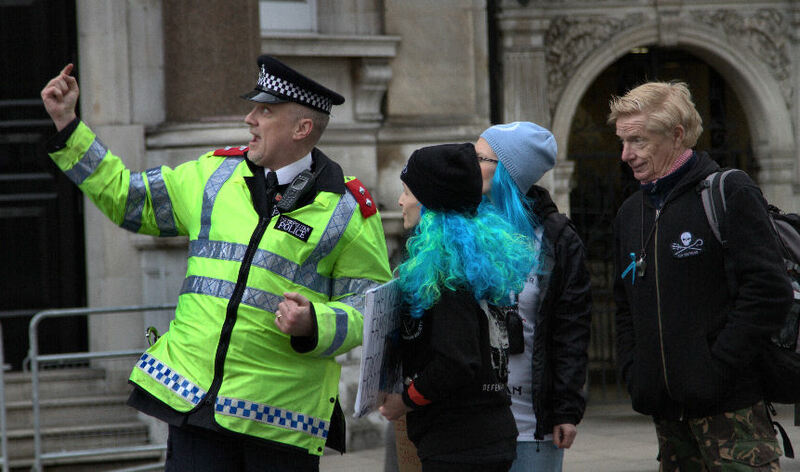 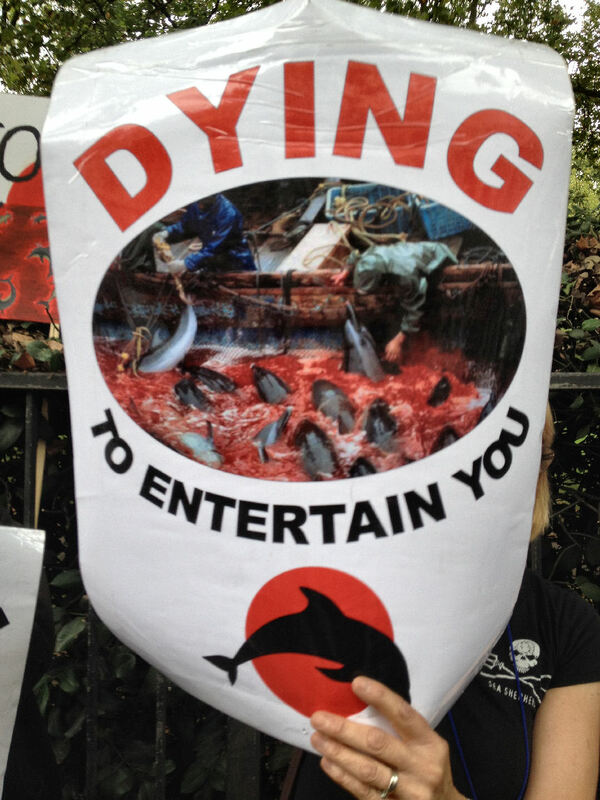 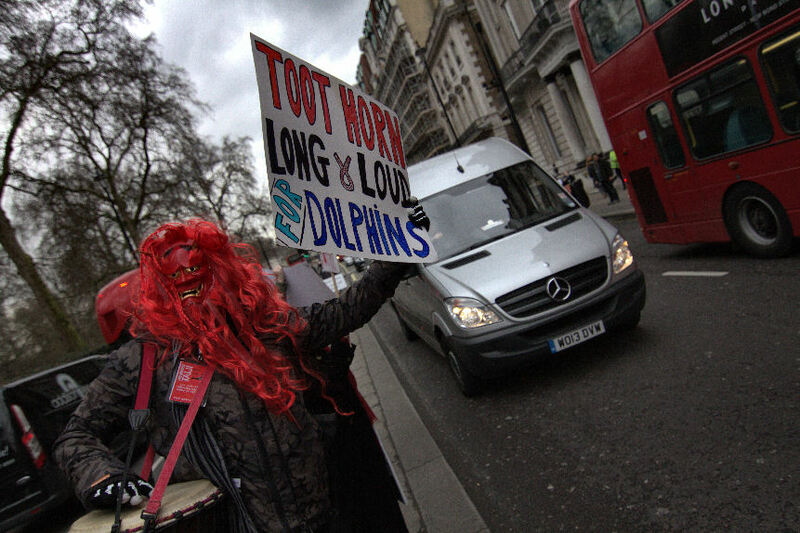 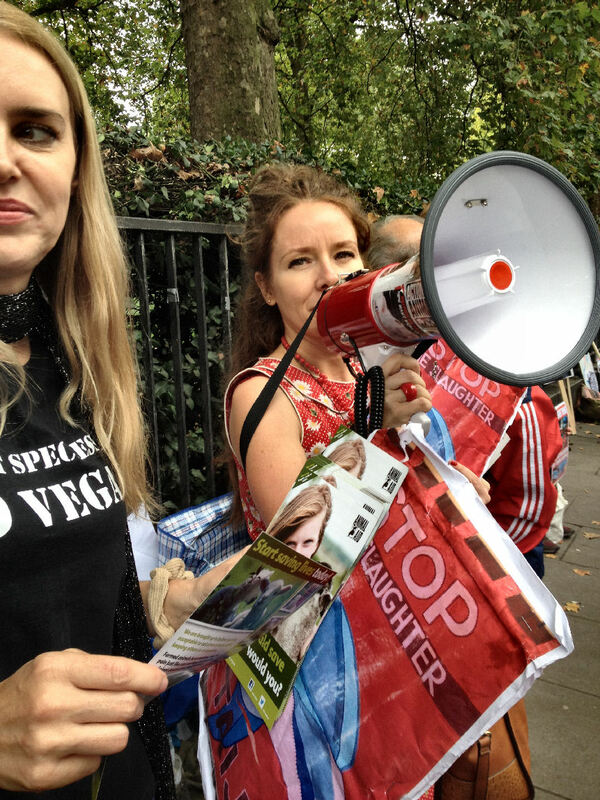 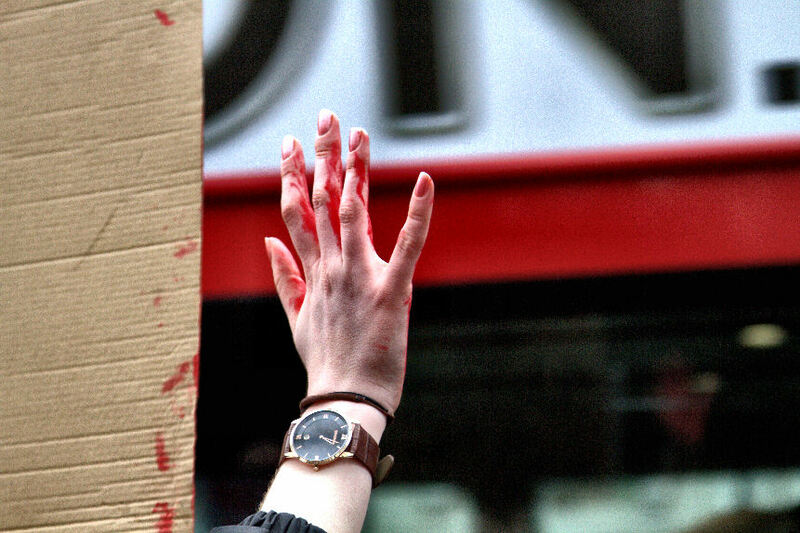 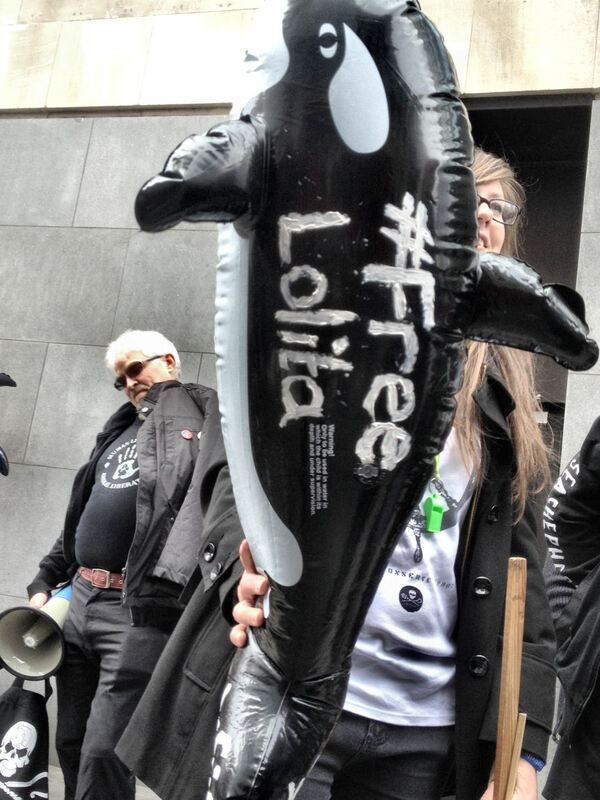 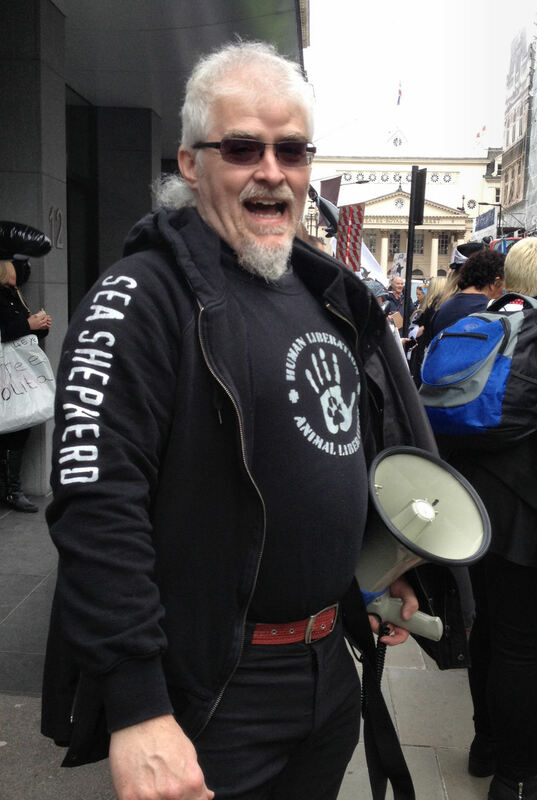 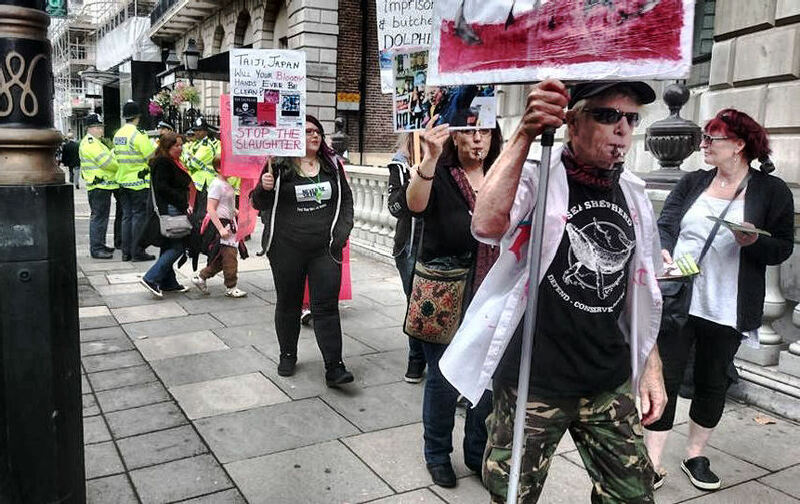 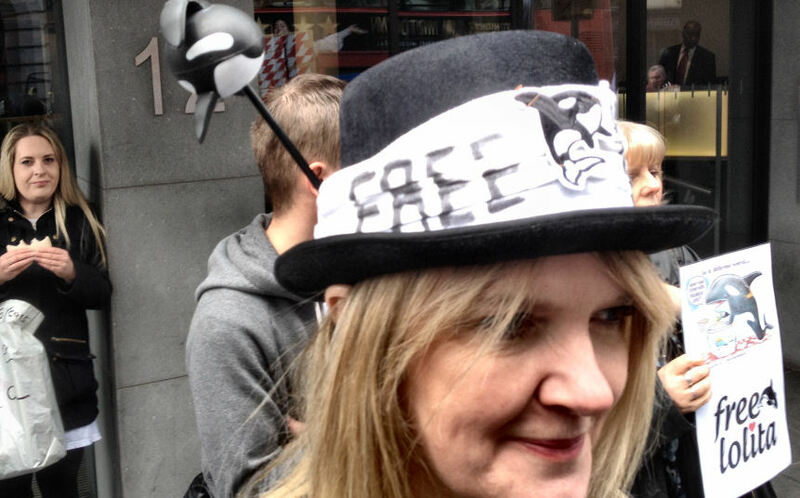 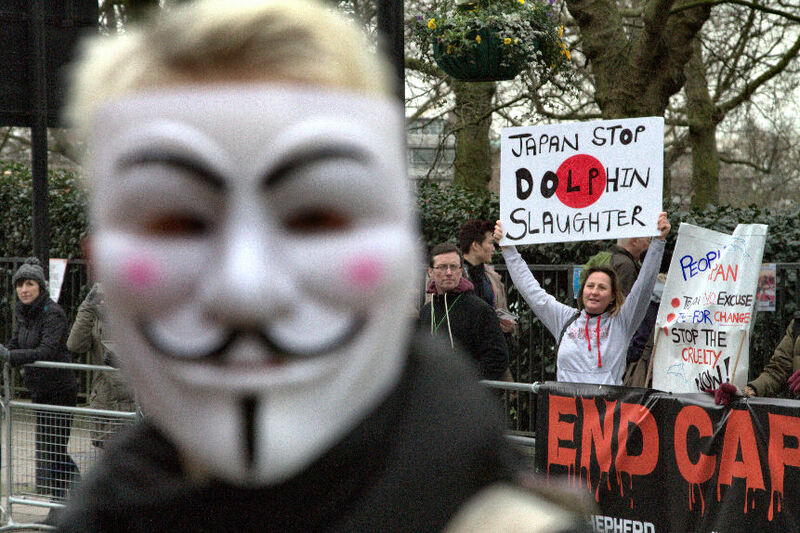 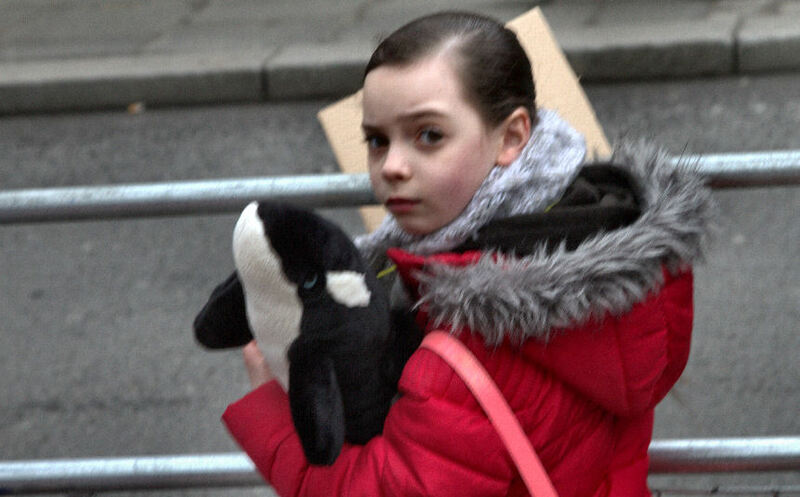 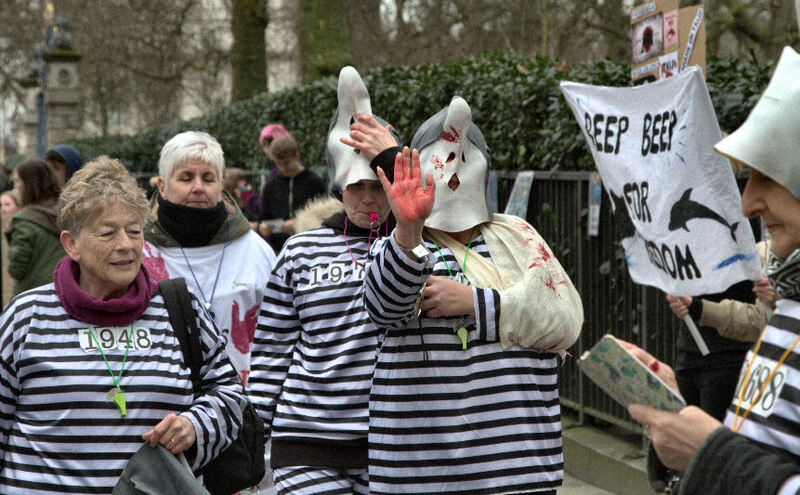 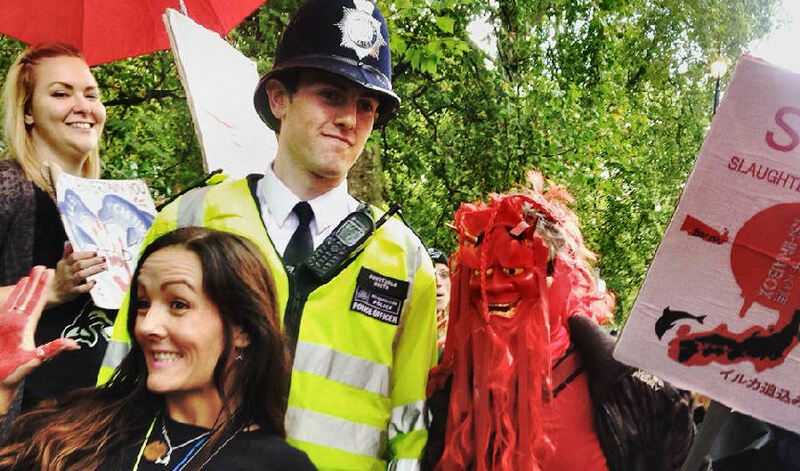 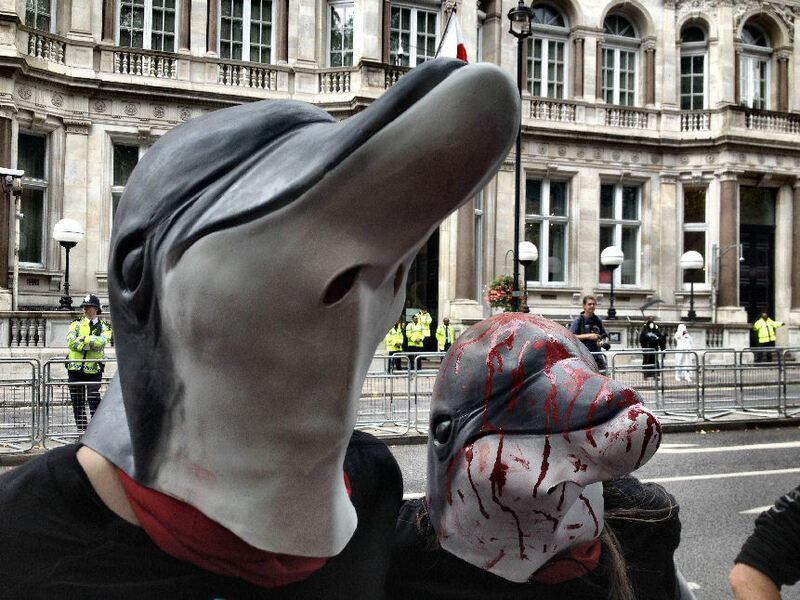 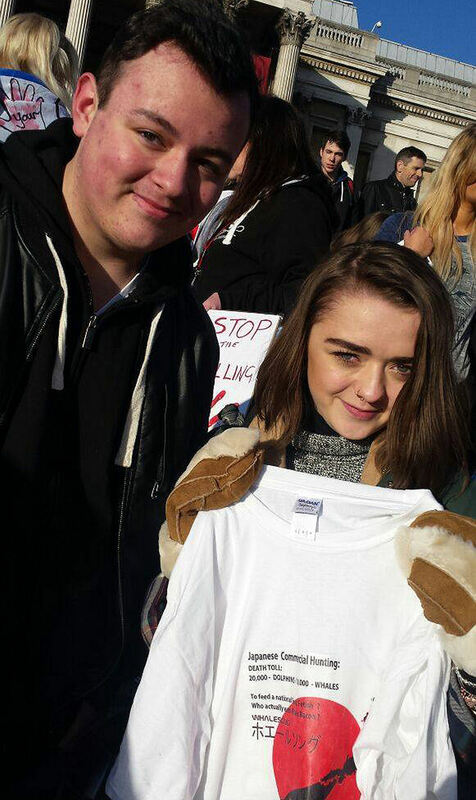 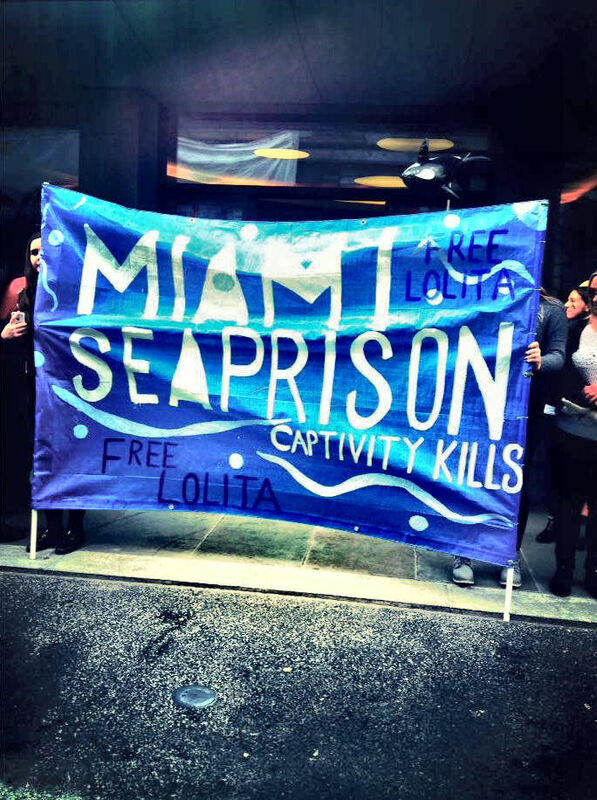 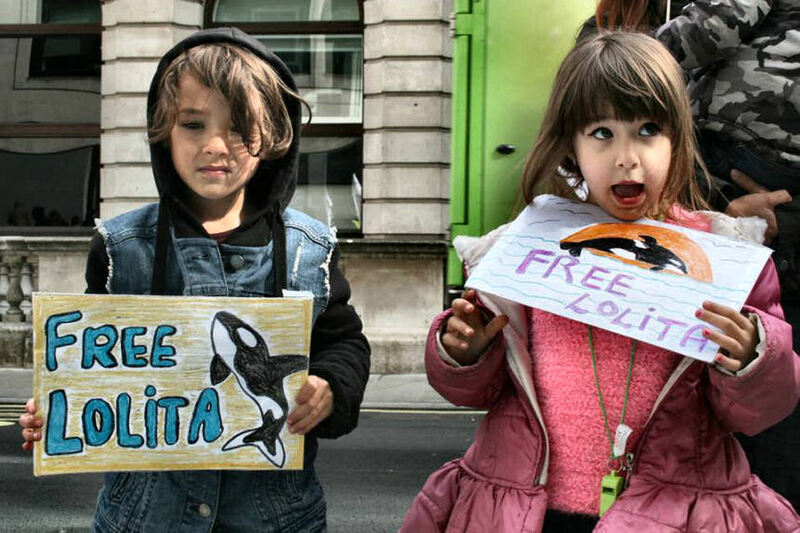 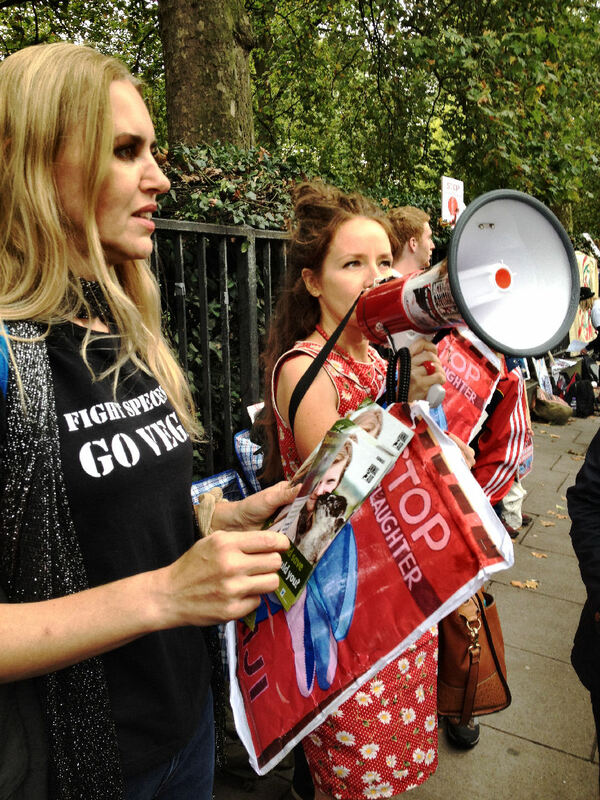 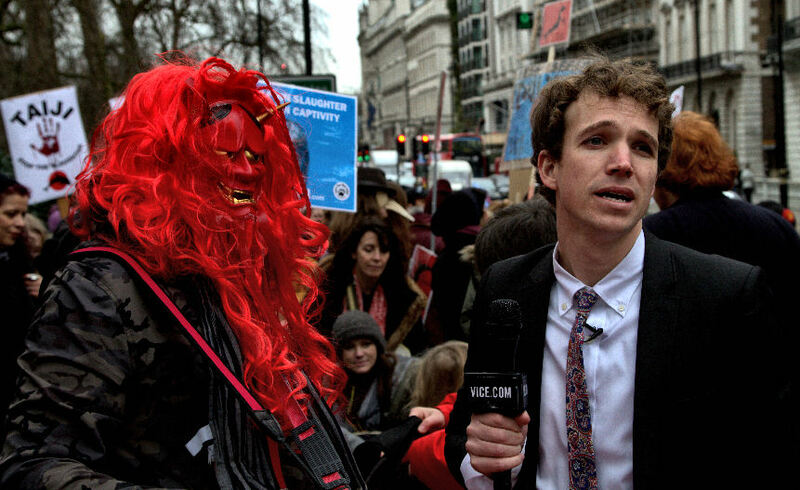 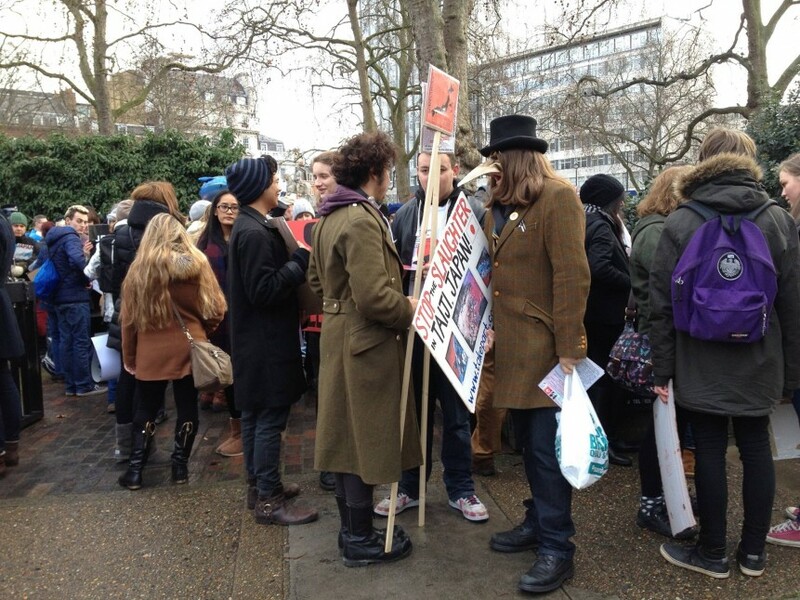 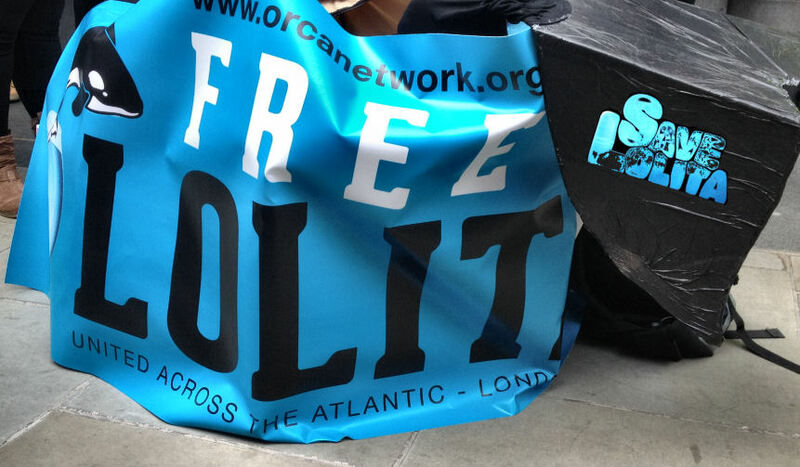 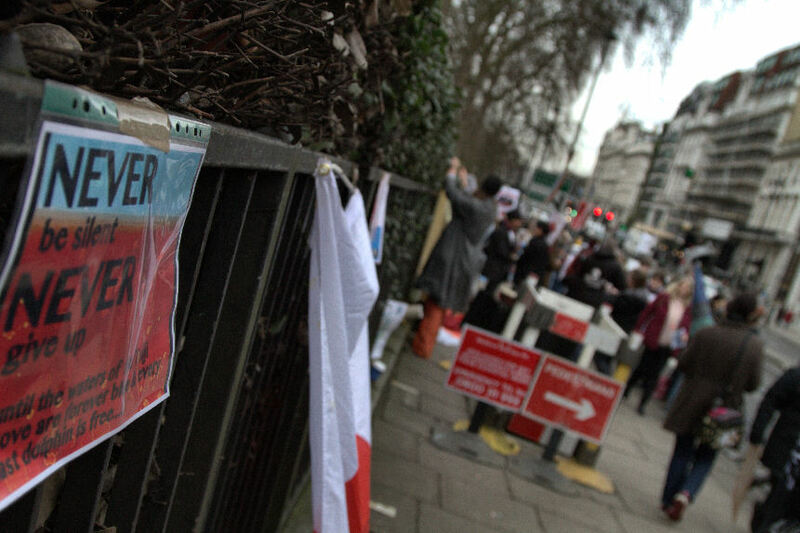 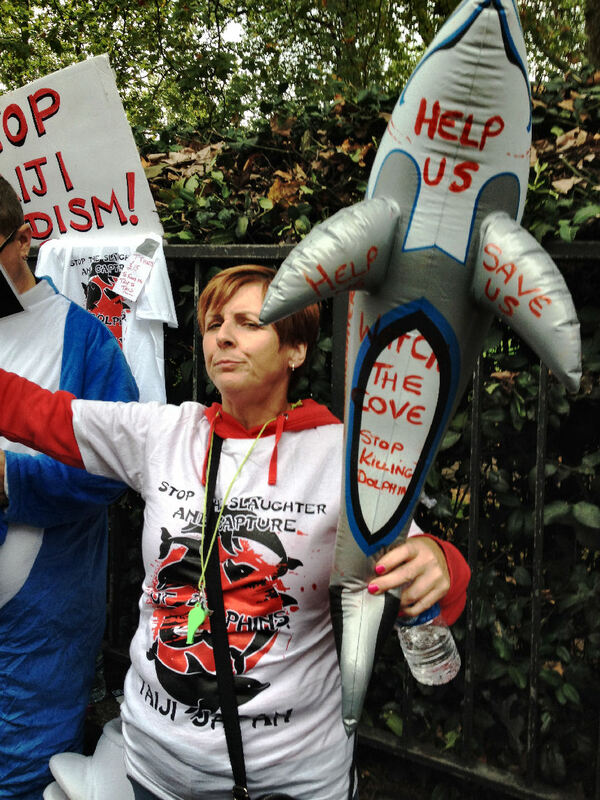 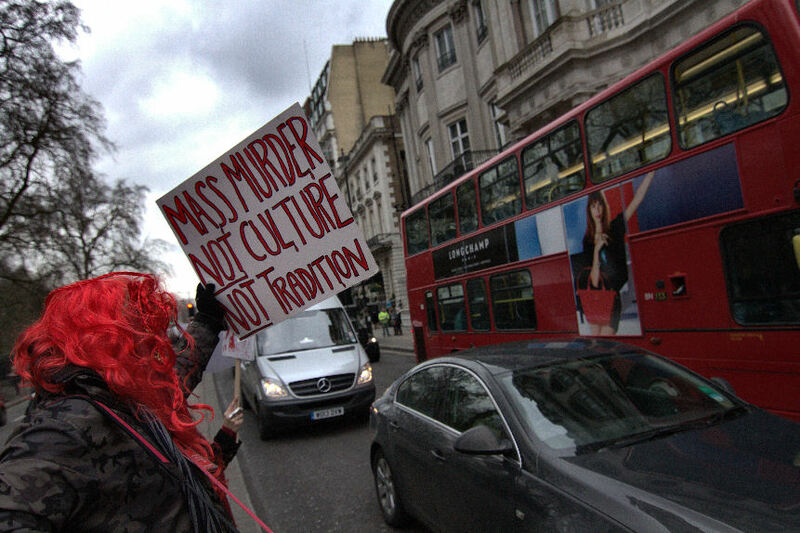 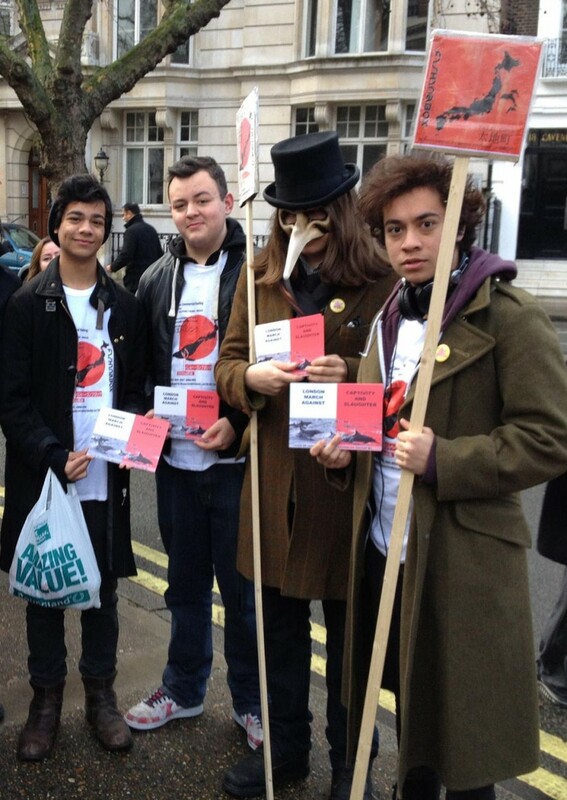 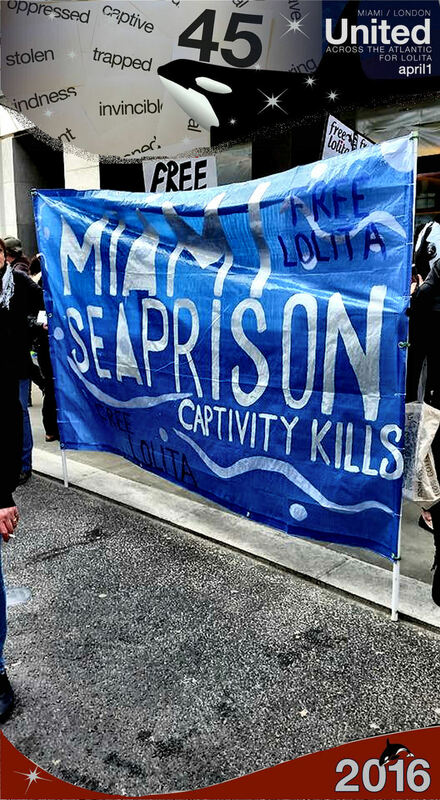 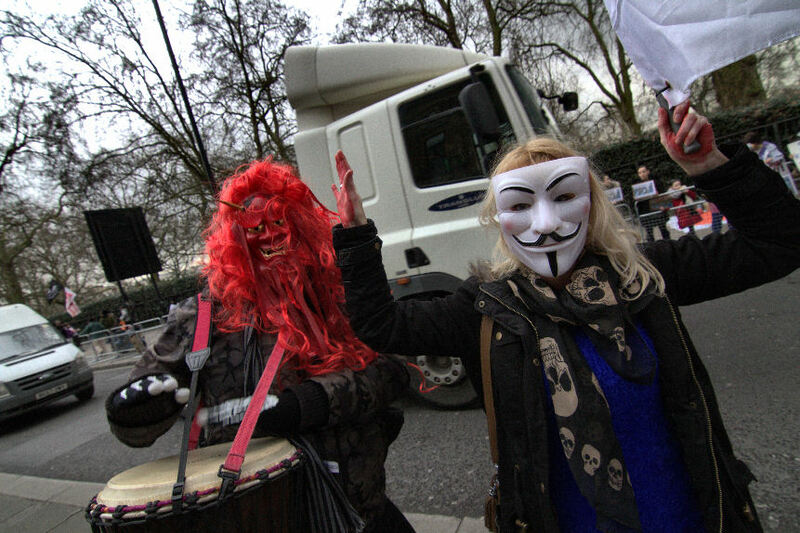 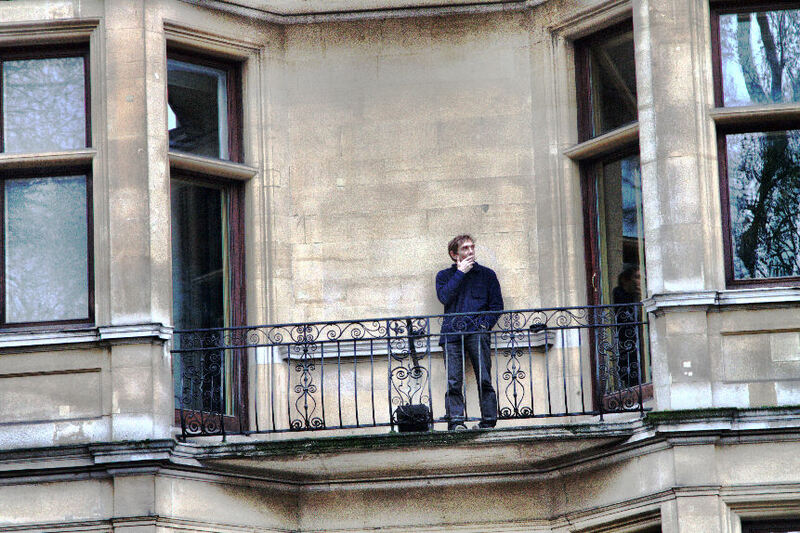 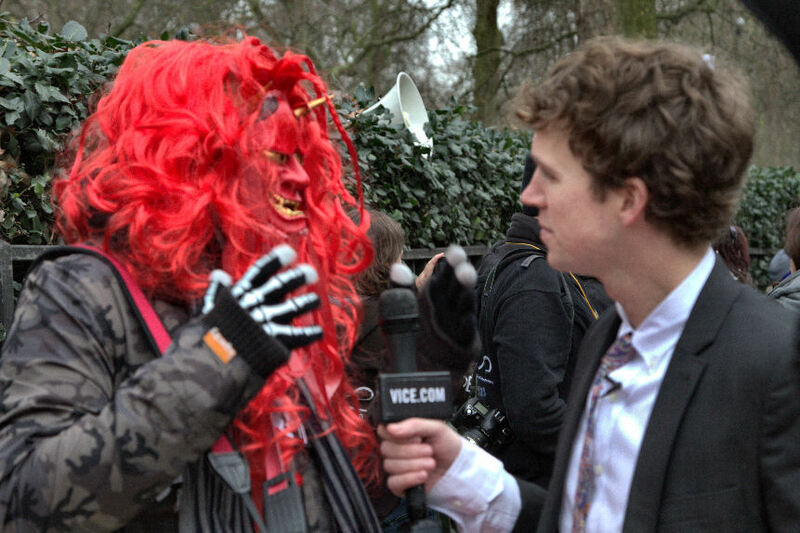 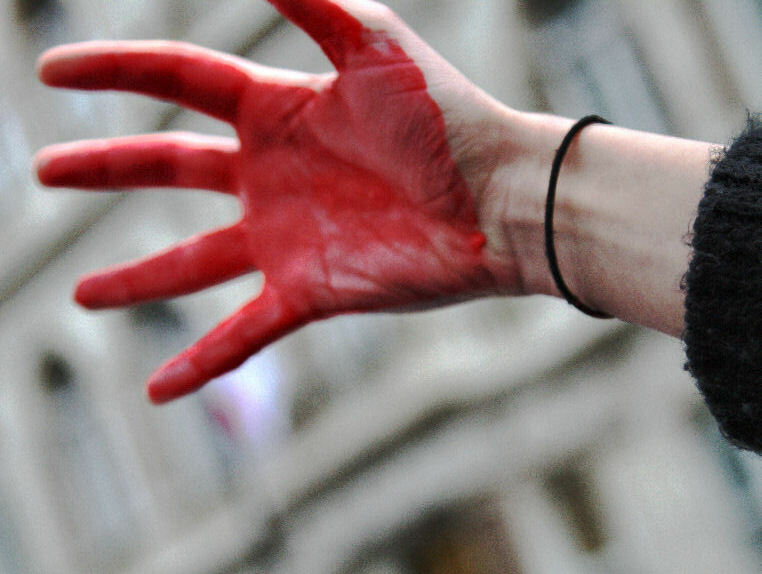 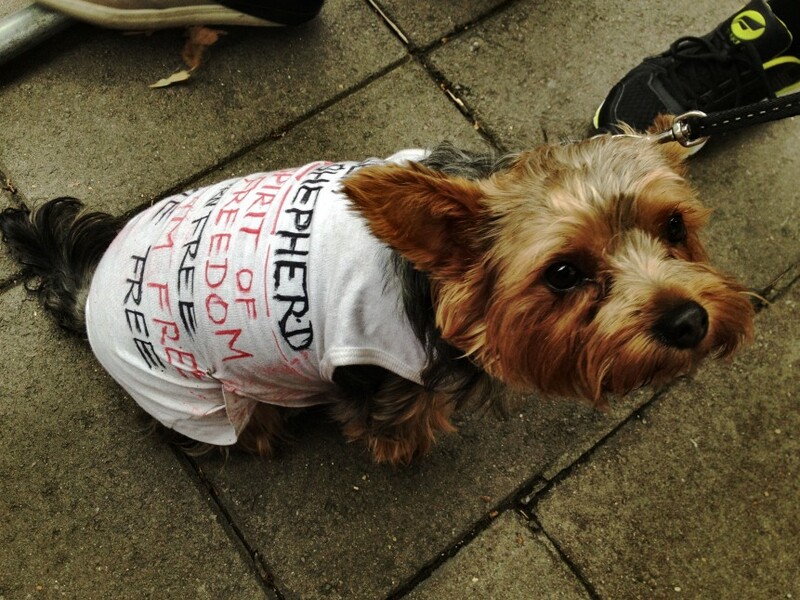 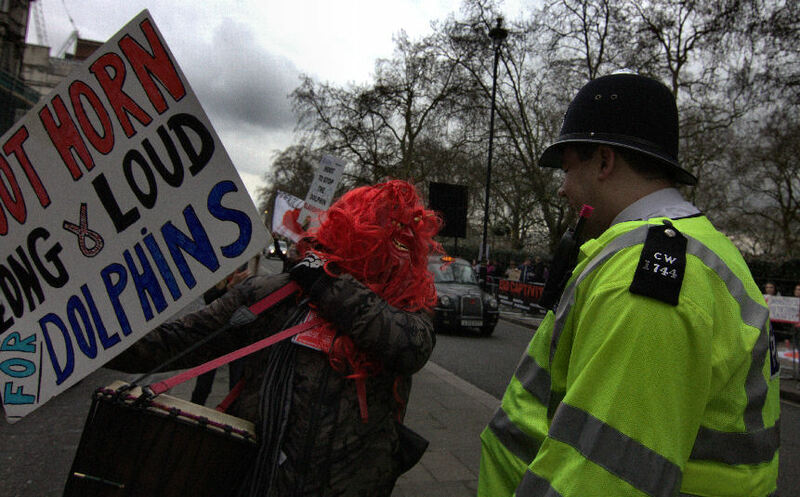 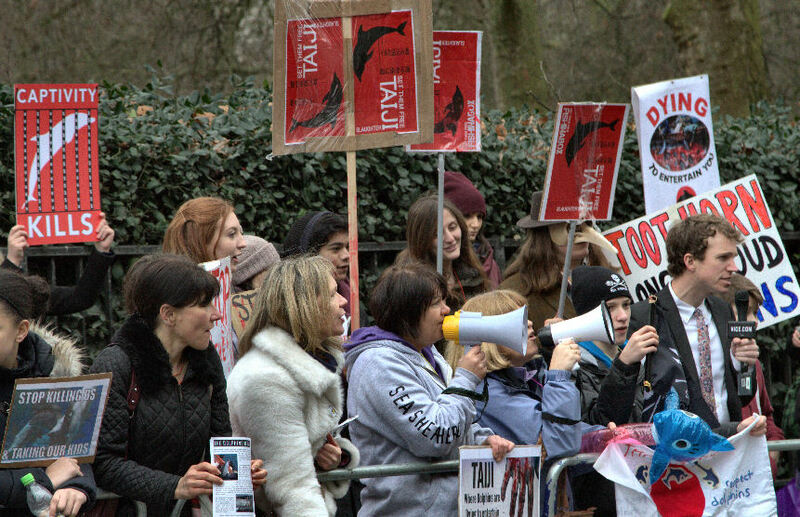 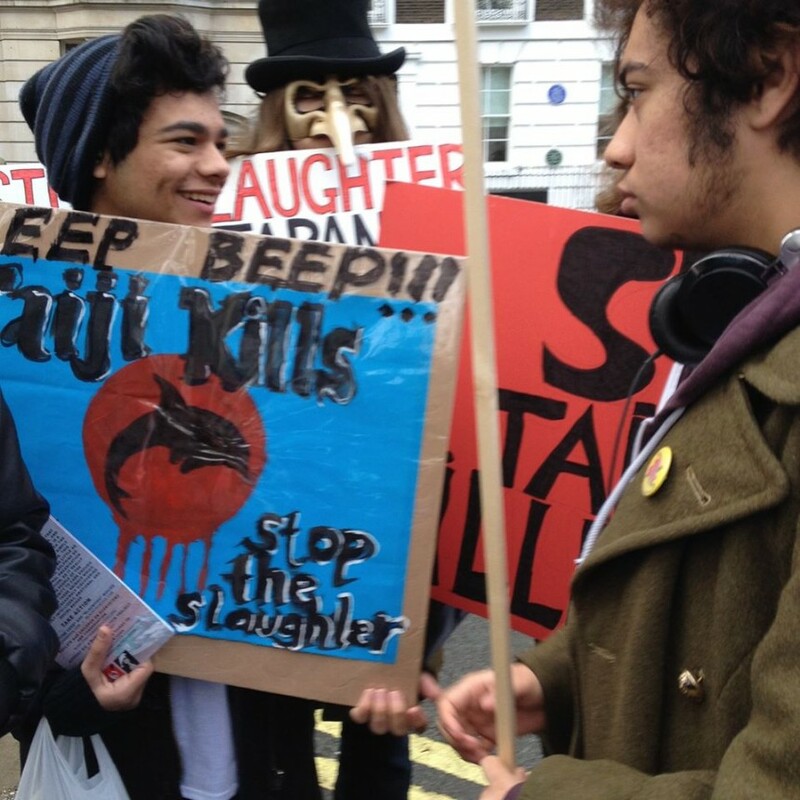 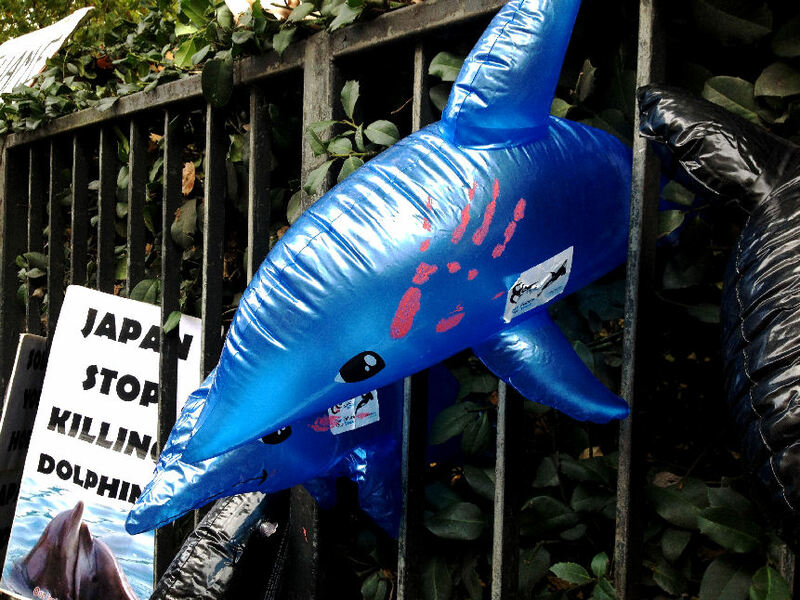 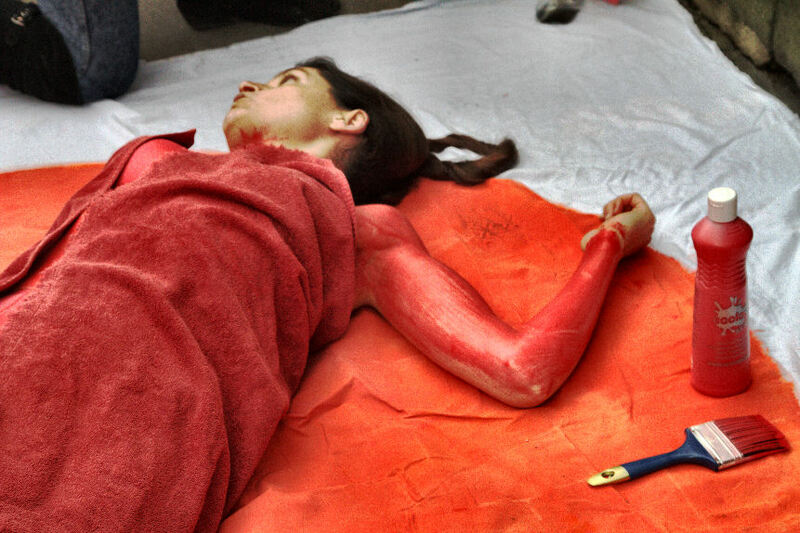 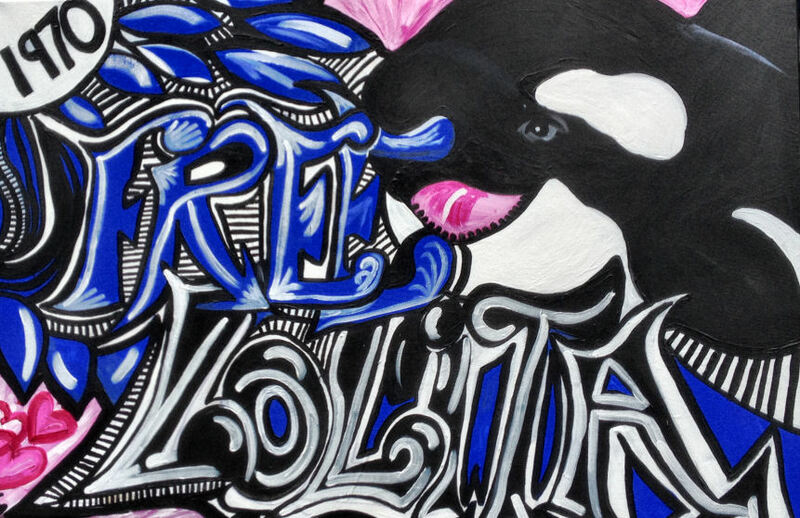 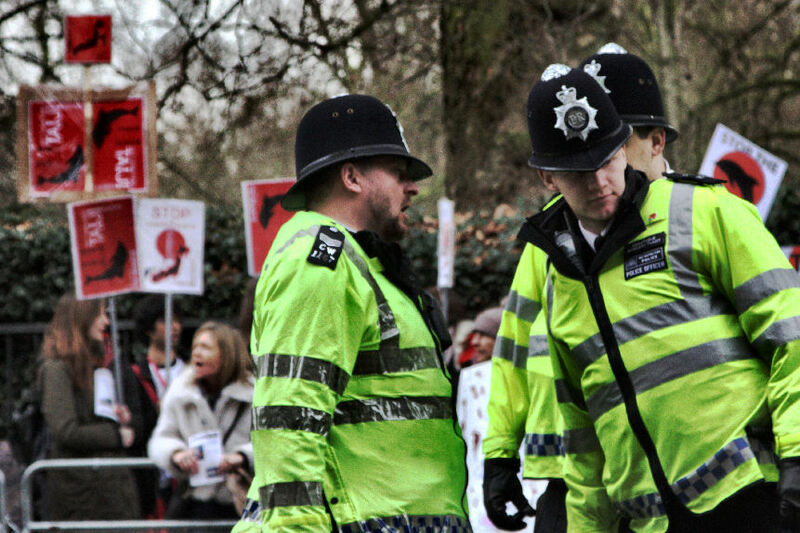 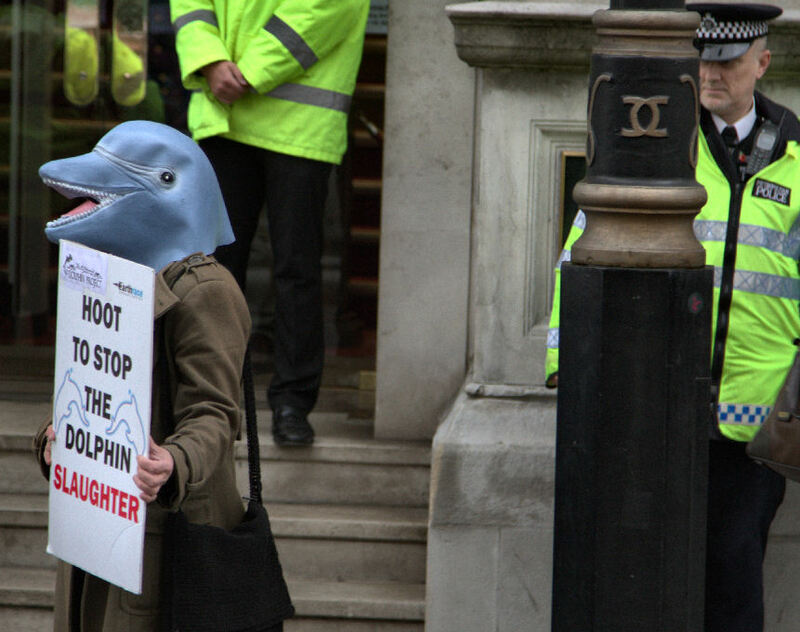 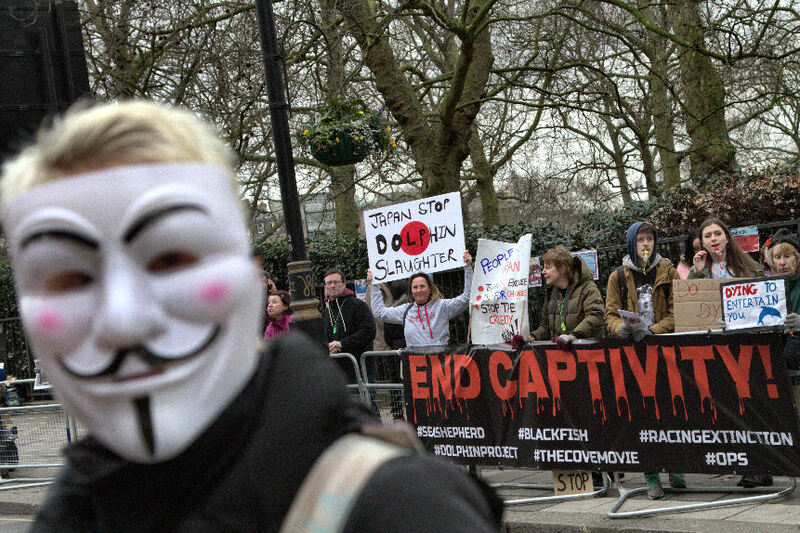 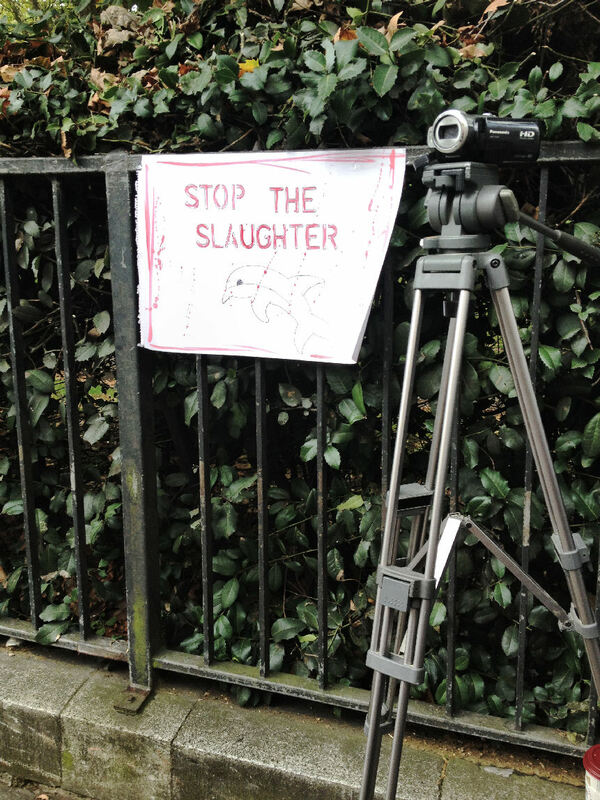 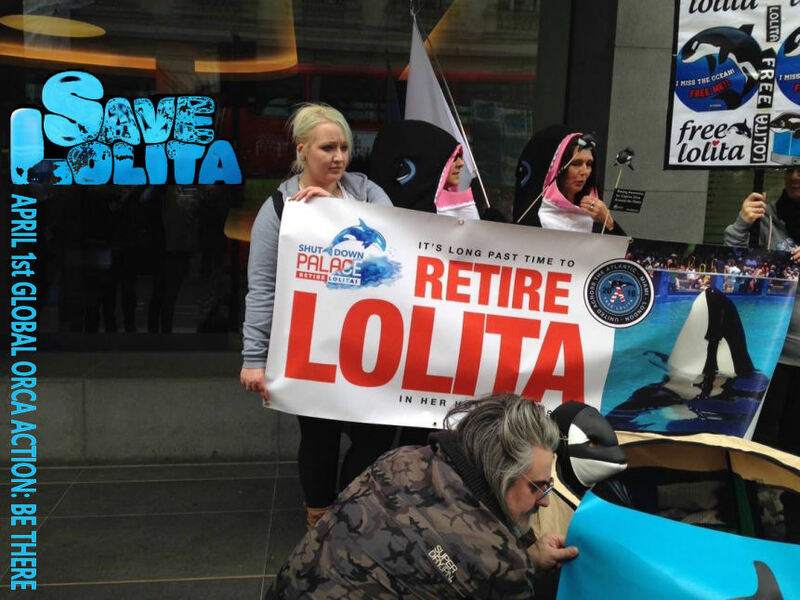 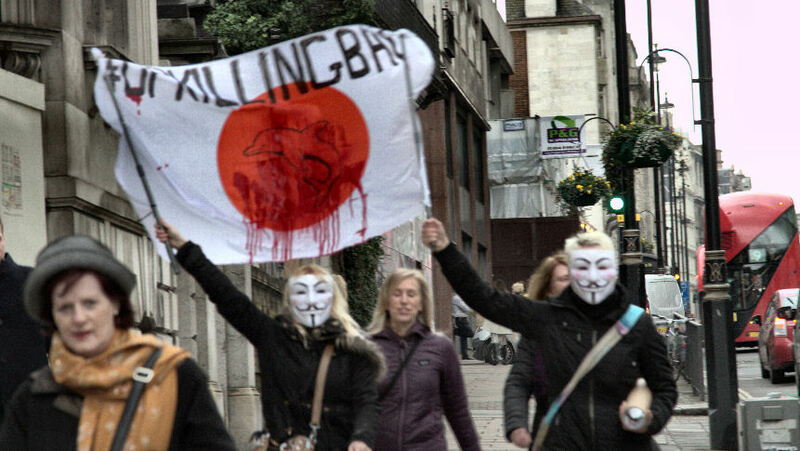 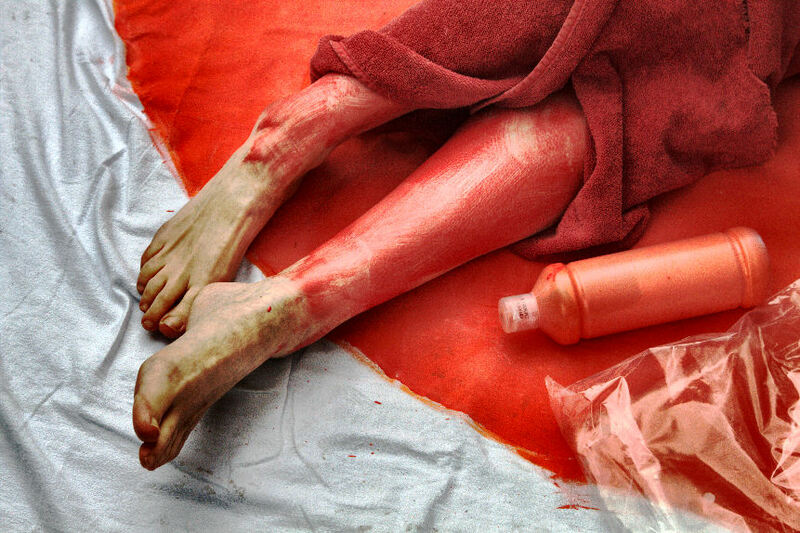 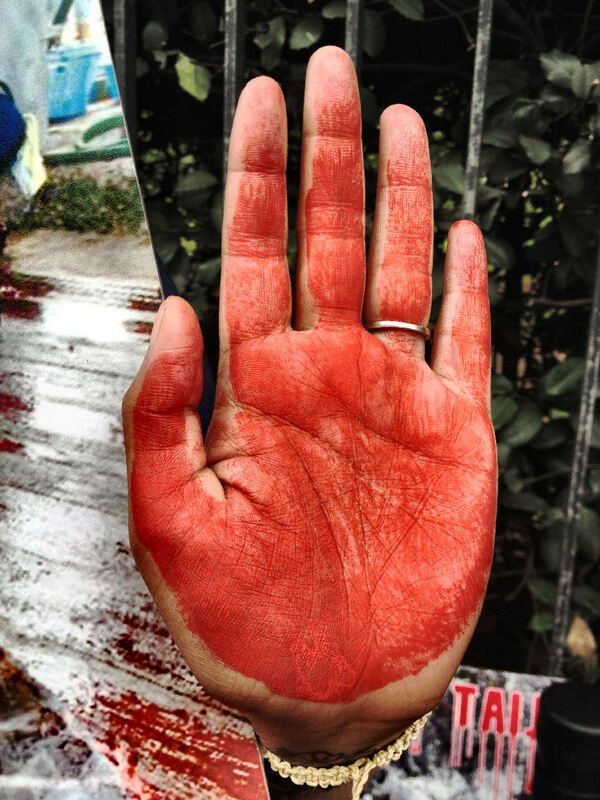 This week has seen a lot of protest activity over Dolphin, Whale Captivity and hunting. 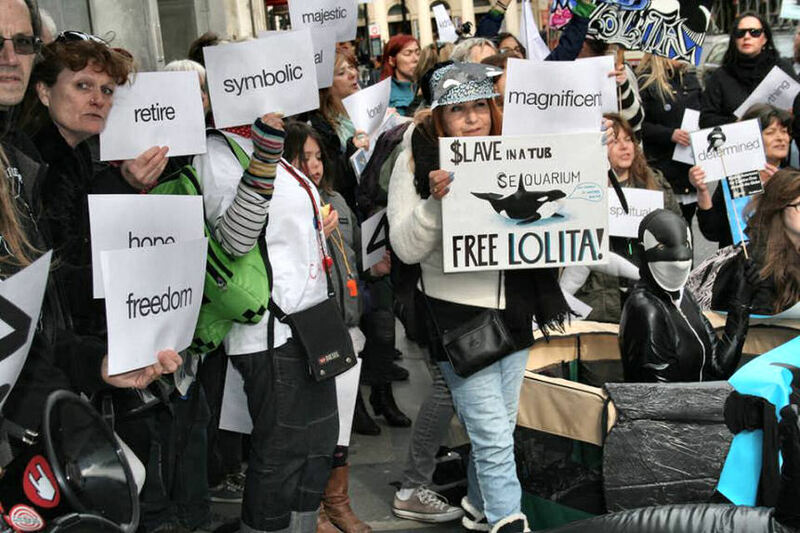 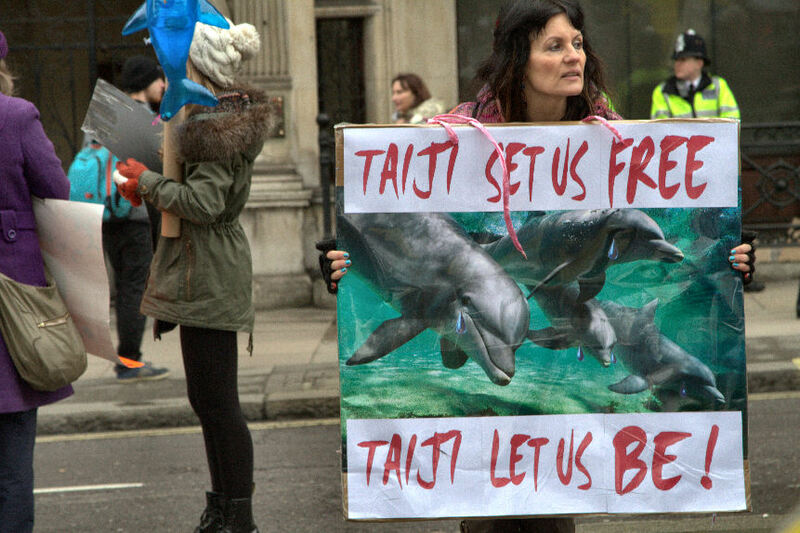 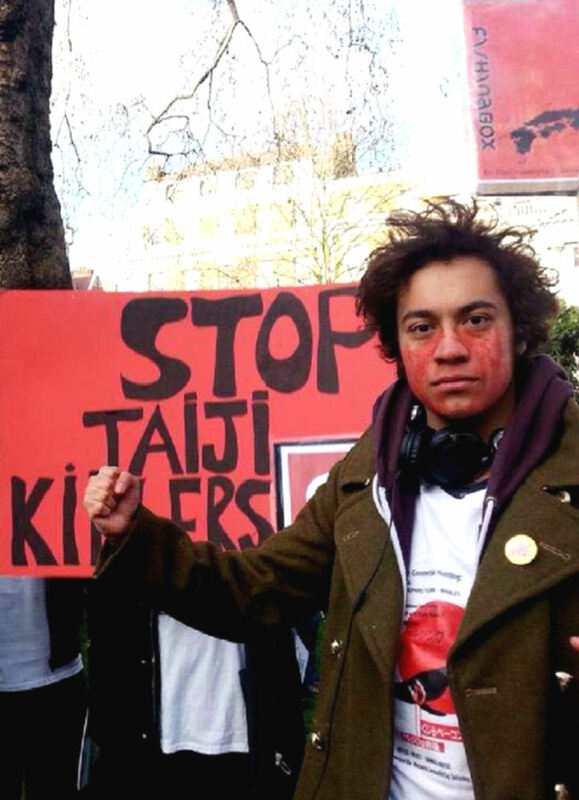 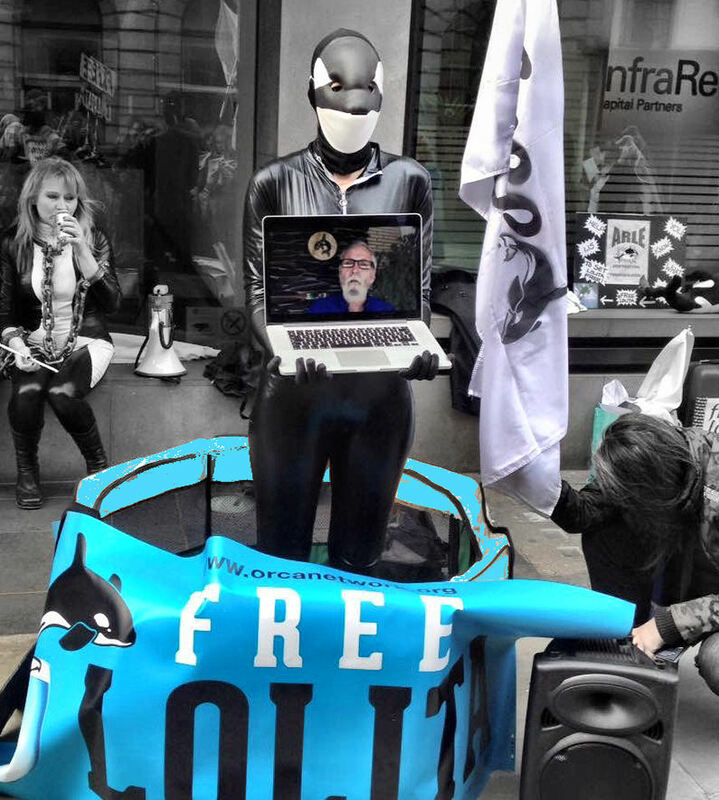 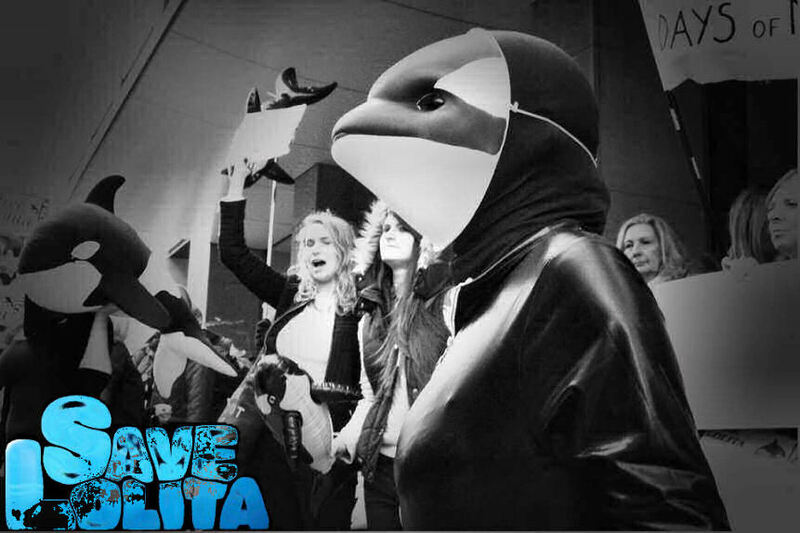 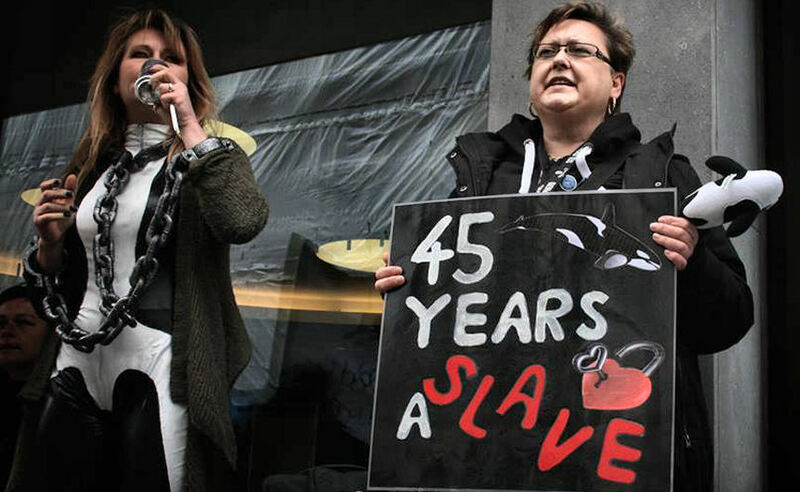 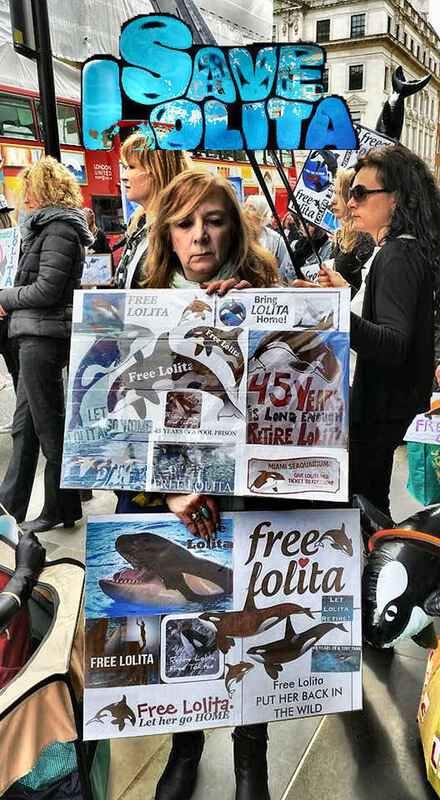 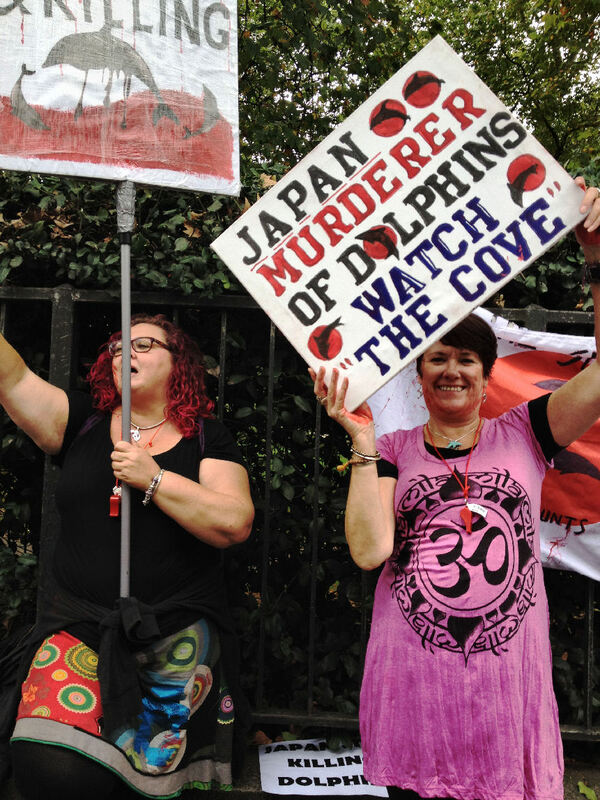 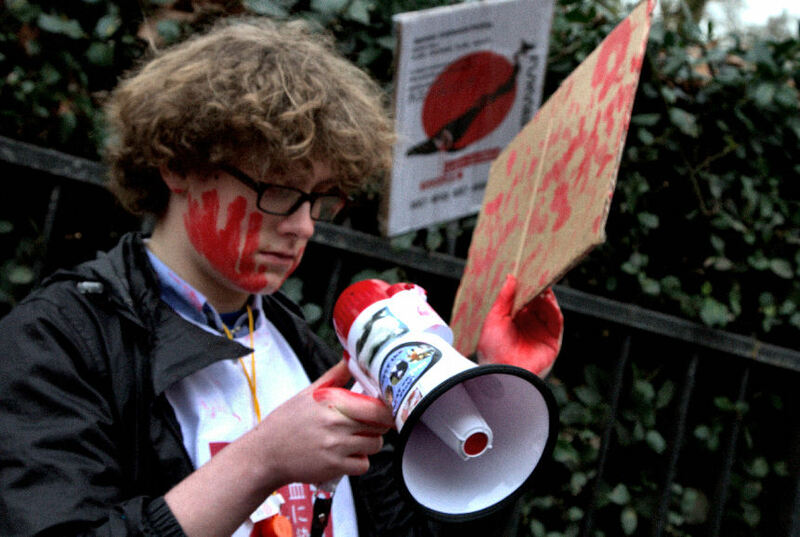 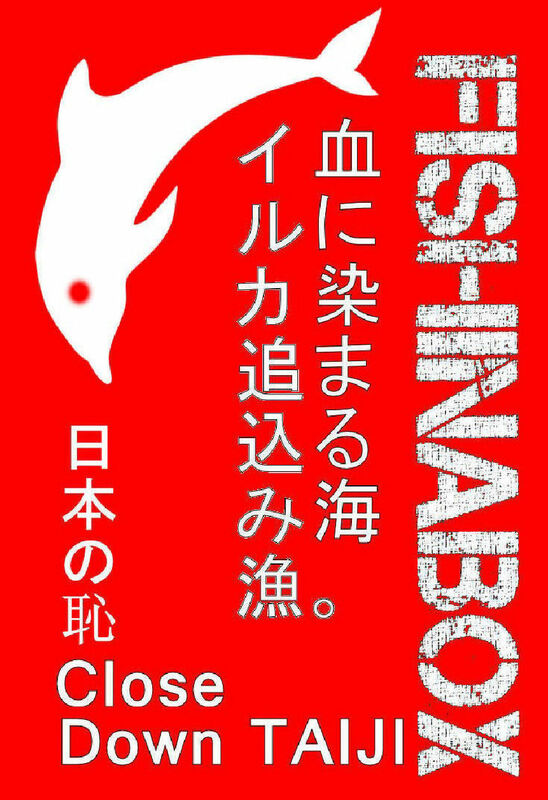 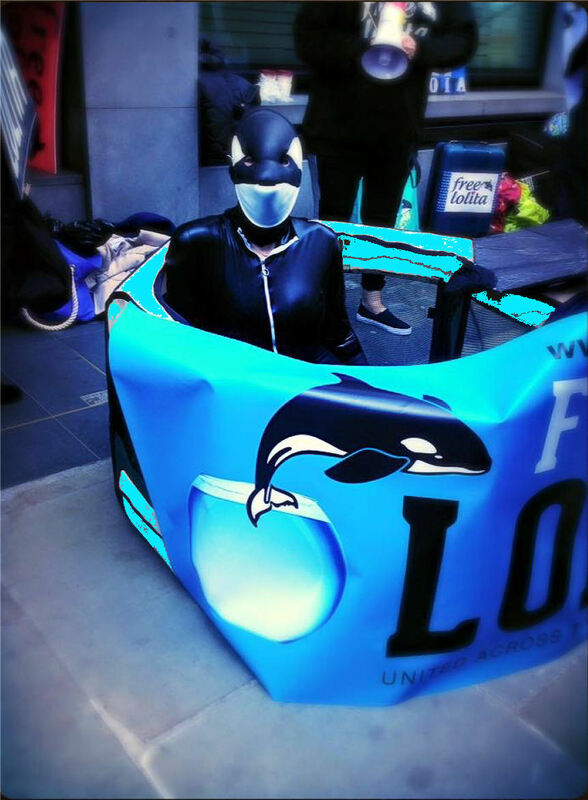 Aside from the annual bloodbath and horror of the Faroes Pilot Whale slaughter; of note was this weeks Global “Empty the Tanks” demonstration which now includes a highly active protest team in Japan (home of the notorious Taiji Cove and main global supplier of Dolphins into captivity). 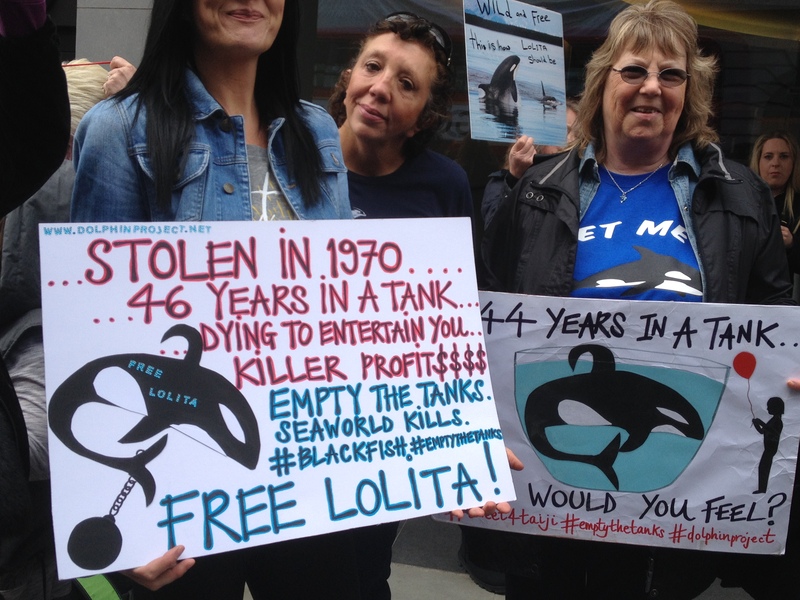 The Empty the Tanks Demo runs annually on June 6th and is in it’s third year. 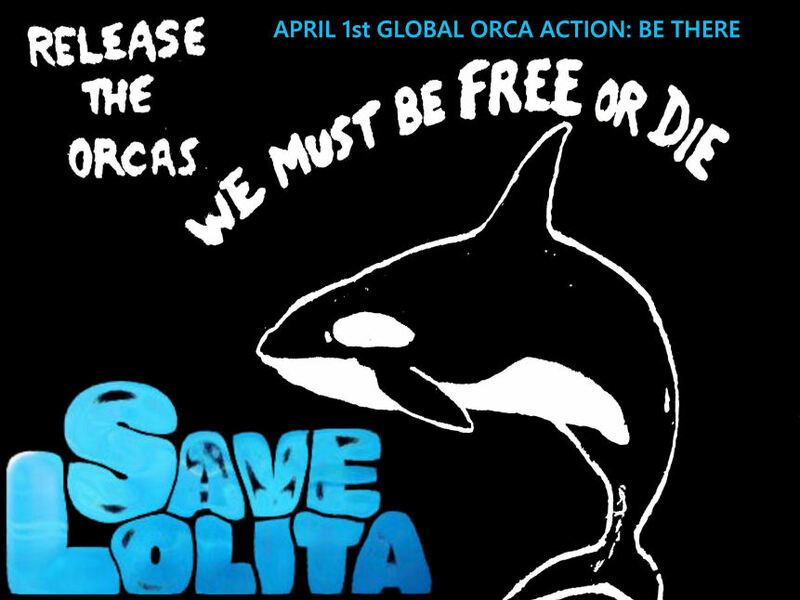 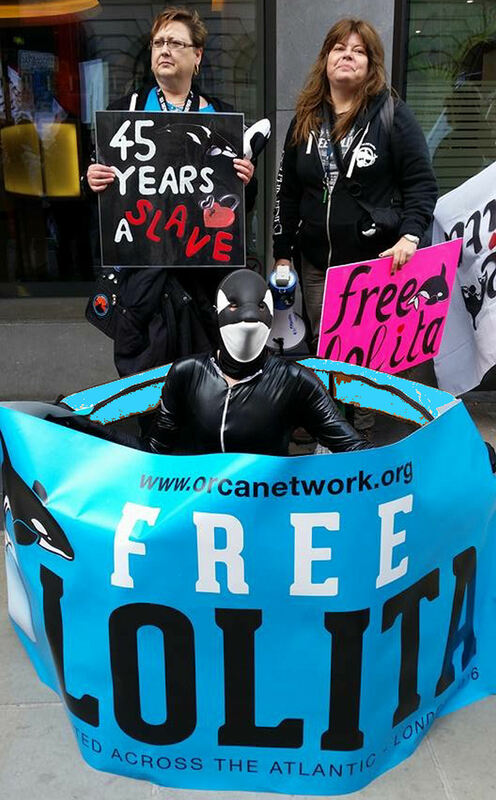 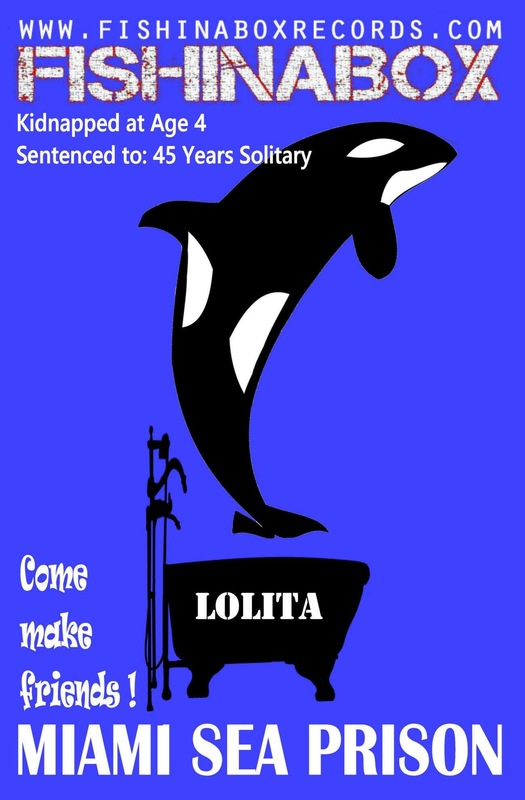 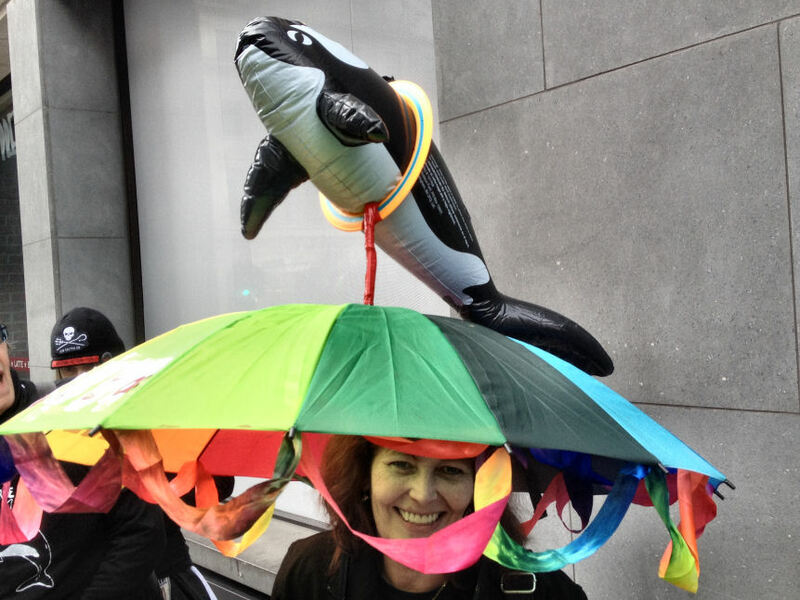 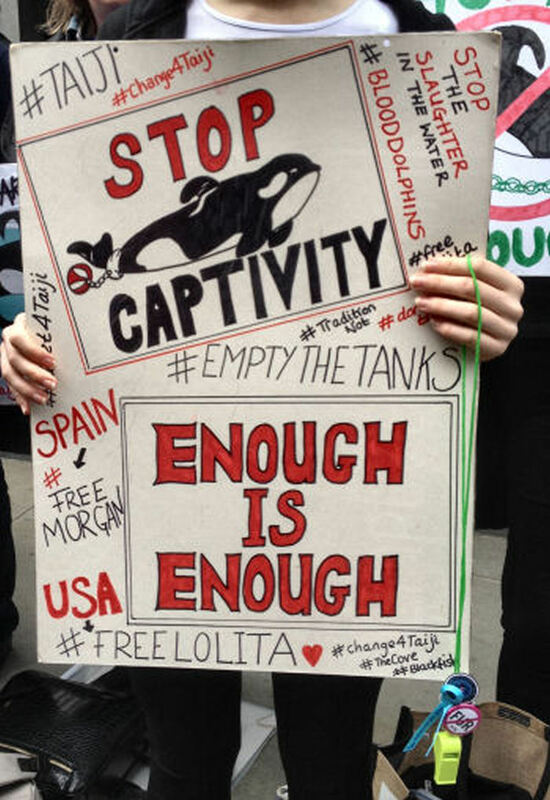 EMPTY THE TANKS 2015 united groups in 19 countries and 55 cities, from as far out as Dublin to Dubai, Vancouver, Rio, Paris, to Japan, Belgium, Budapest, South Africa and all over the USA, all in one common cause, to bring the Captivity of Cetaceans to an end on clear ground of Ethics. 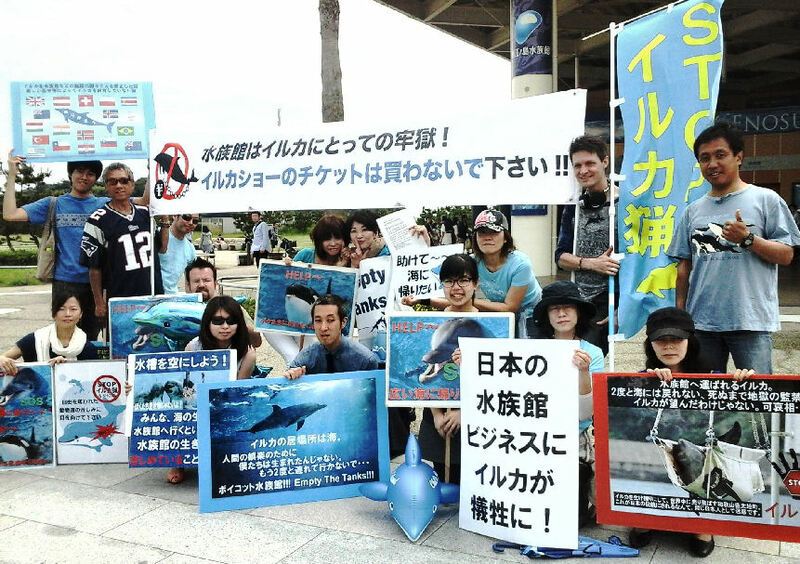 The breakthrough this years was in Japanese Support under the helpful and dedicated guide of Dolphin Angels JAPAN. 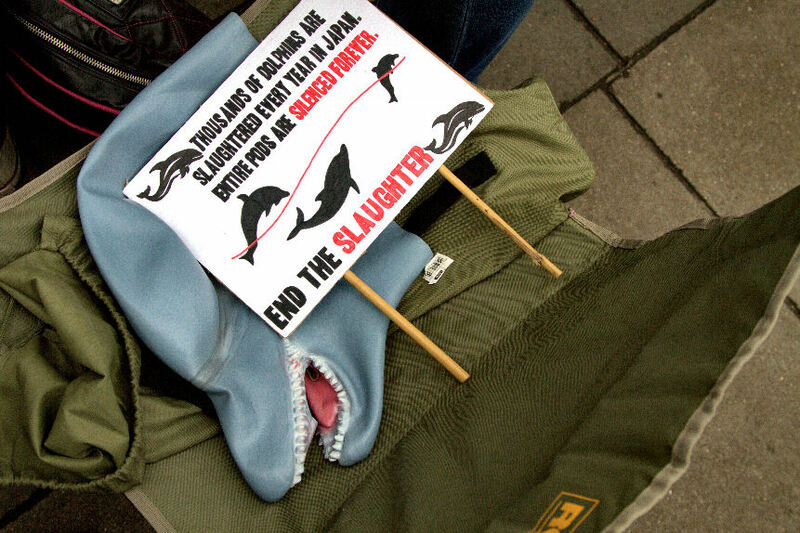 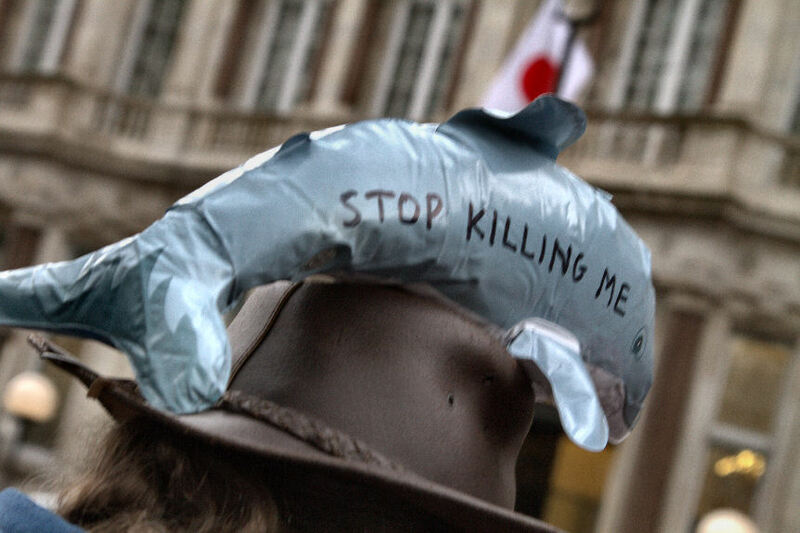 Despite Global condemnation against the Industry, Japanese Government and Fisheries remain the main driver in favor of the support and continuation of dolphin hunting and captivity and officially rejects (without counter evidence) claims that Dolphin products are dangerous for Human consumption (Mercury poisoned) , and also disregards evidence (without counter investigation) showing drops in life expectancy, rising depression, pathology and suicide in Captive Cetaceans. 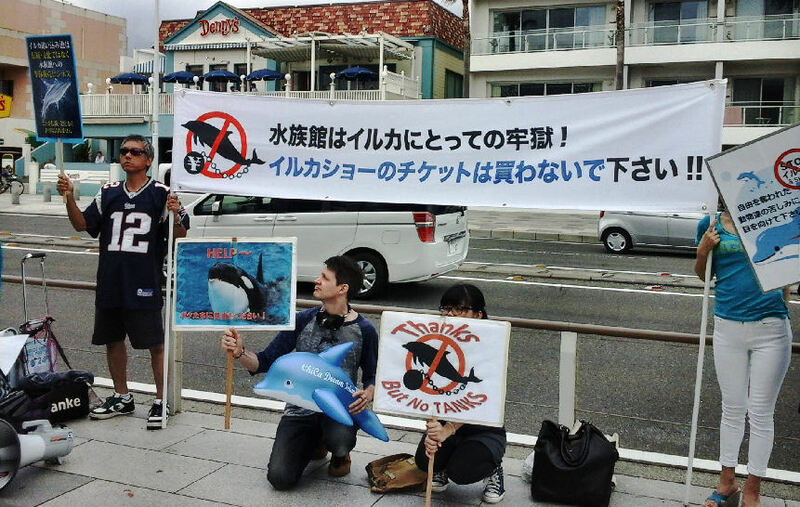 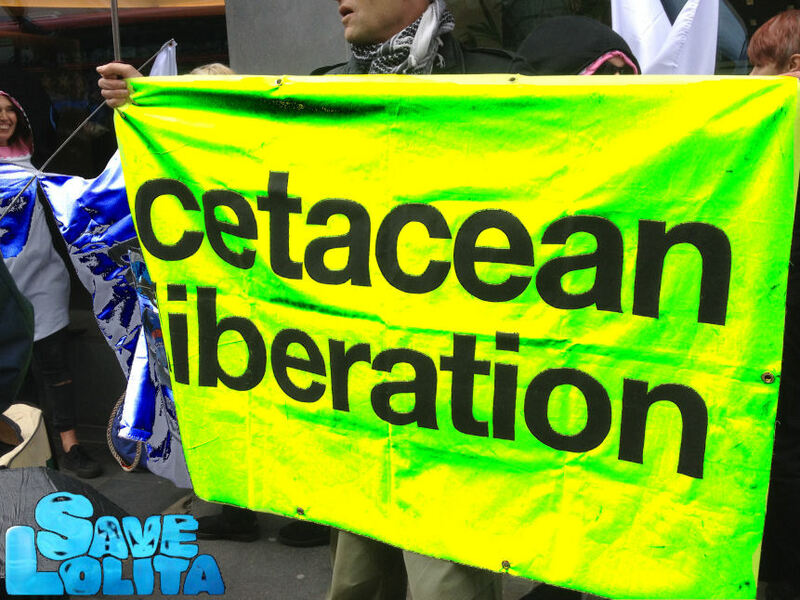 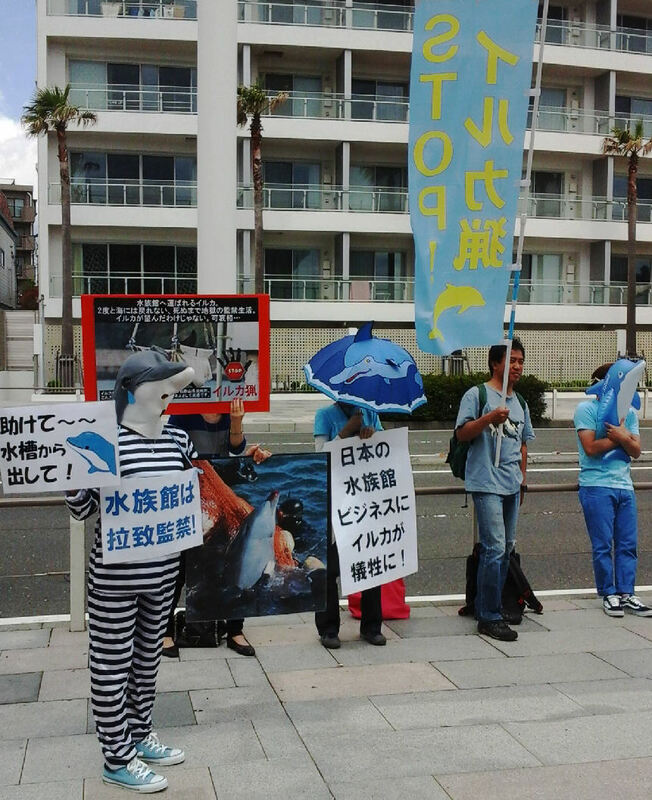 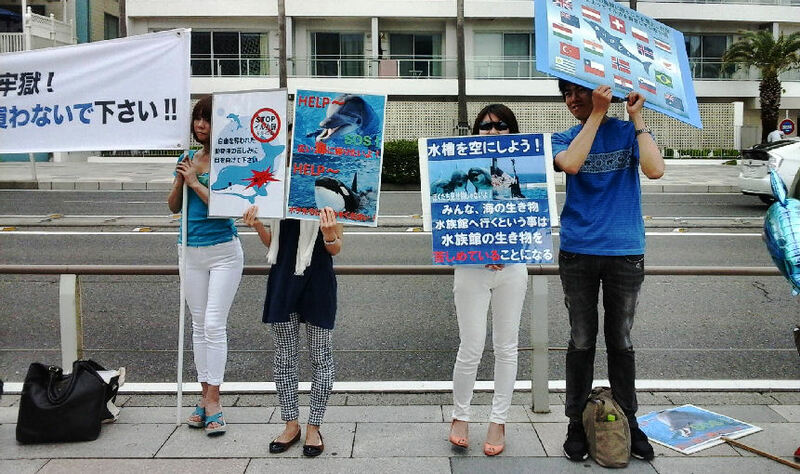 The Japanese Government Media Fishing Machine continues to aggressively shut down protest against Japanese profiteering from Cetacean mistreatment , citing grounds of public support and cultural rights. 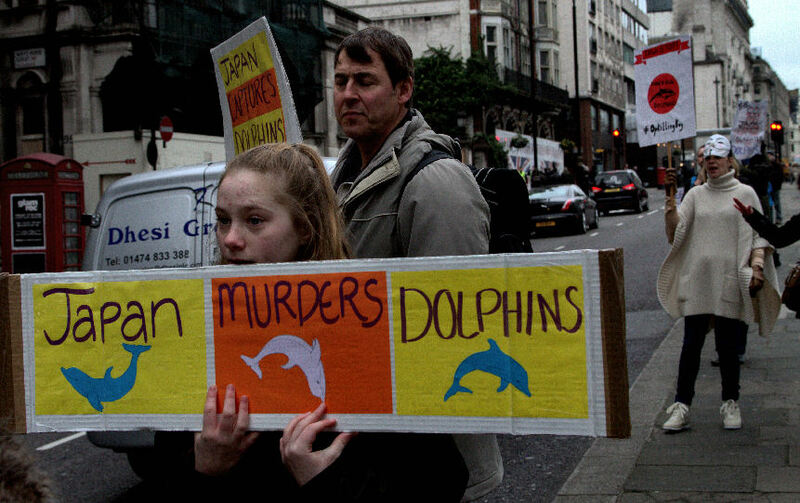 Whats the problem with Dolphin / Whale Hunting and Captivity ? 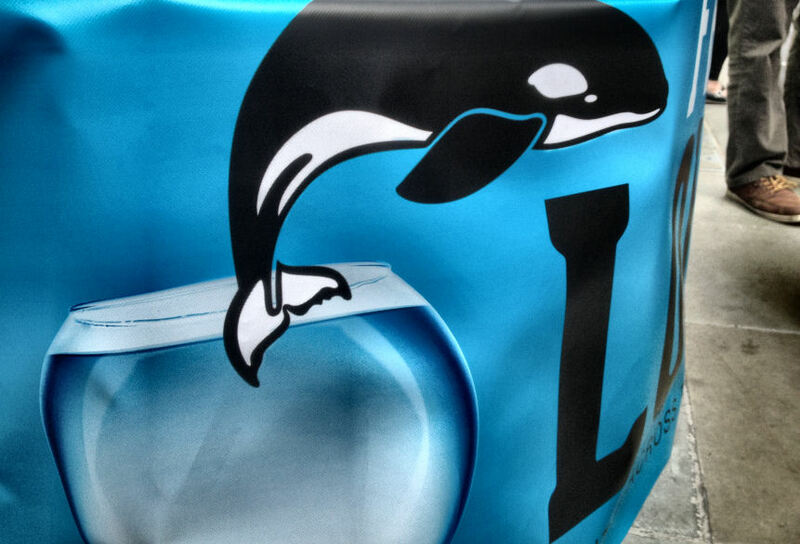 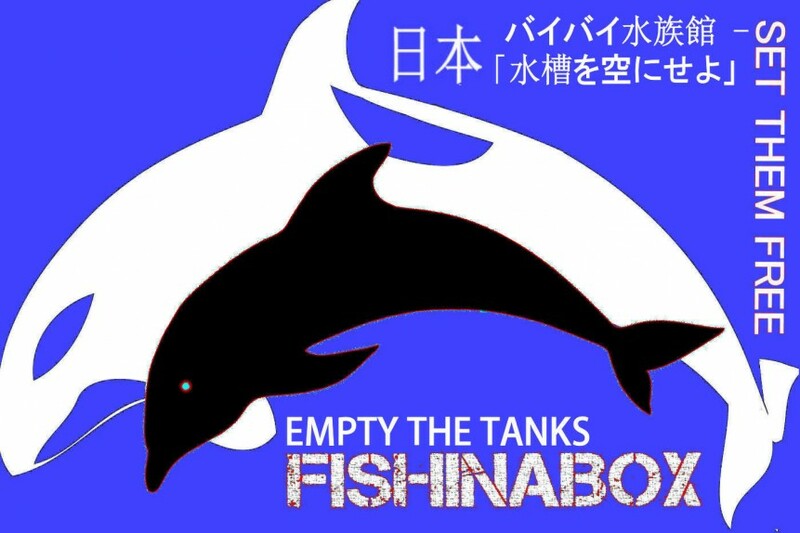 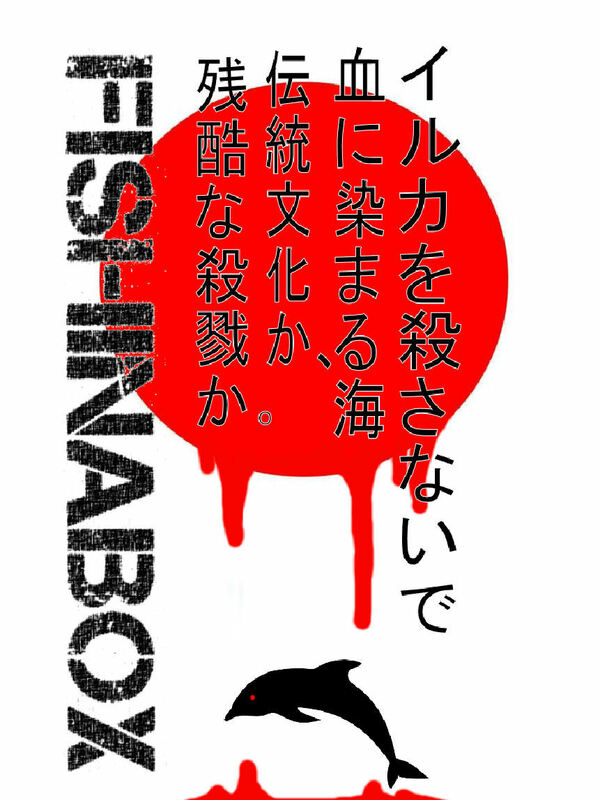 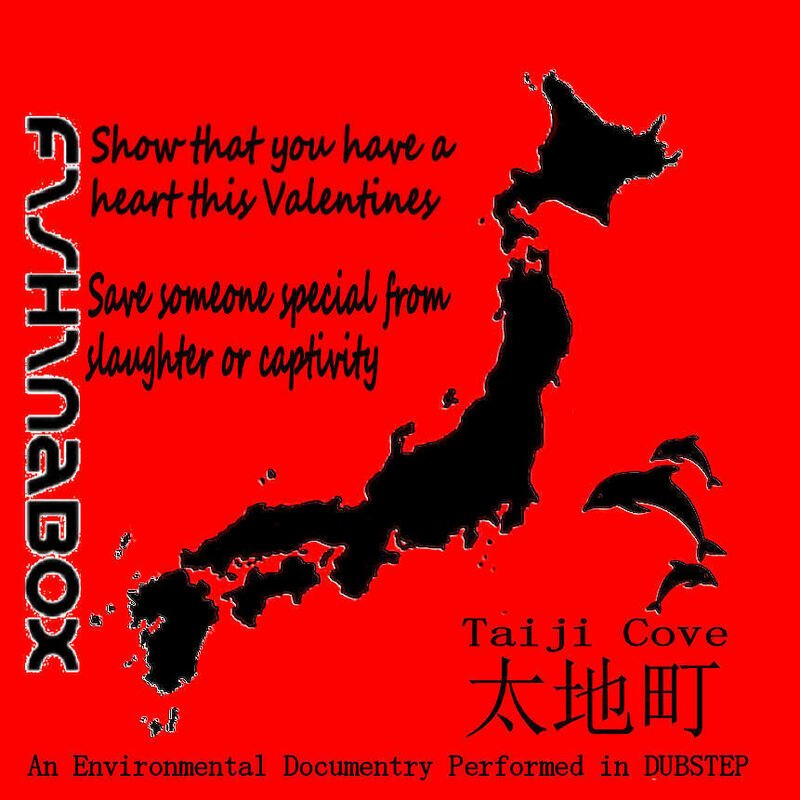 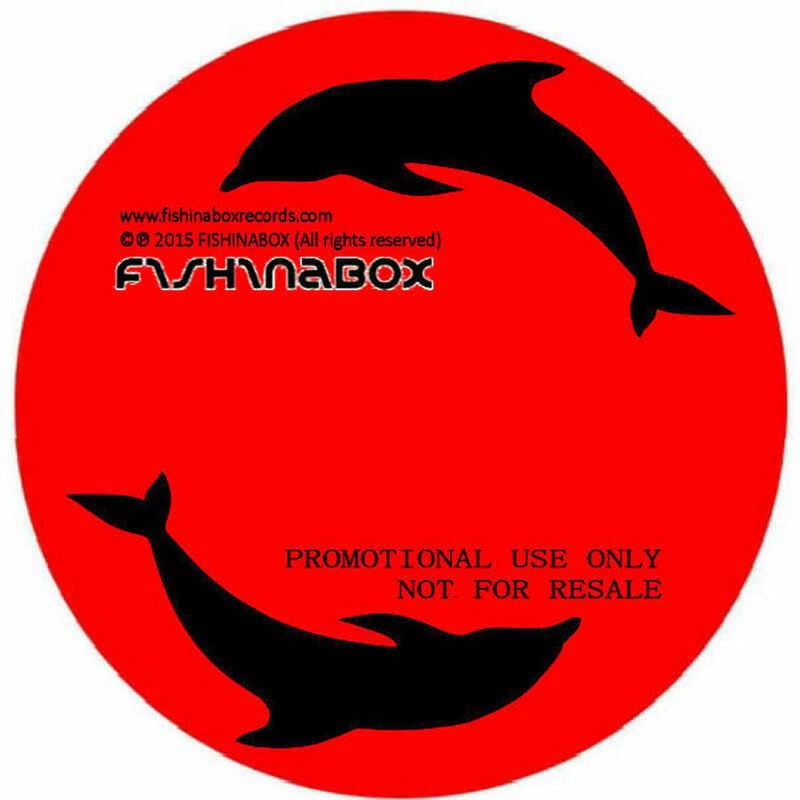 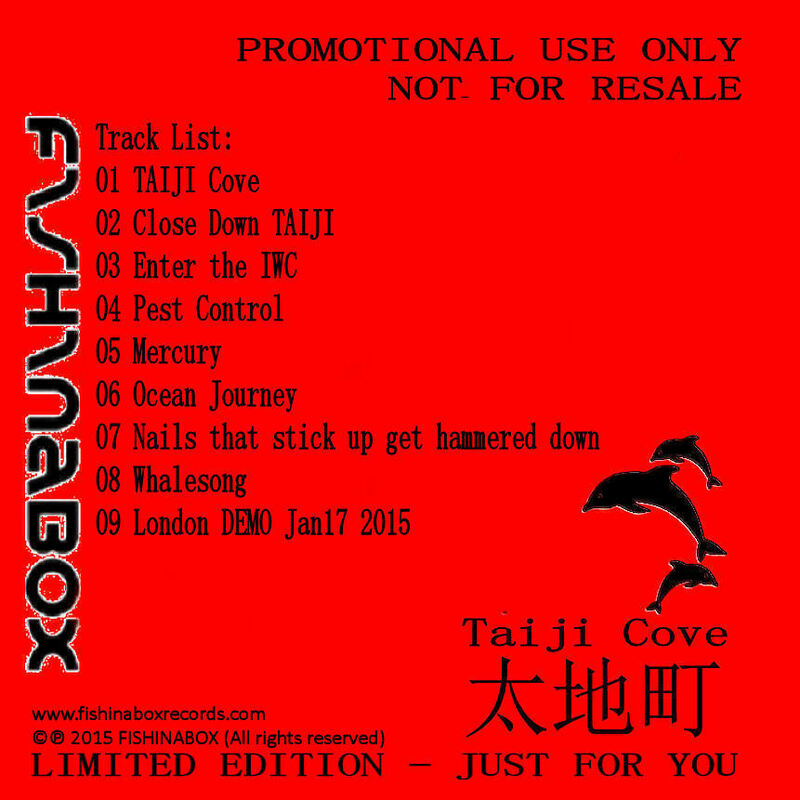 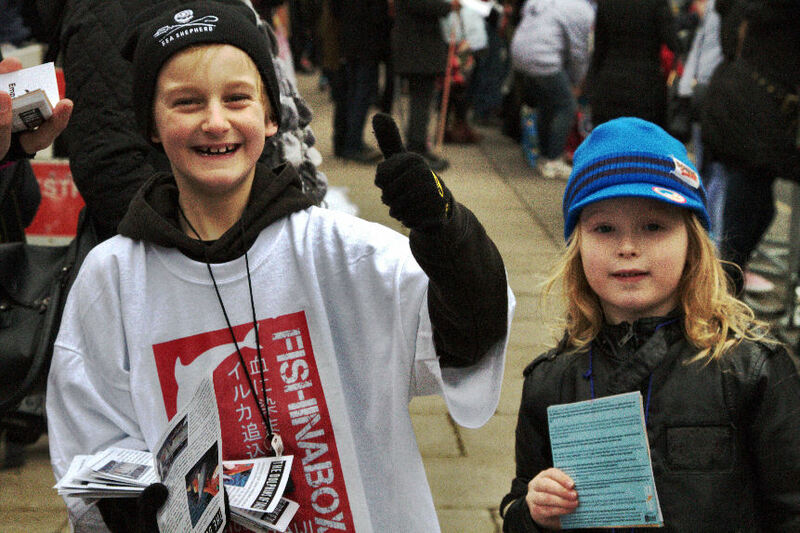 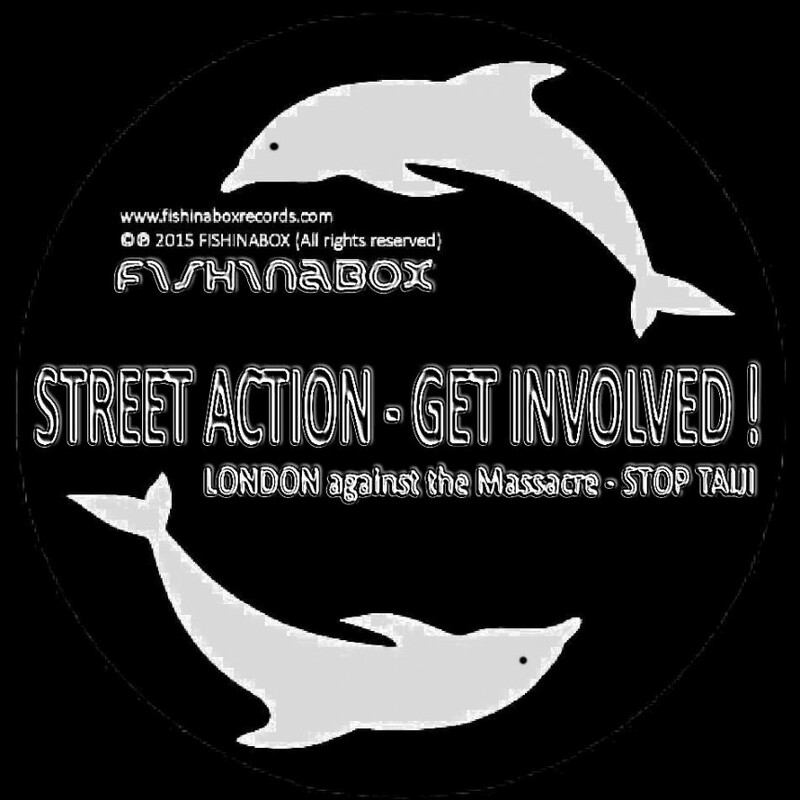 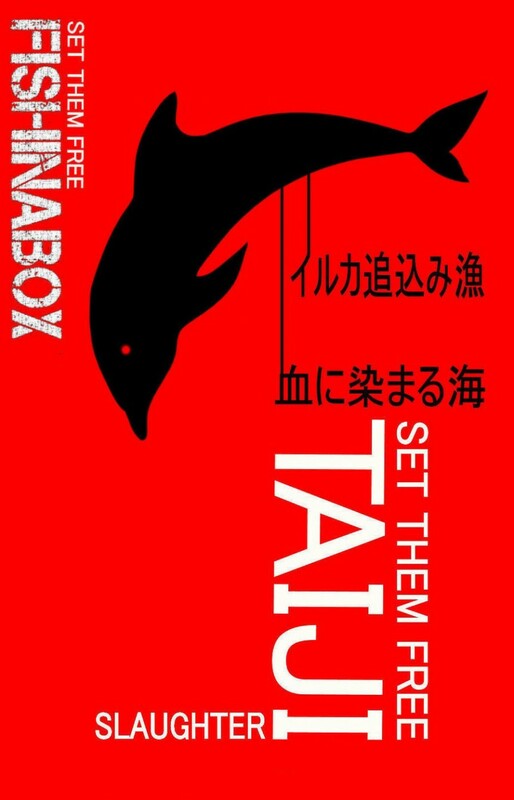 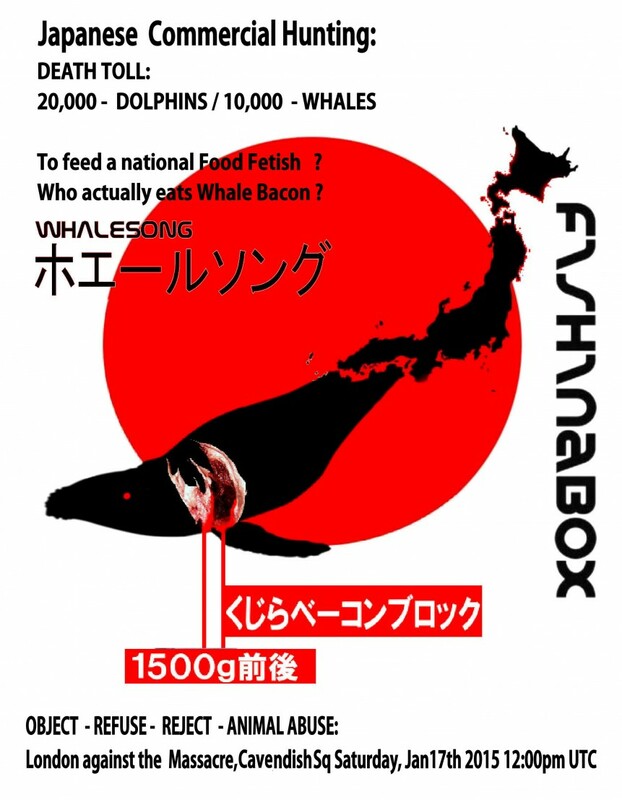 FISHINABOX took at look at Dolphin Angels Japan 日本 who are driving the Empty the Tanks Campaign in Japan. 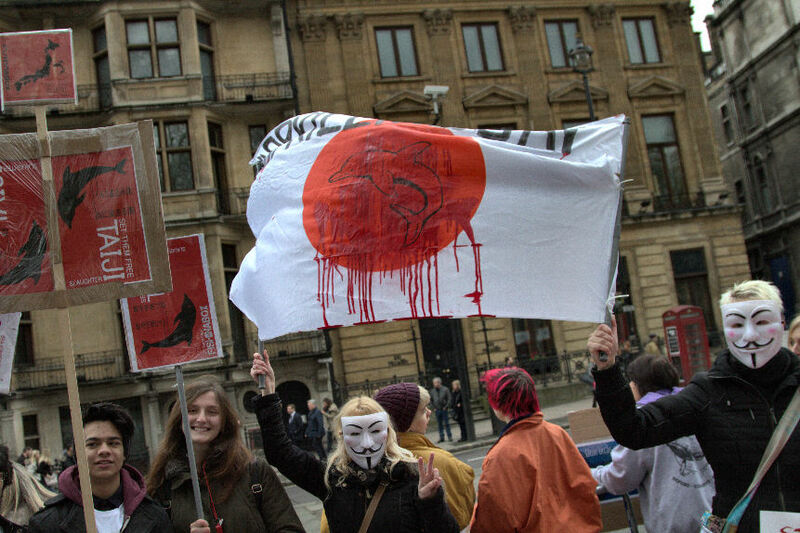 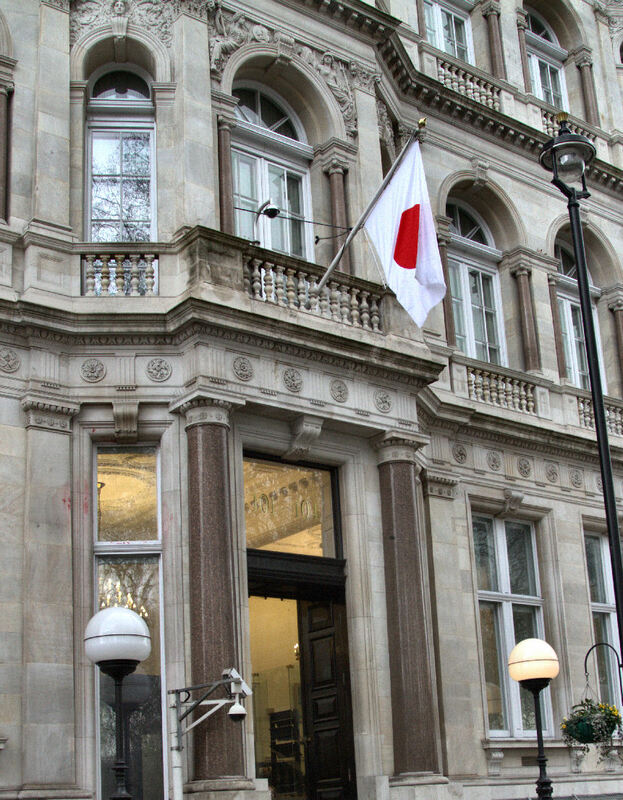 Finding that the Government is not acting in the interests of the People of Japan, a number of aware citizens have been using Social Media to spread facts figures and concerns to the Japanese Public. 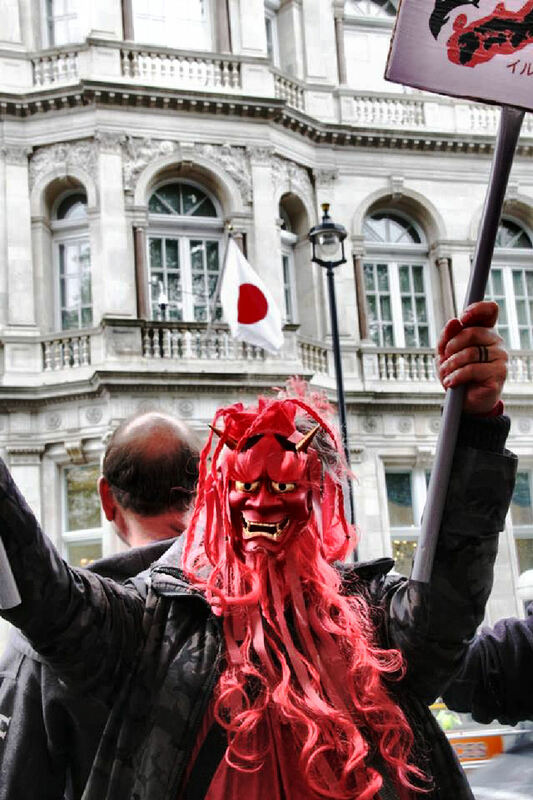 As a result, despite exceptionally hard pressure from Security Services and laws that work against Protest in Japan; Japanese People are starting to take to the streets against the industry. 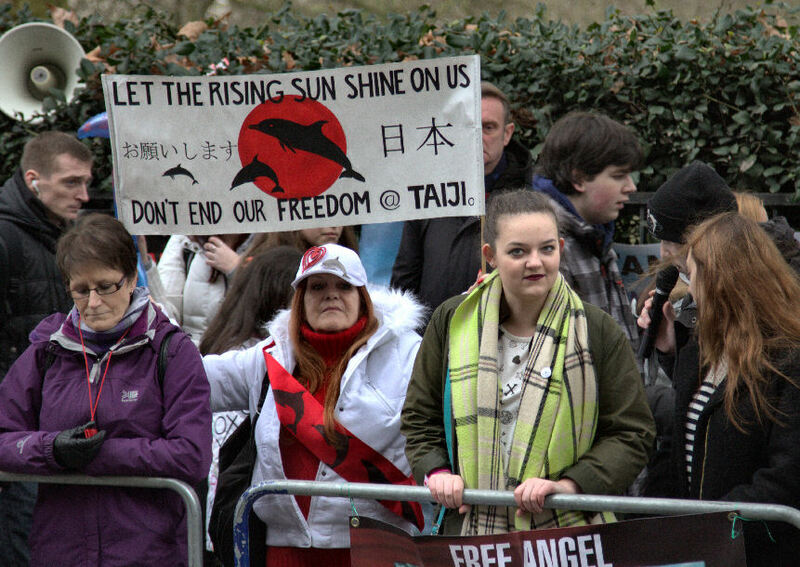 Through a Global Cyber engagement campaign Dolphin Angels Japan 日本 have become the main gate to manage Japanese support on the ground, providing translation services and relaying, facts and information available in the west but otherwise suppressed by Main Media in Japan.